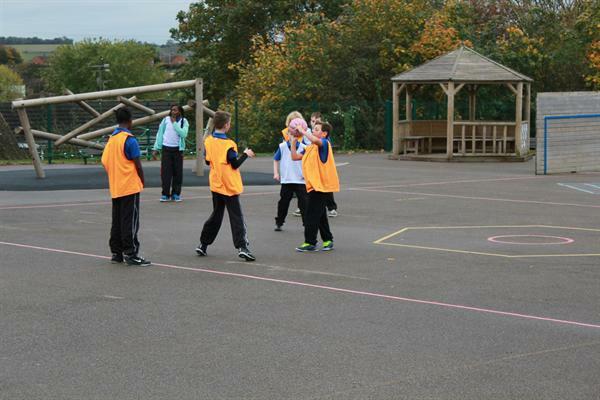 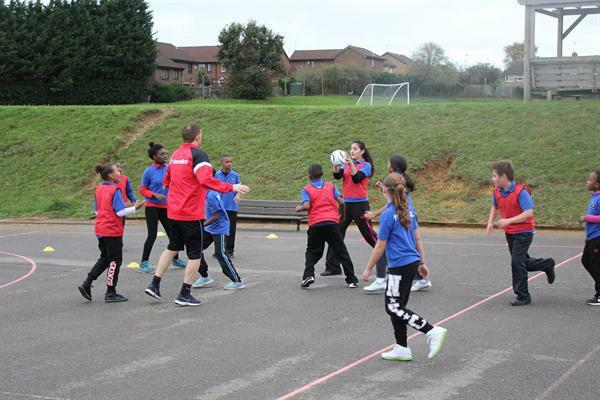 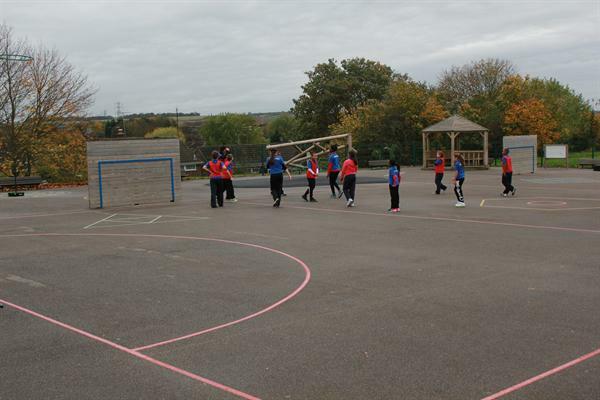 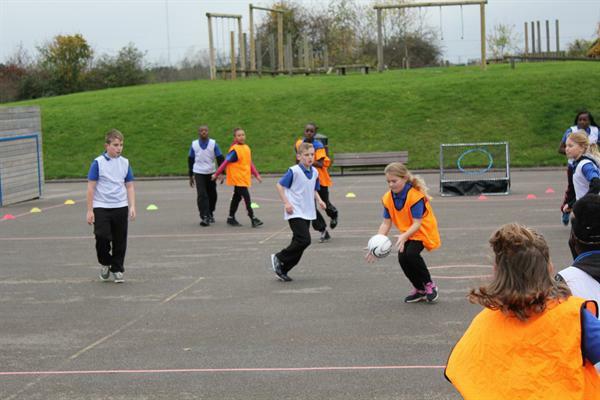 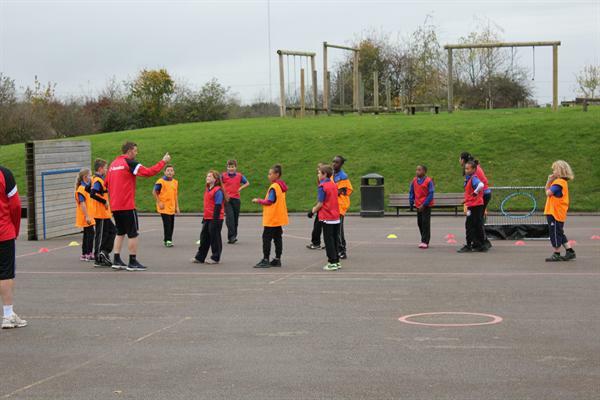 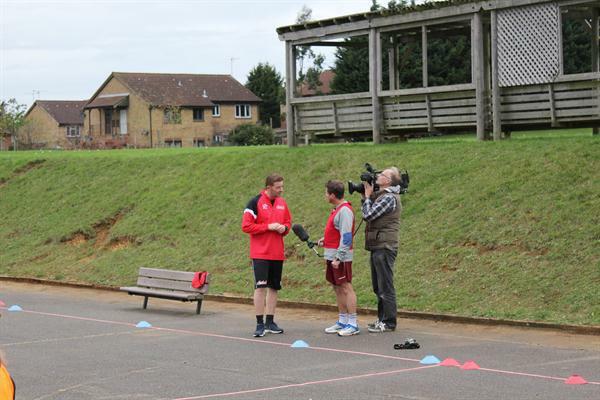 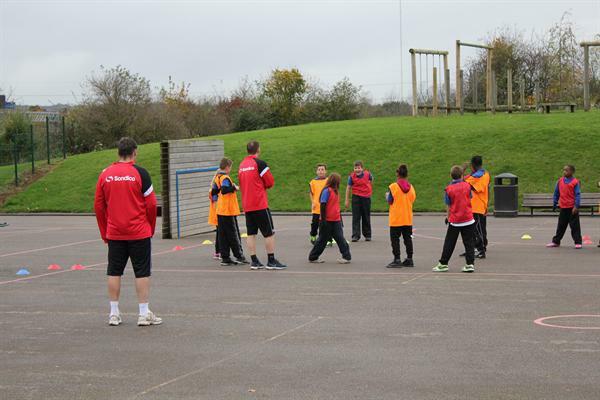 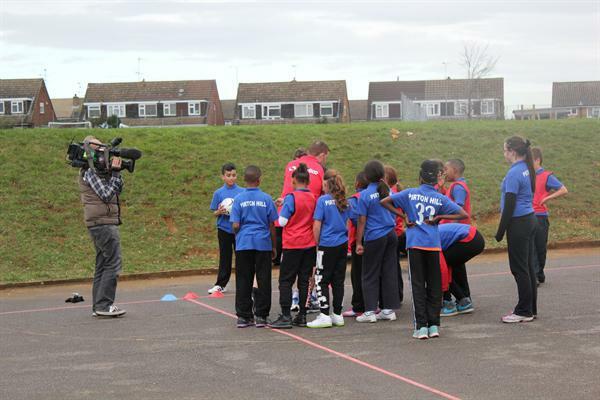 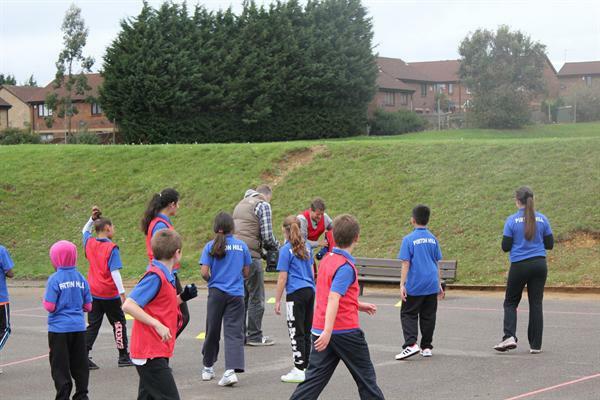 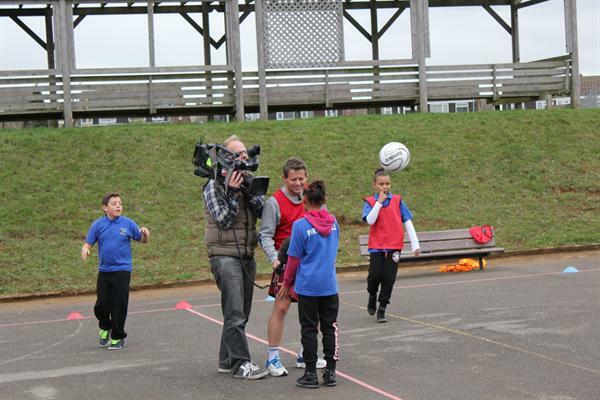 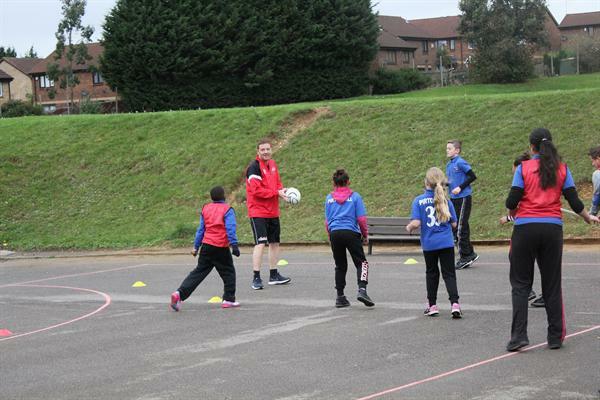 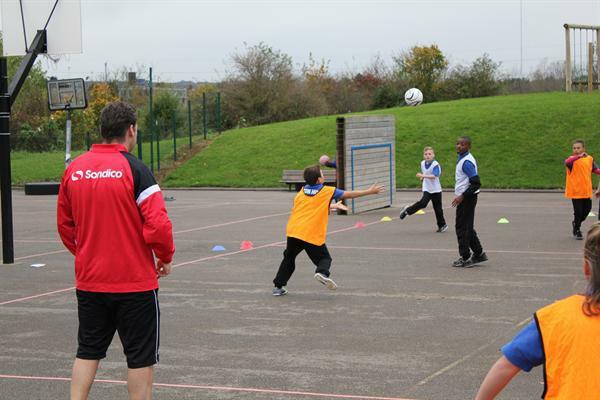 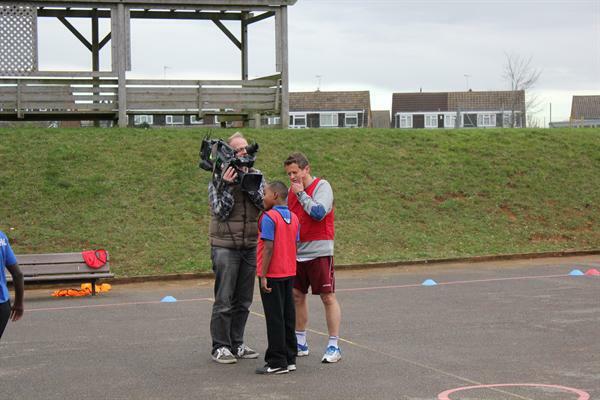 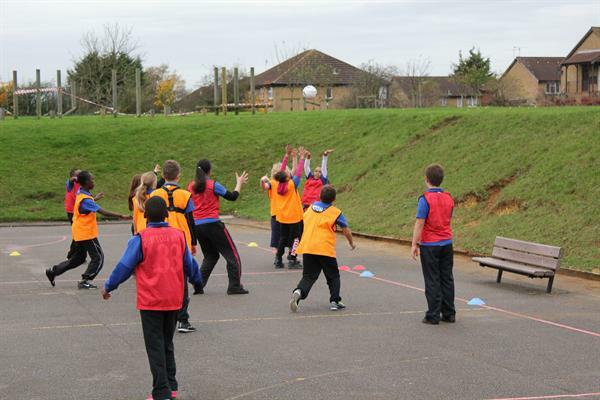 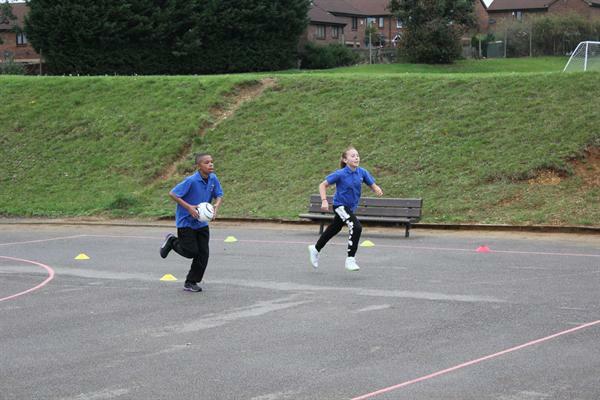 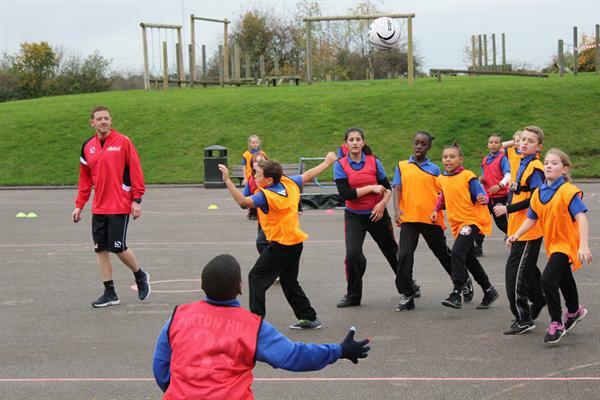 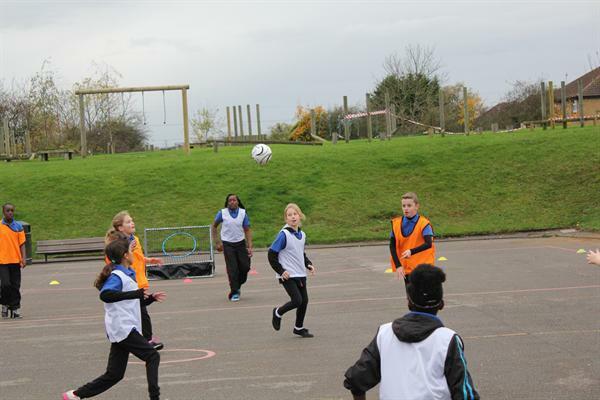 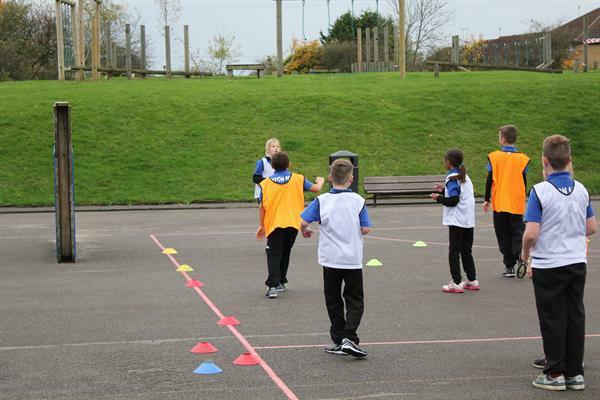 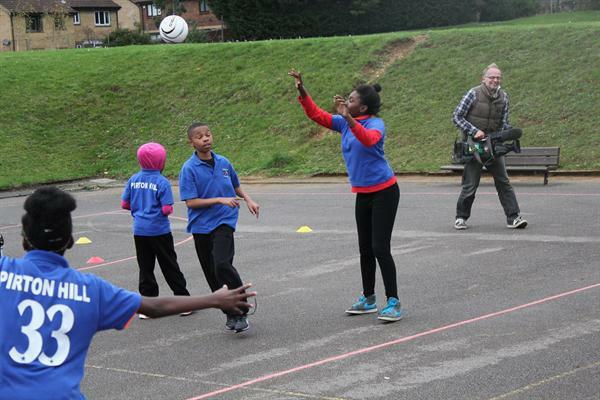 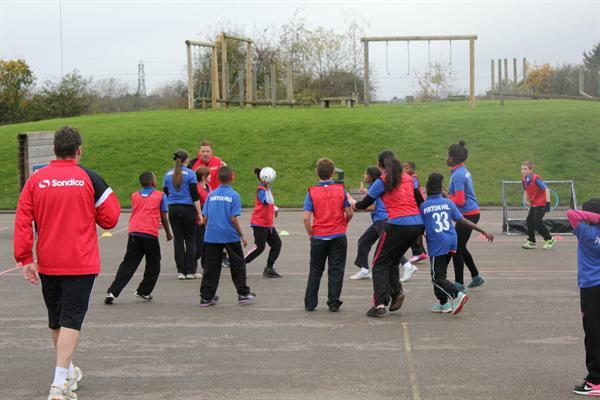 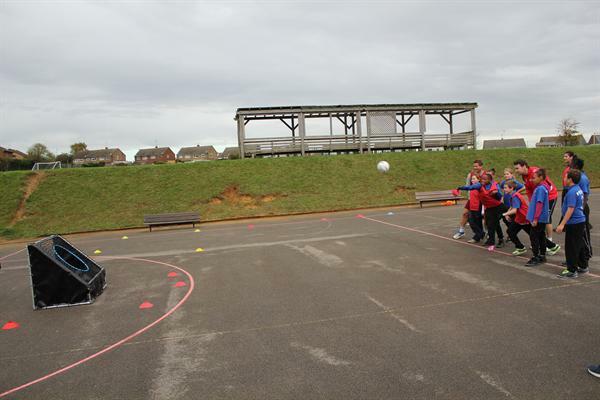 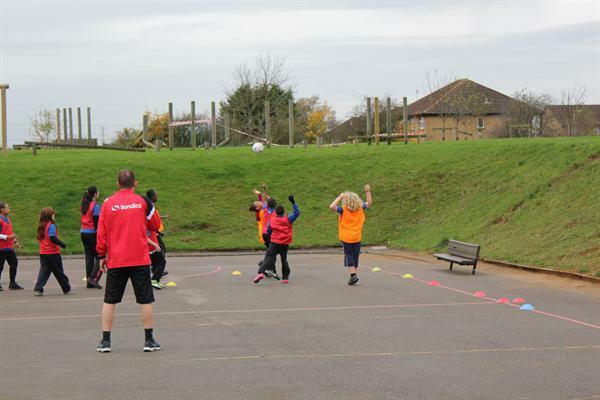 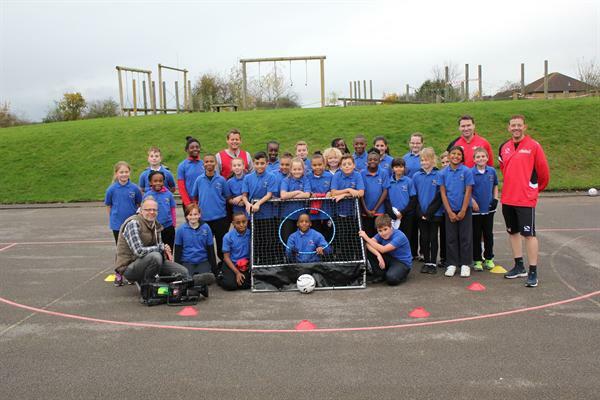 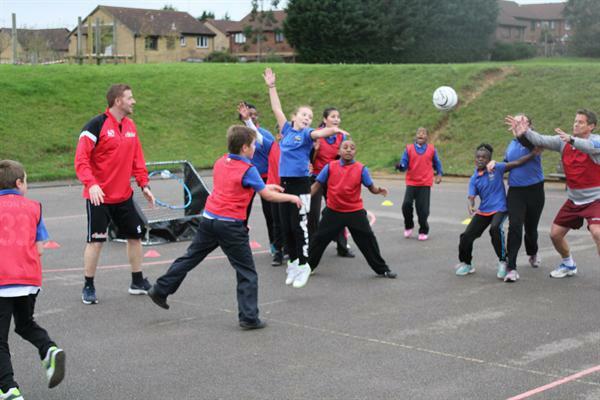 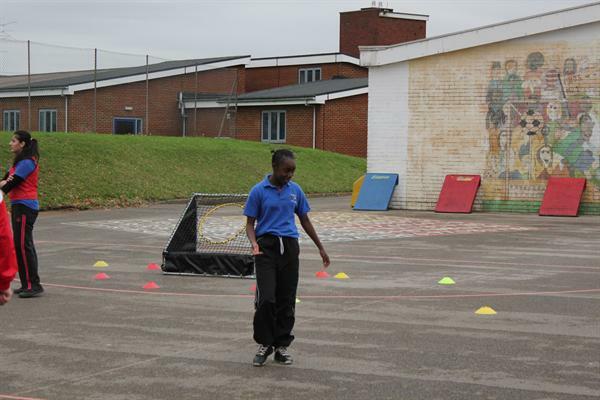 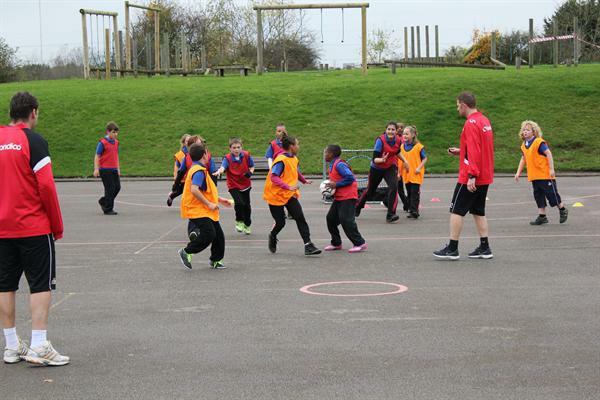 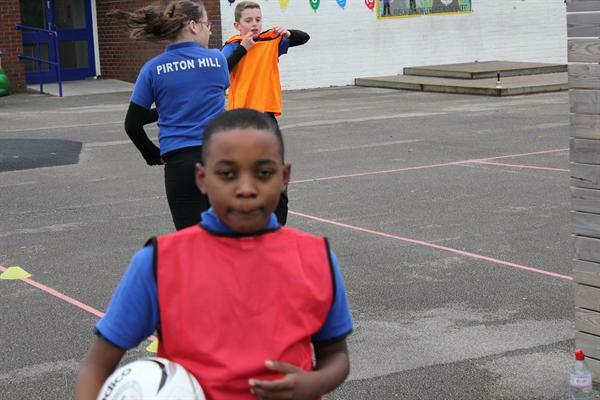 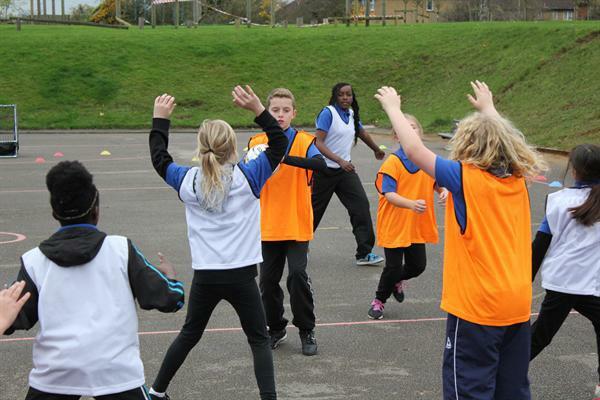 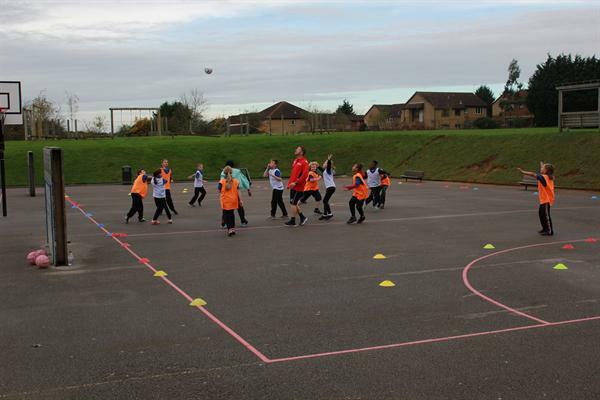 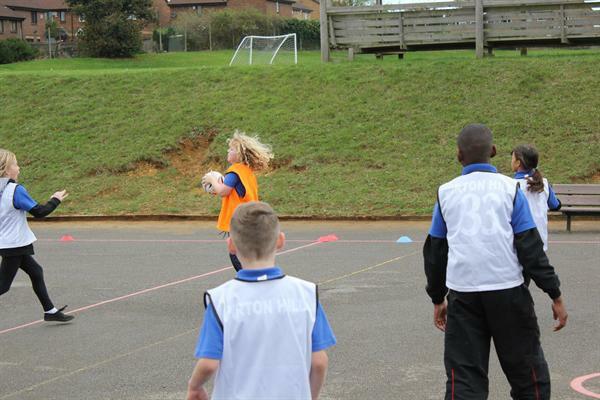 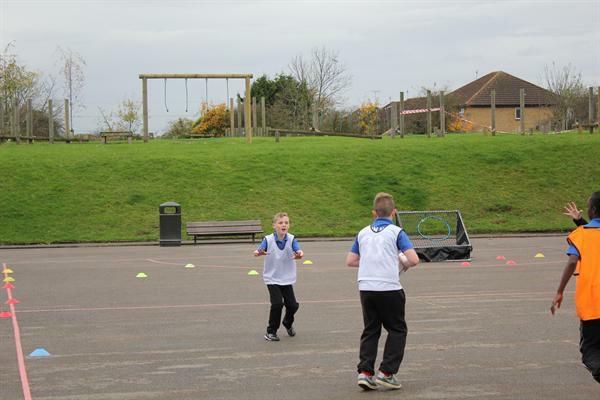 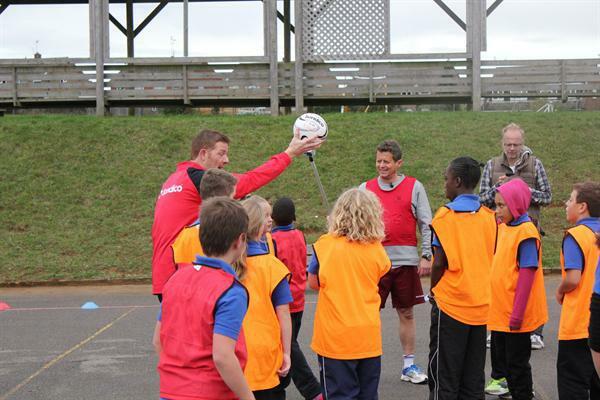 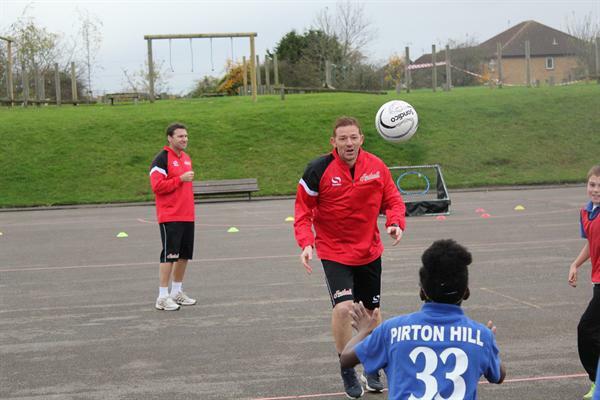 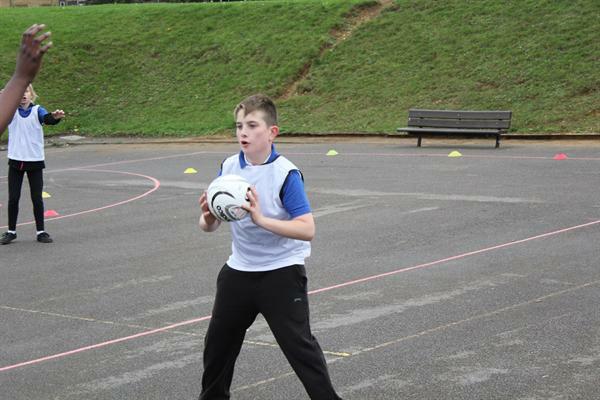 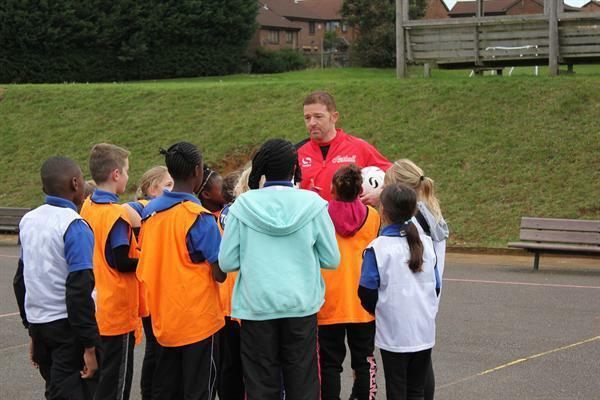 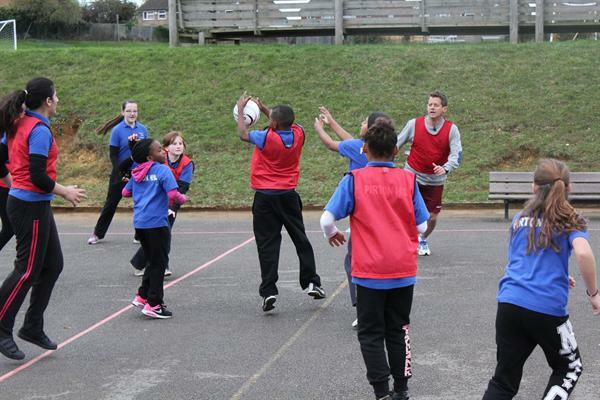 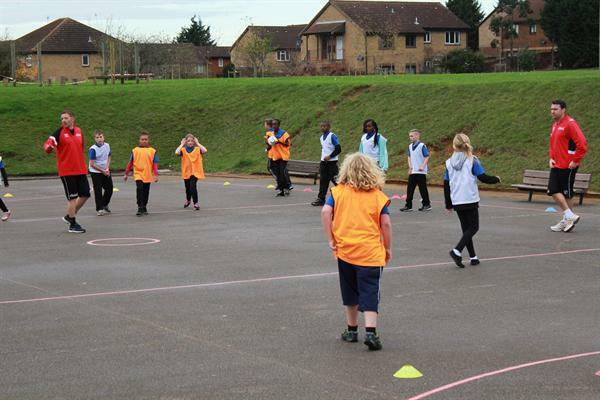 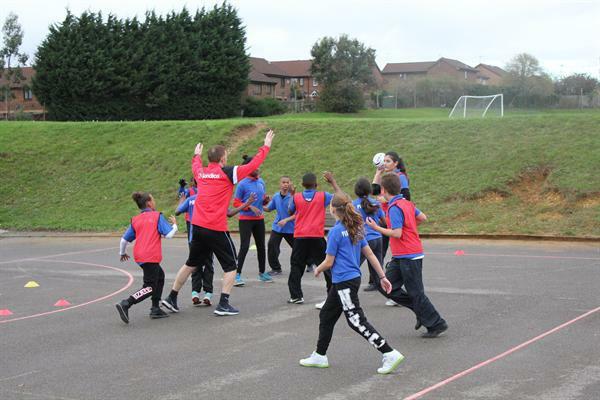 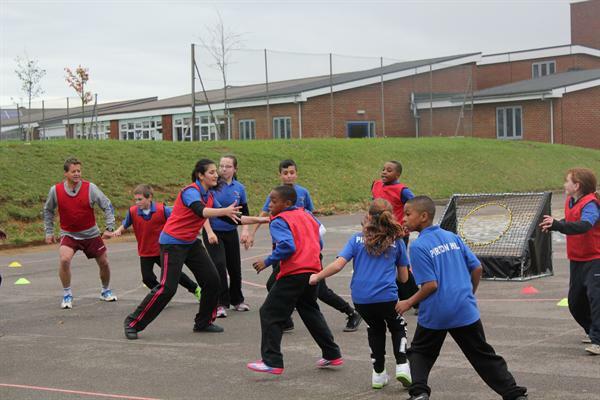 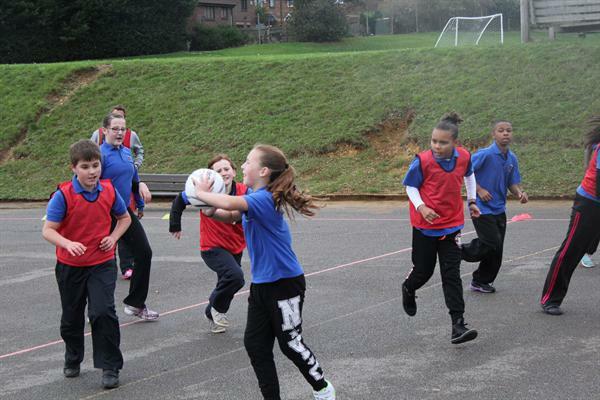 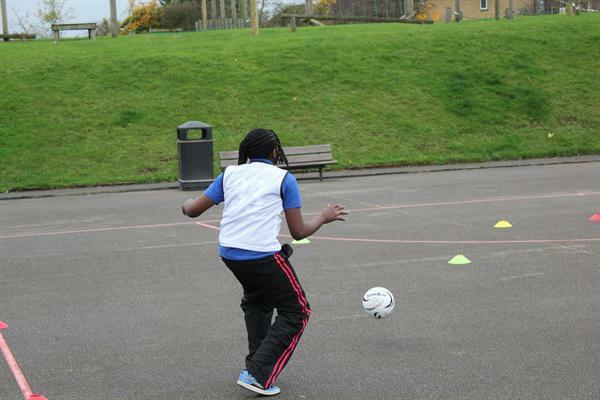 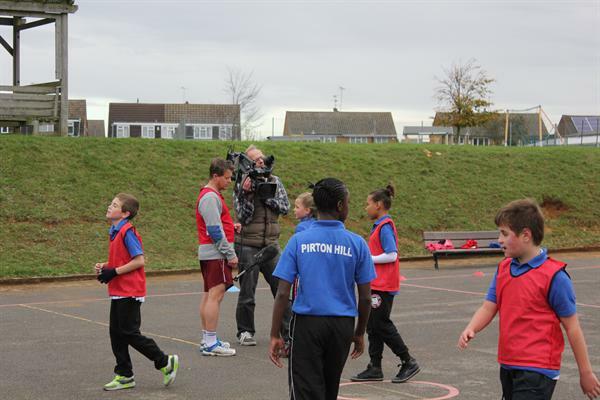 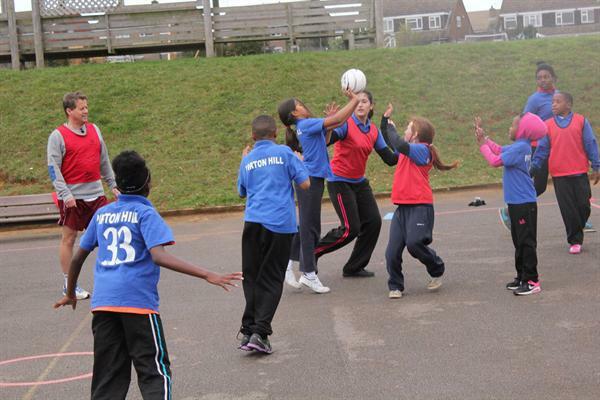 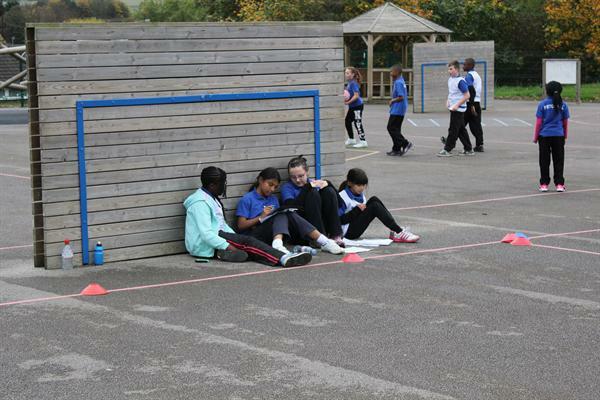 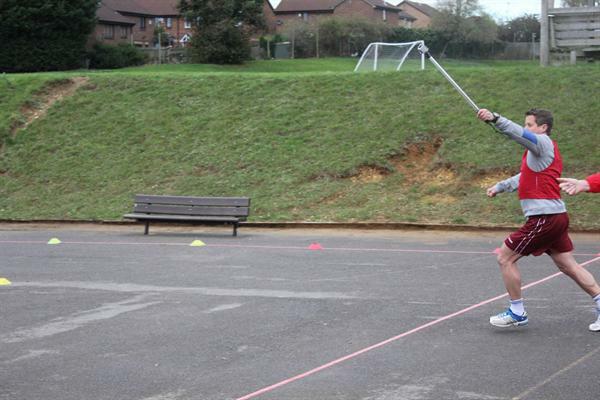 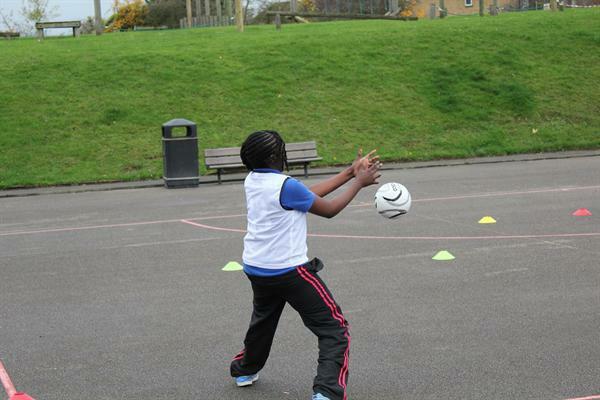 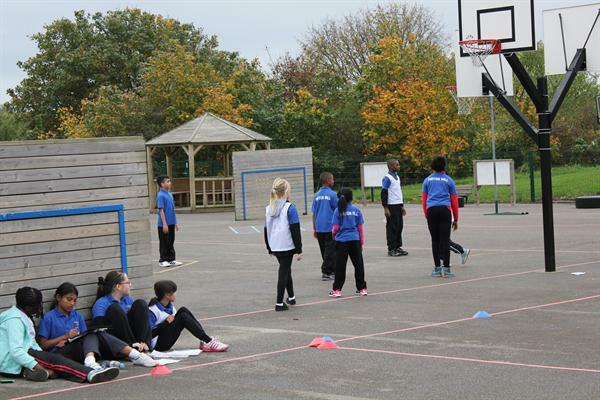 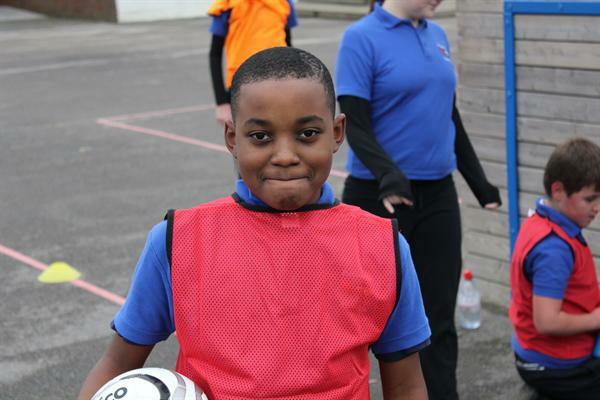 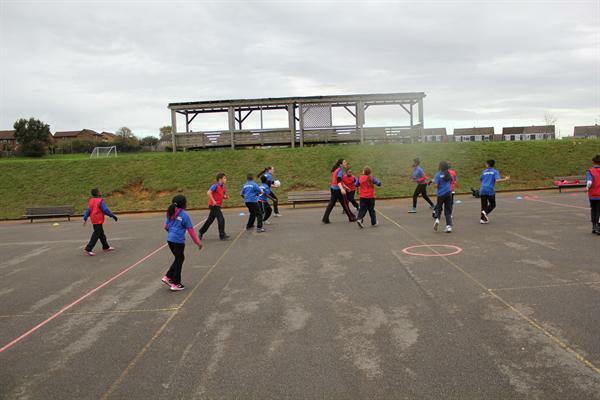 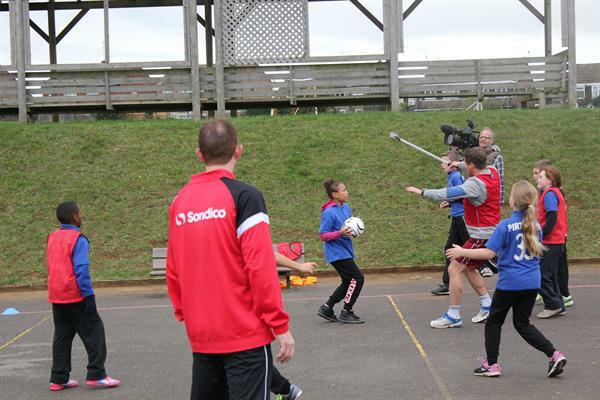 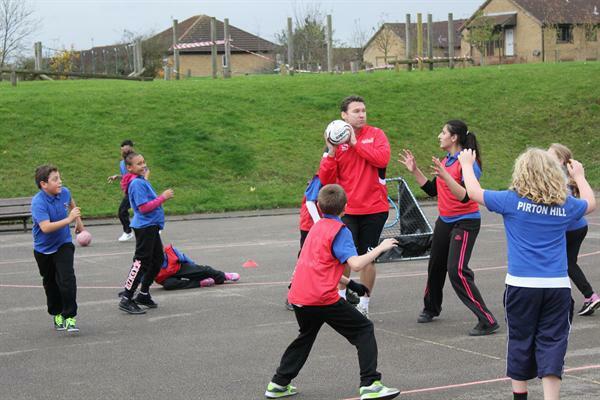 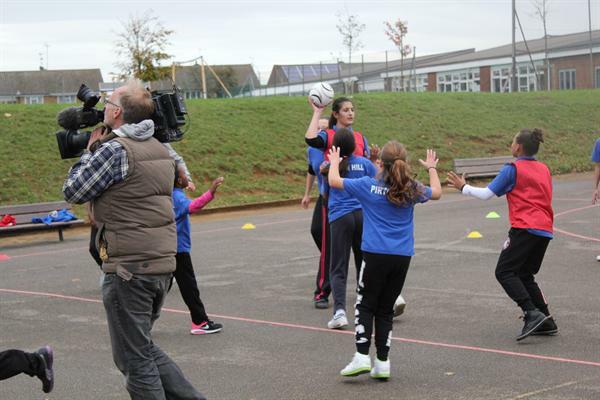 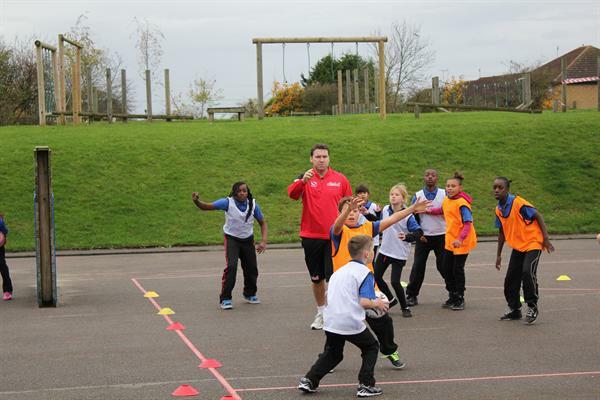 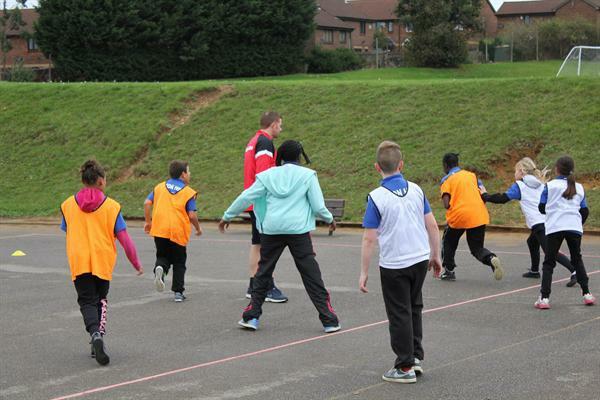 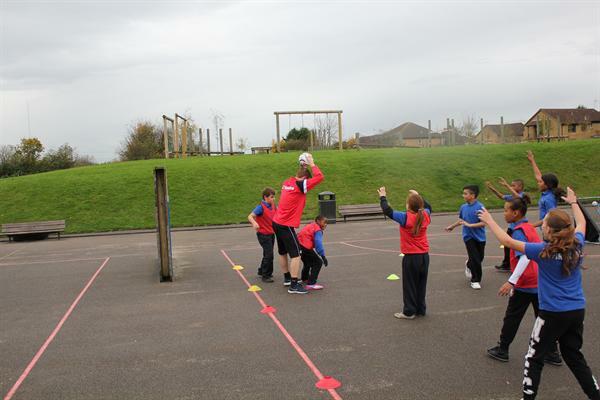 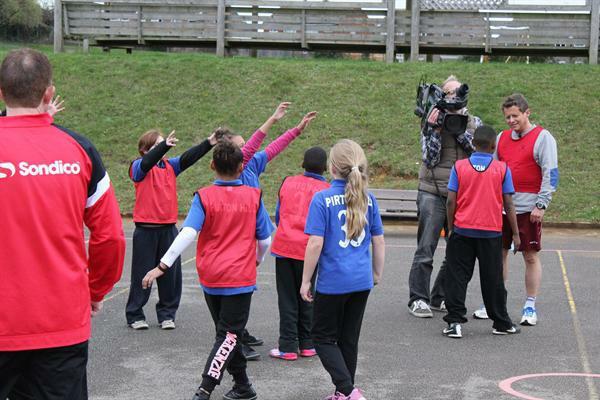 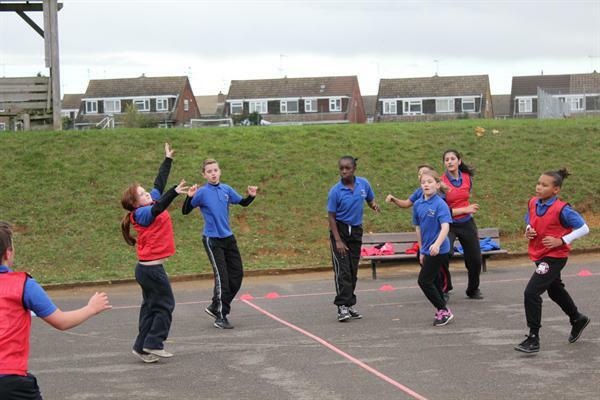 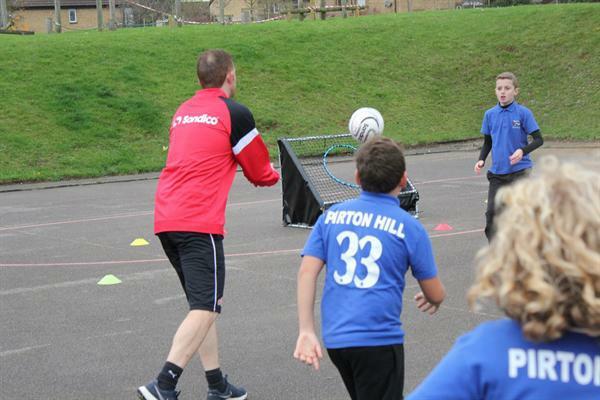 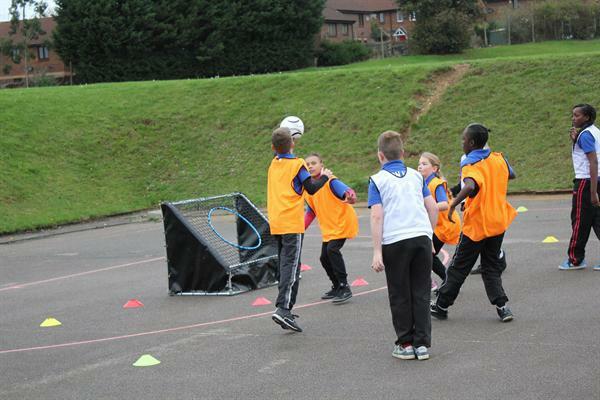 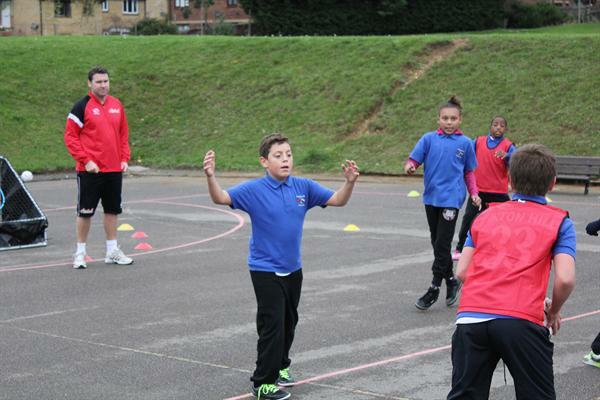 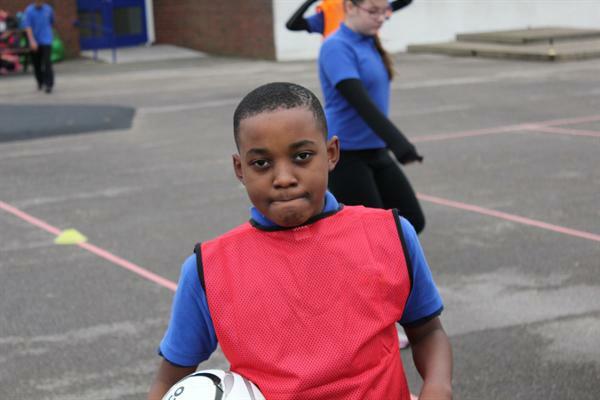 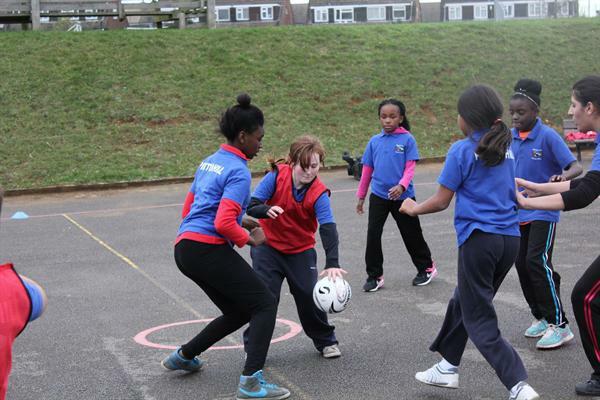 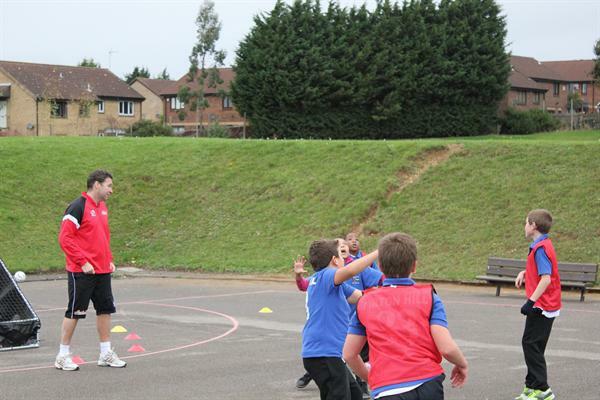 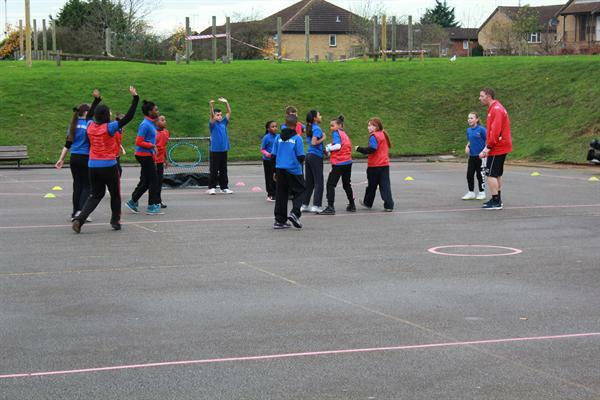 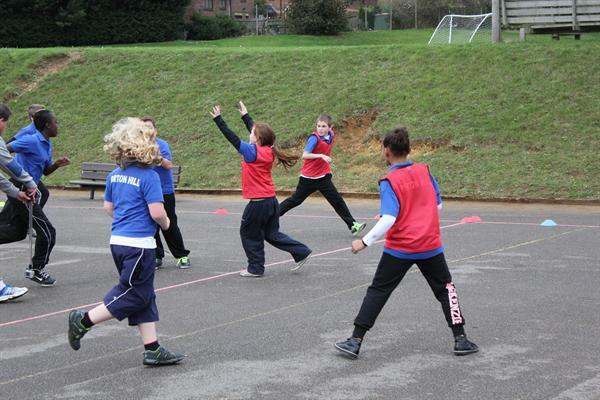 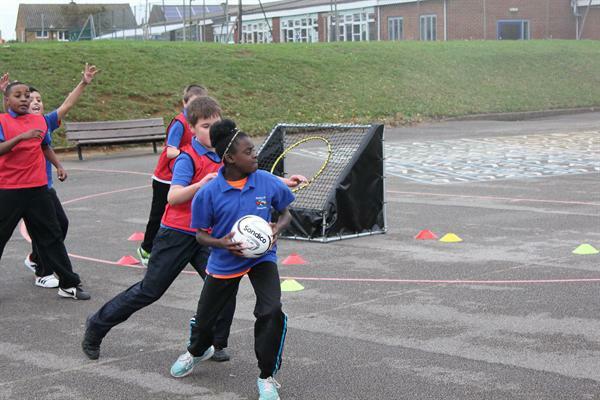 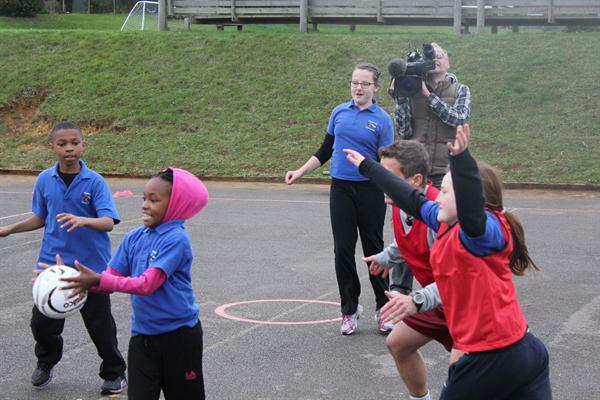 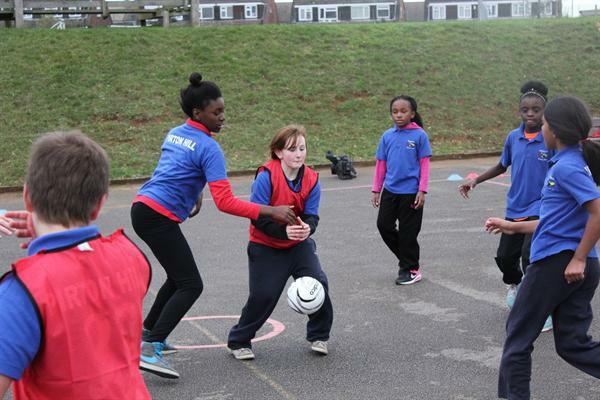 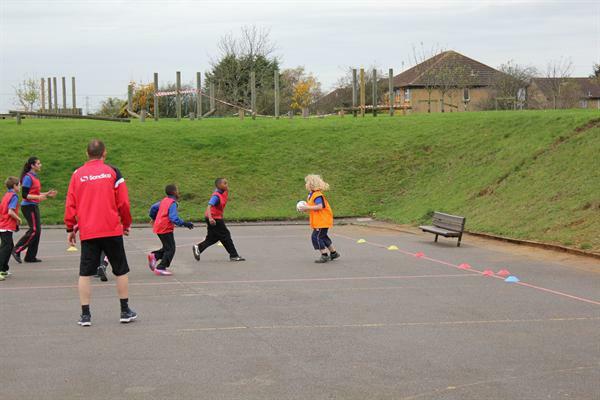 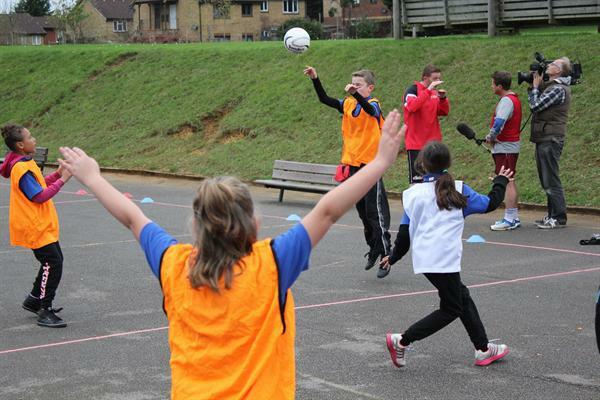 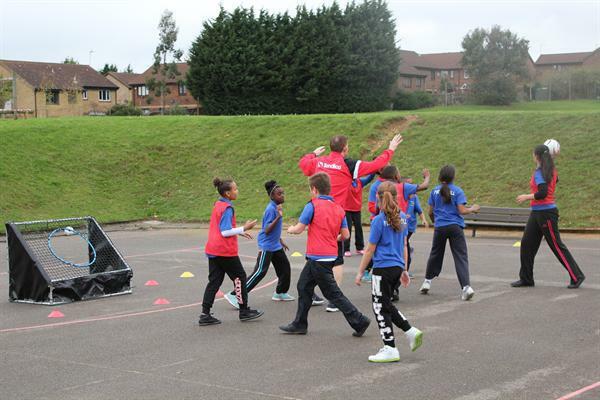 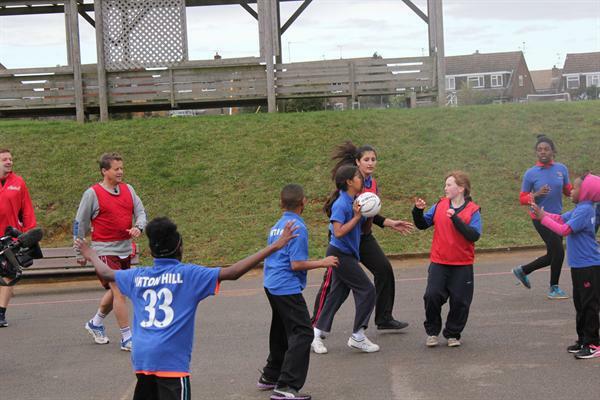 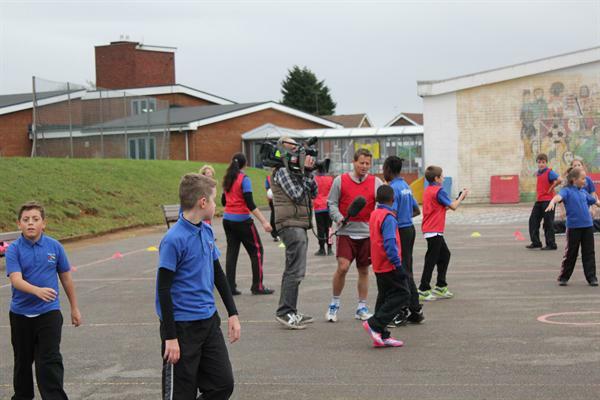 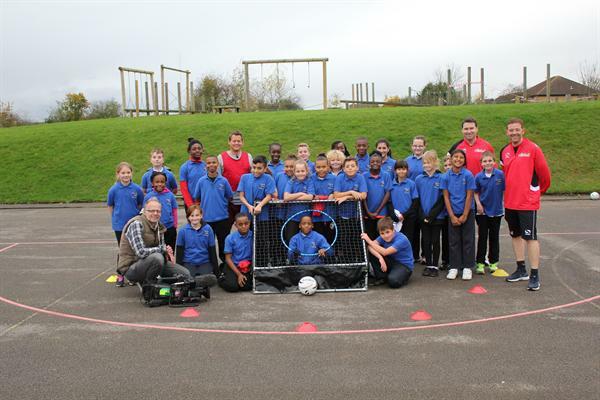 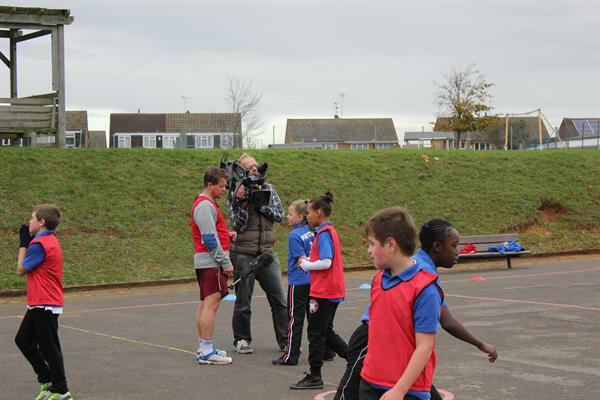 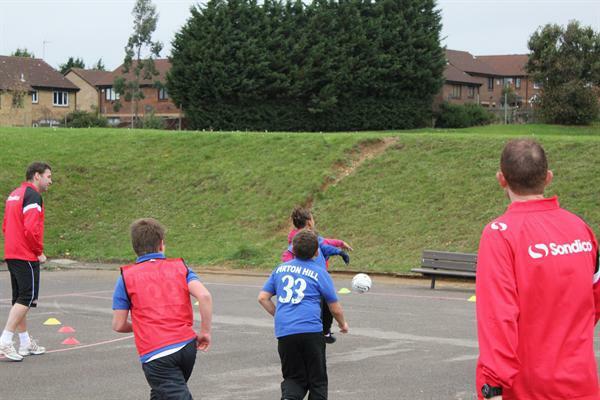 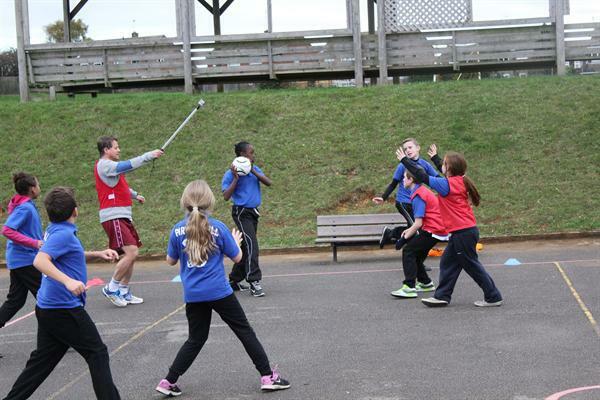 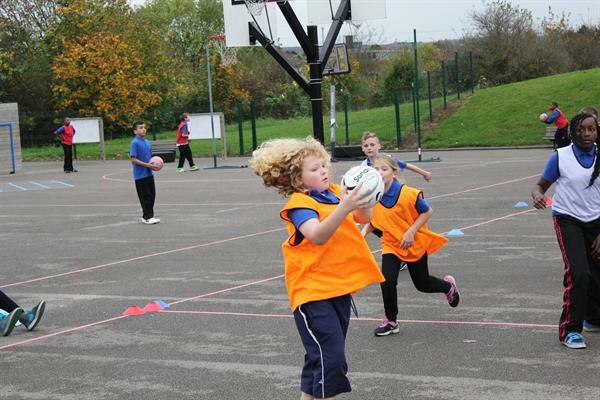 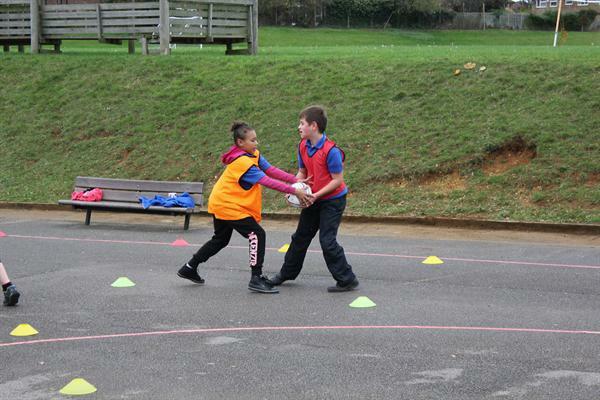 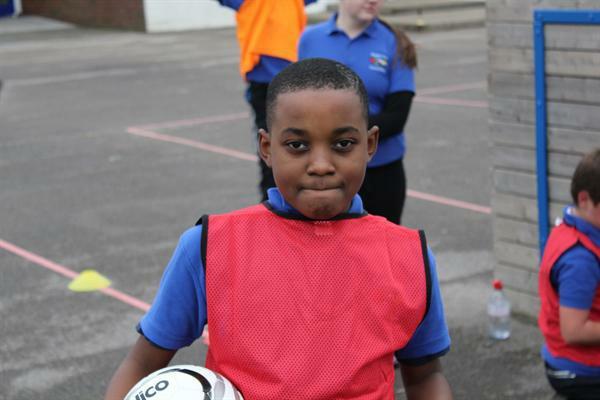 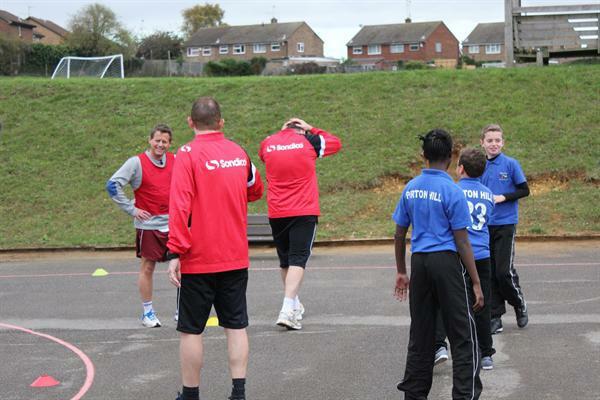 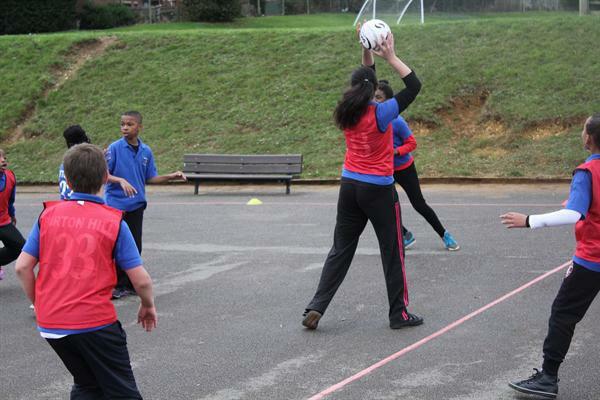 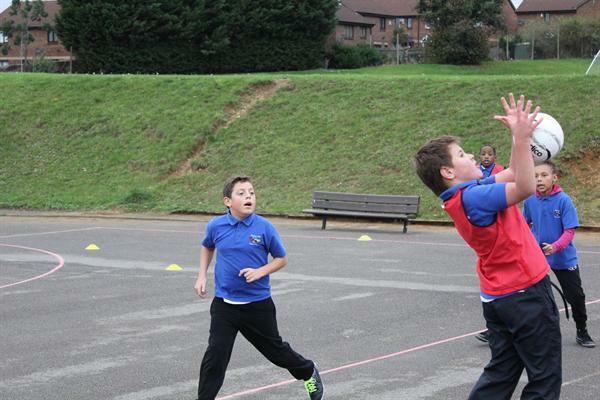 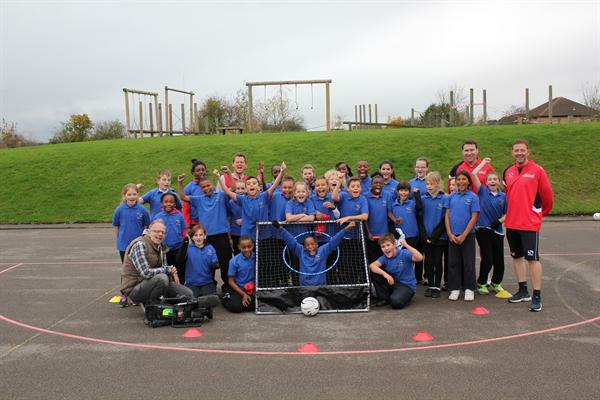 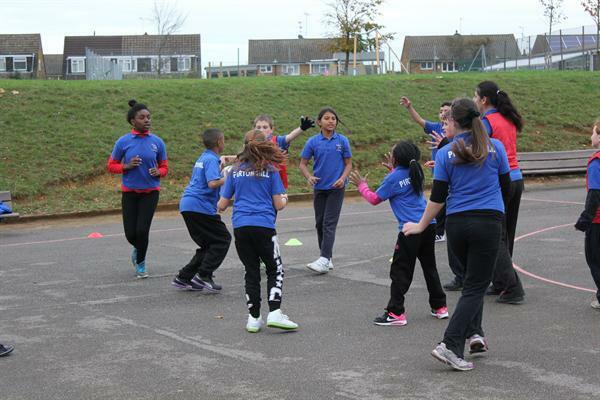 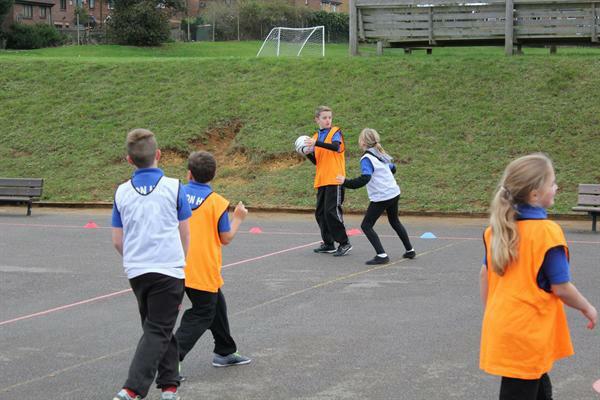 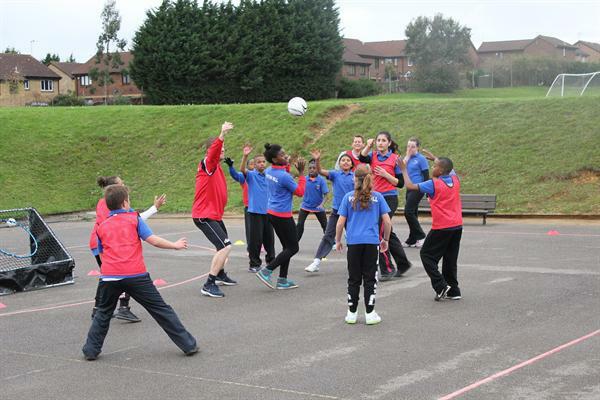 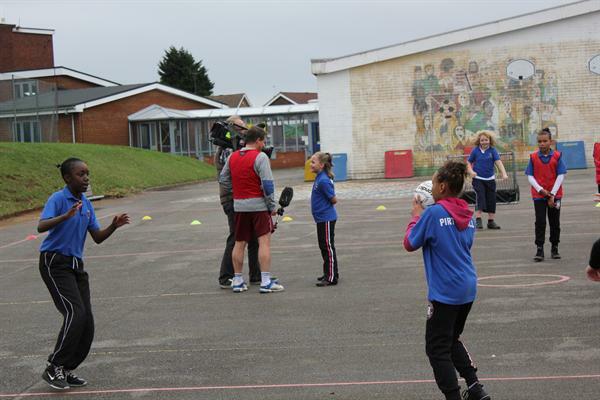 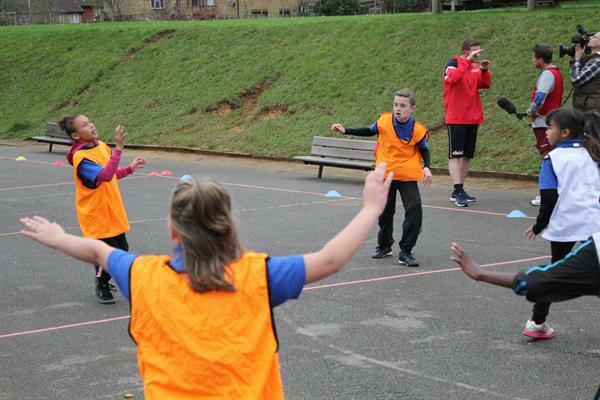 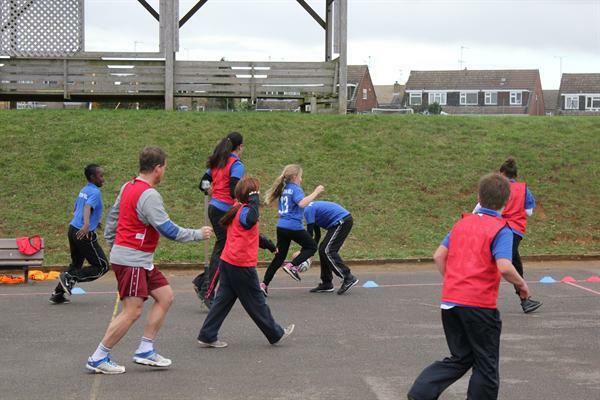 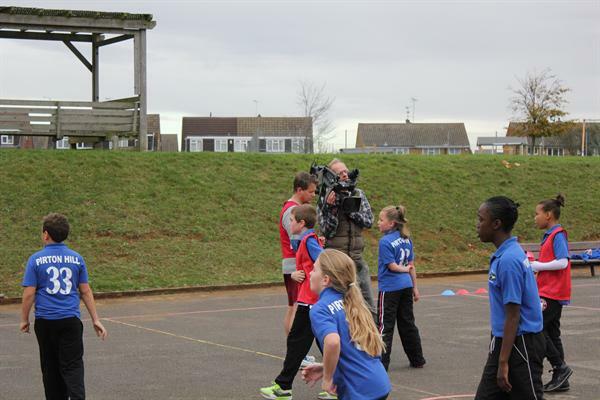 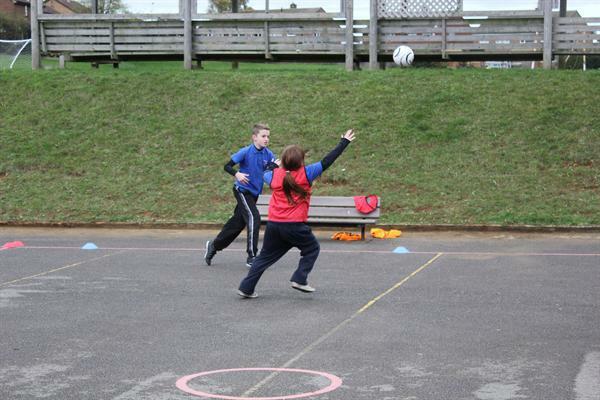 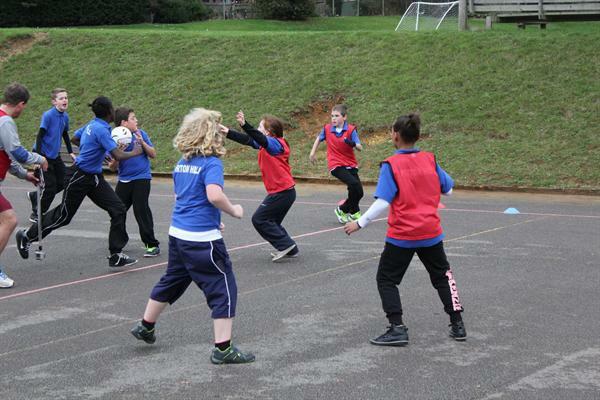 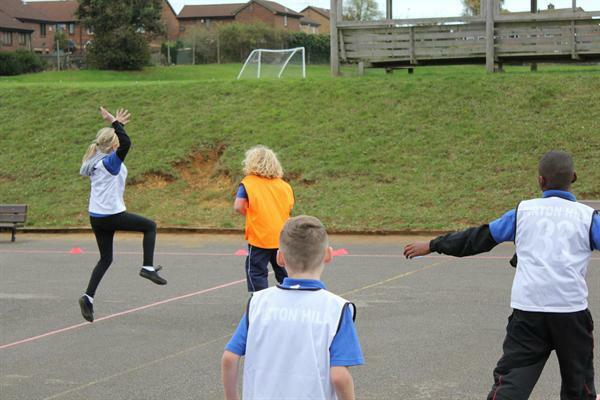 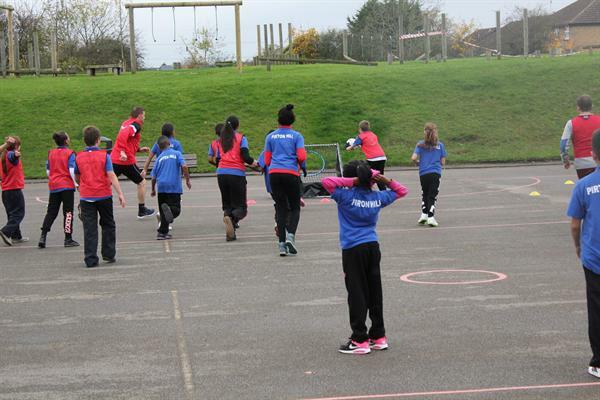 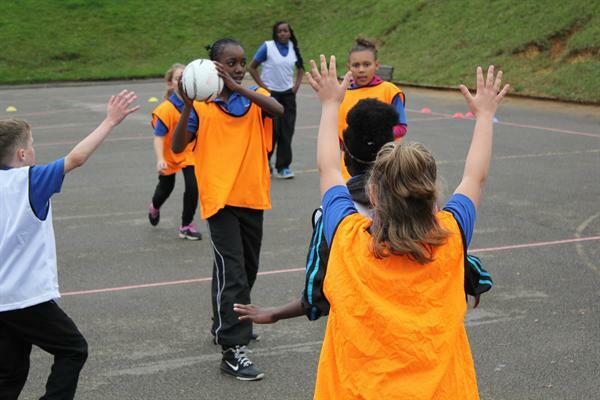 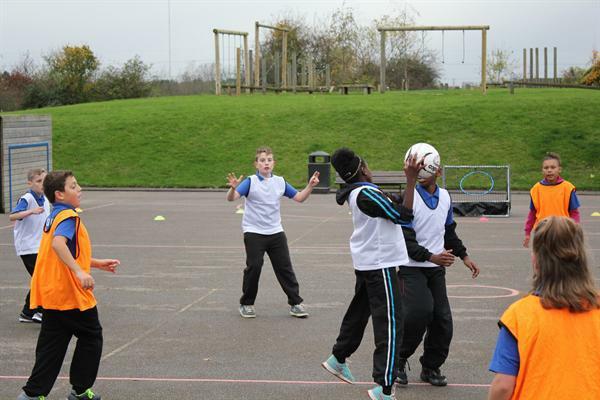 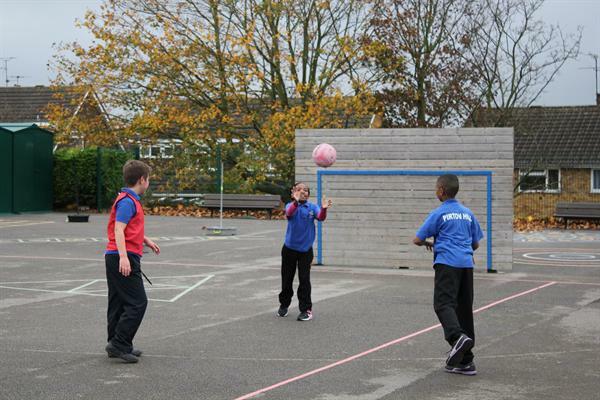 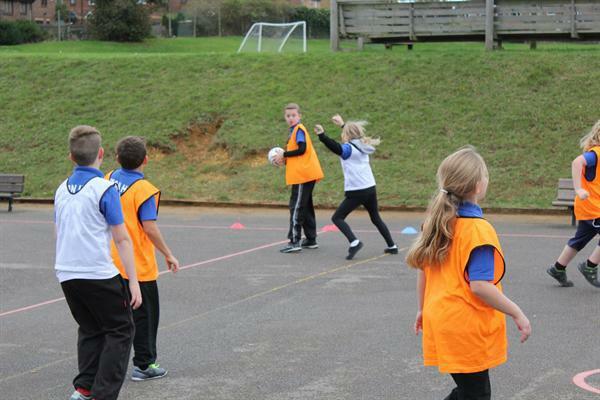 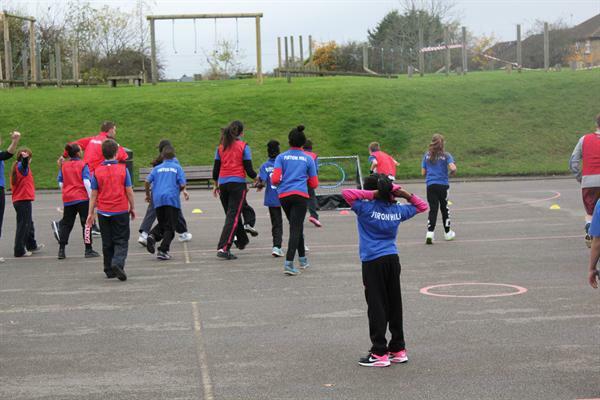 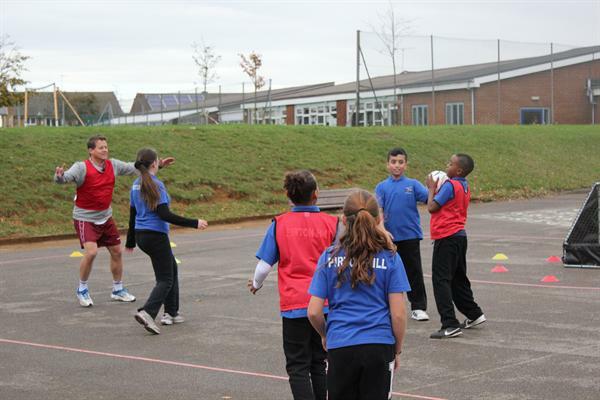 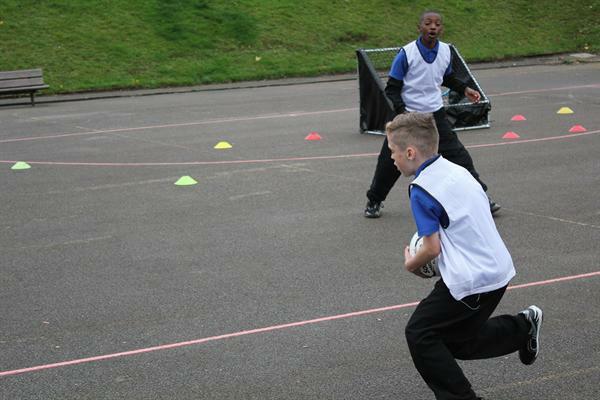 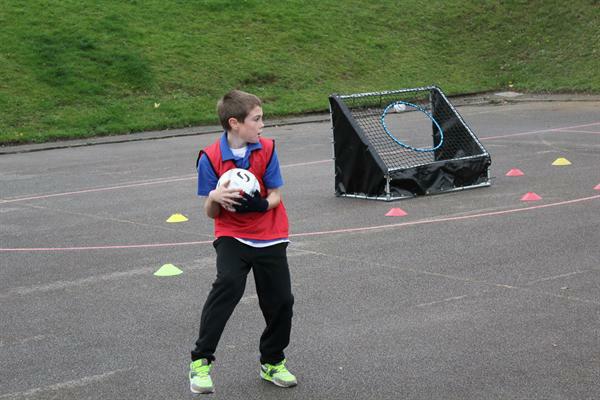 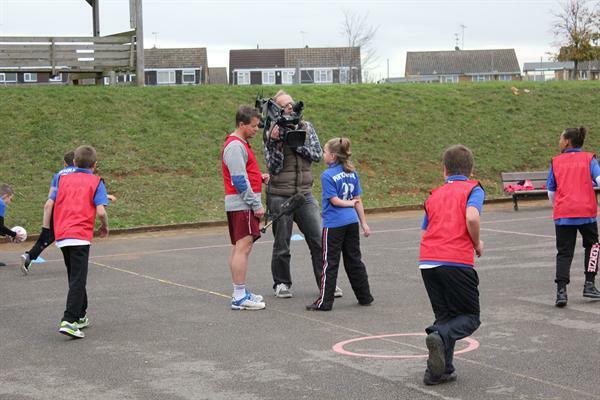 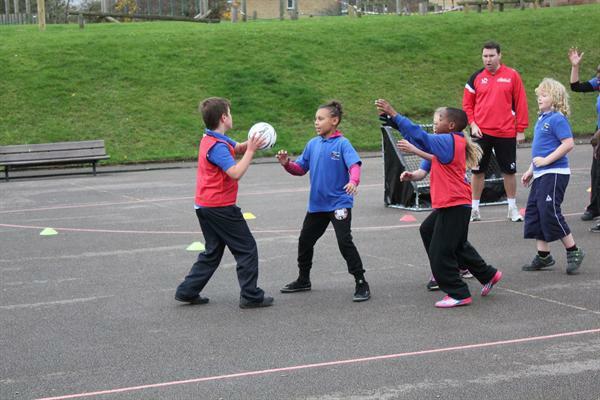 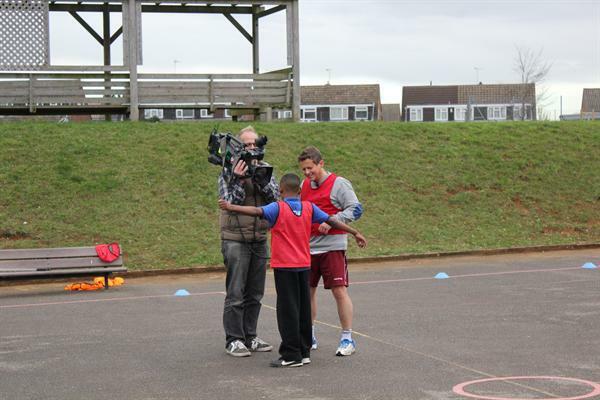 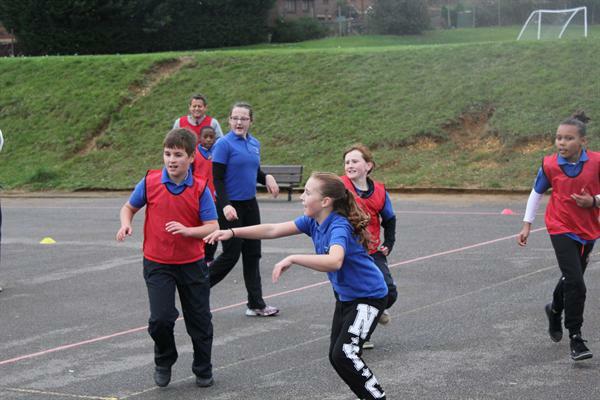 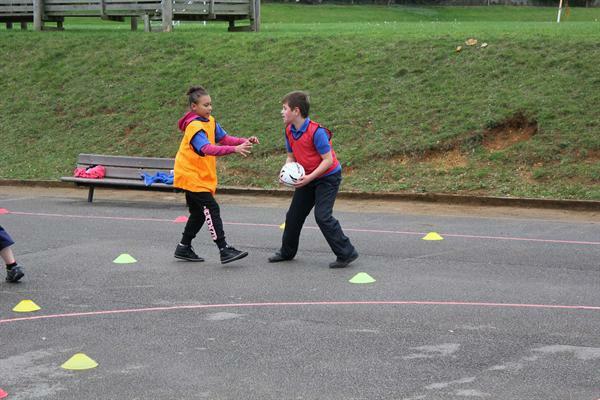 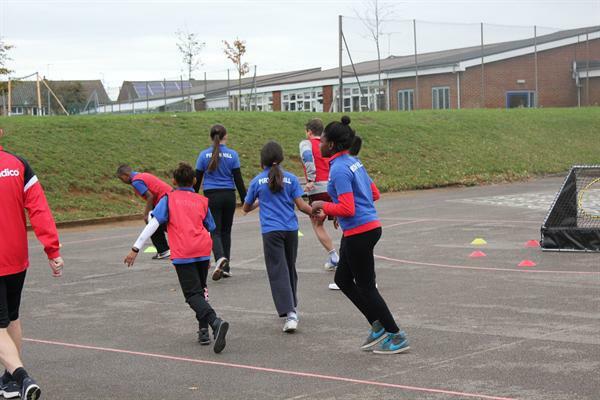 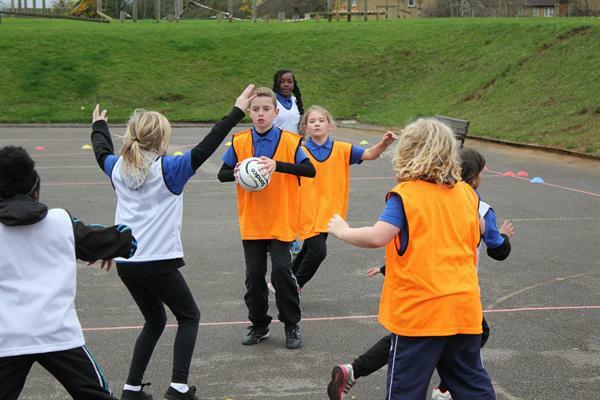 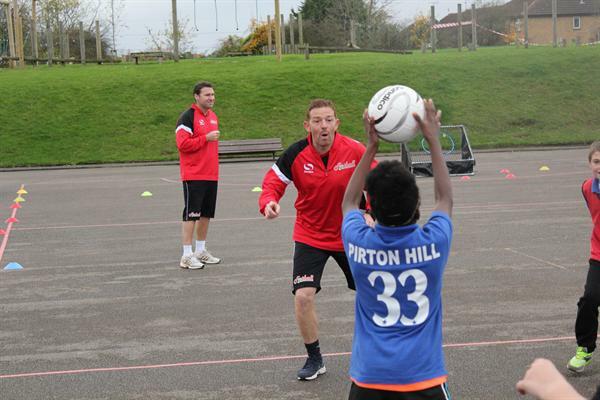 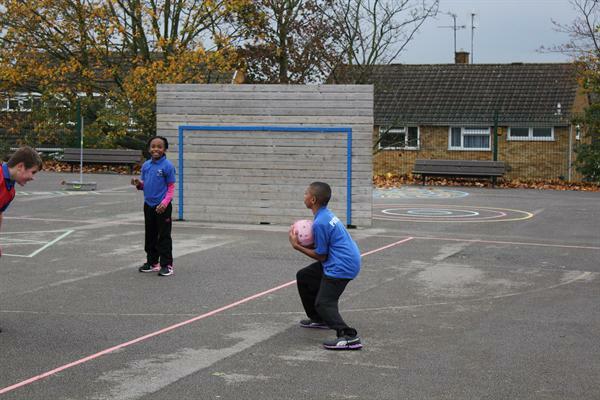 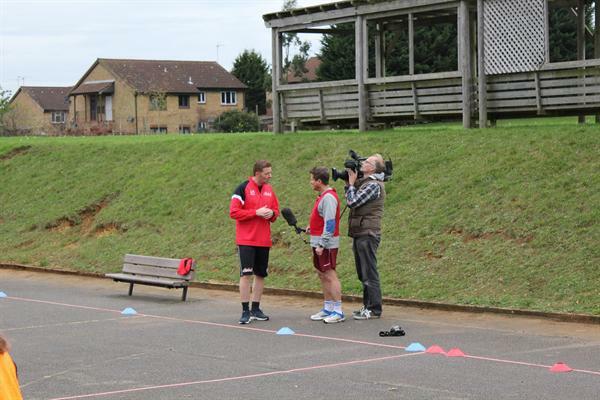 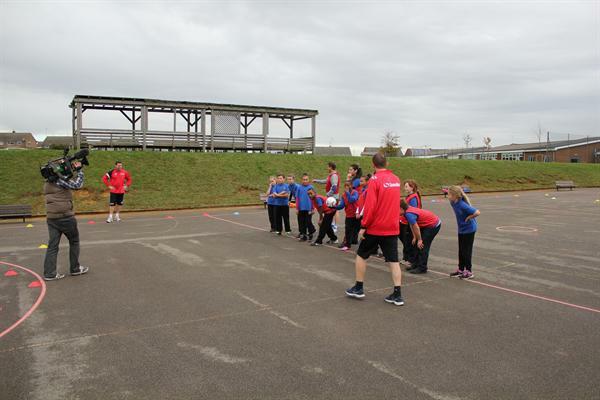 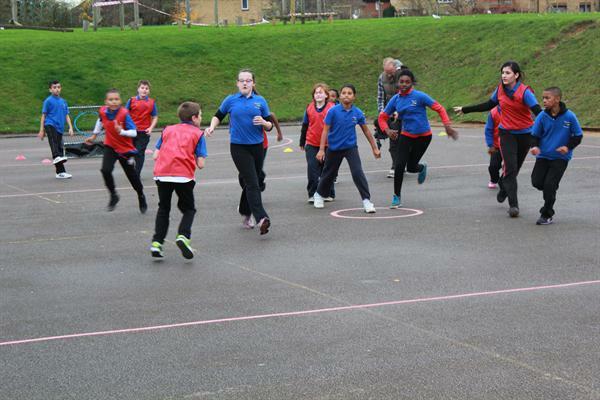 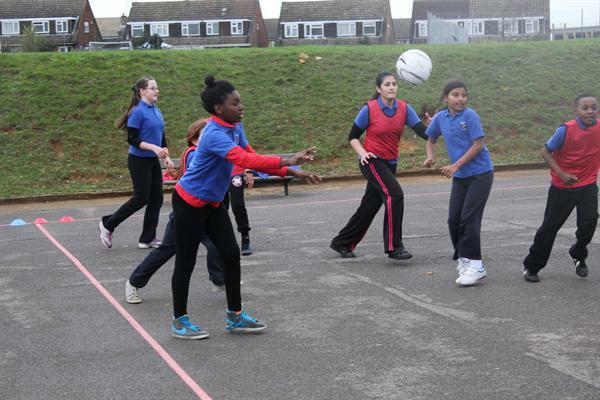 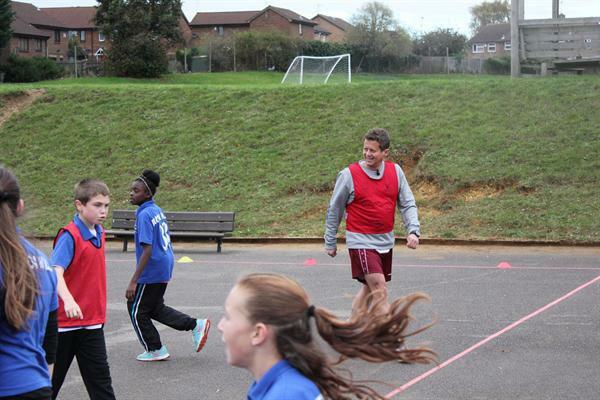 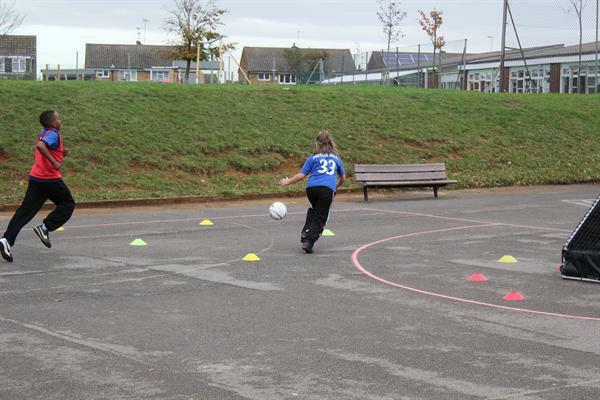 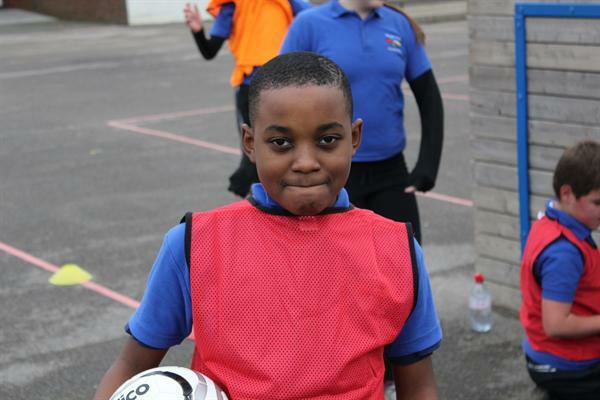 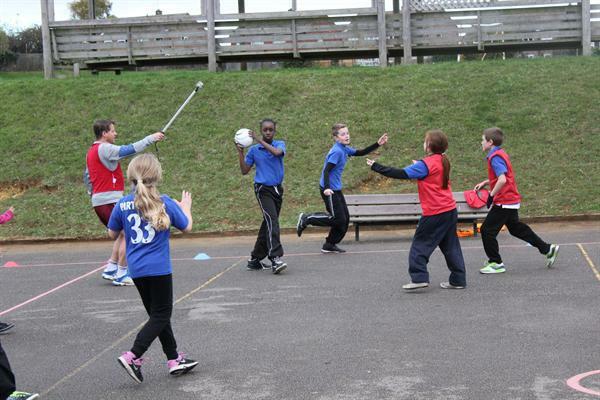 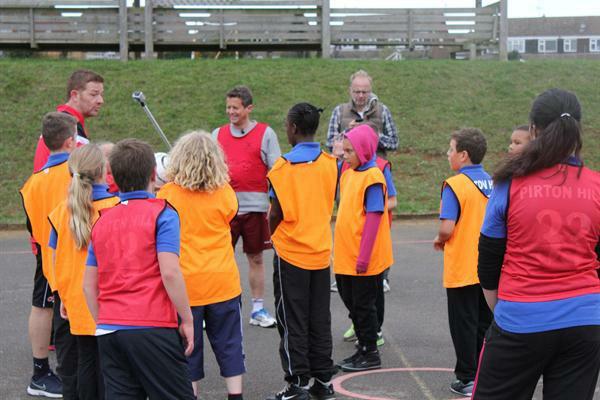 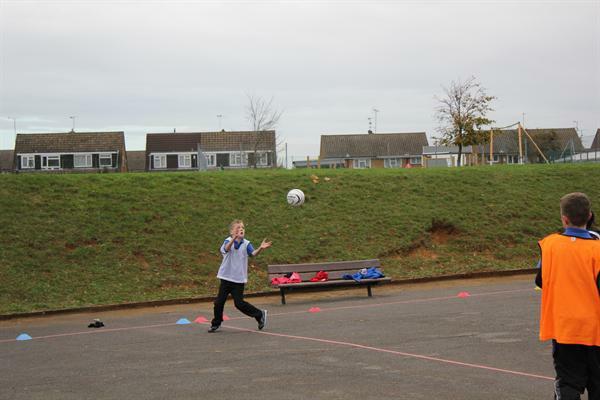 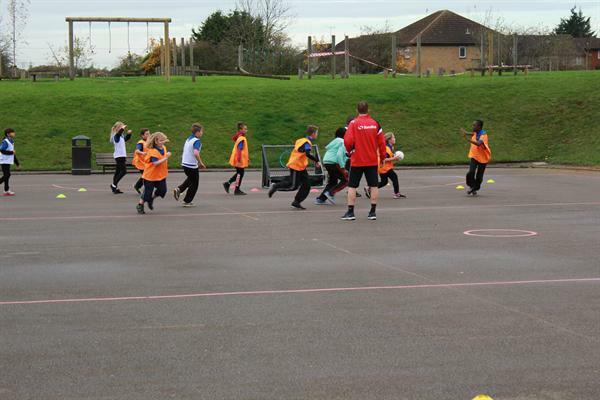 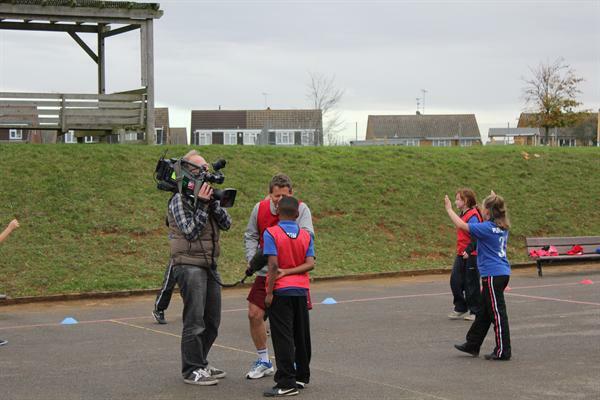 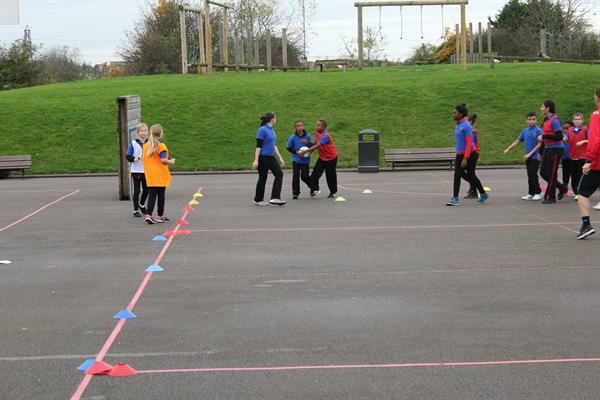 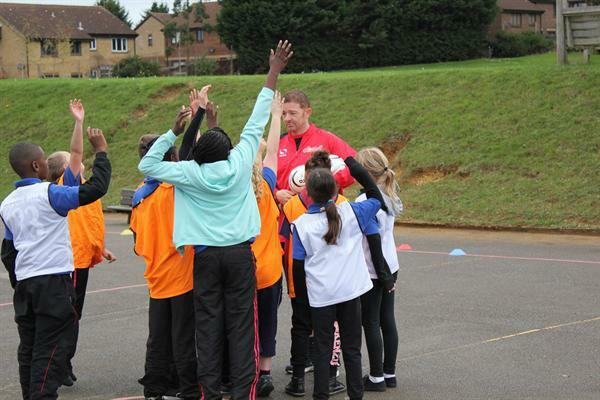 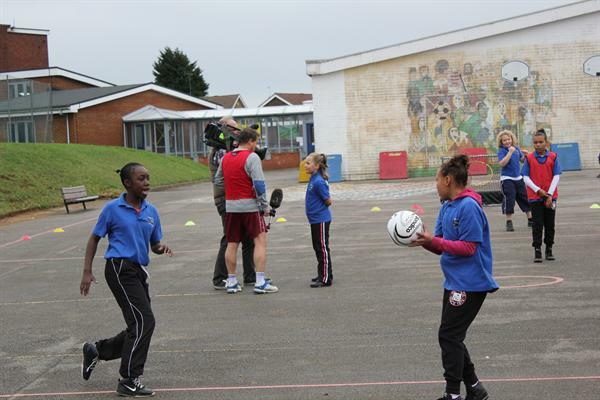 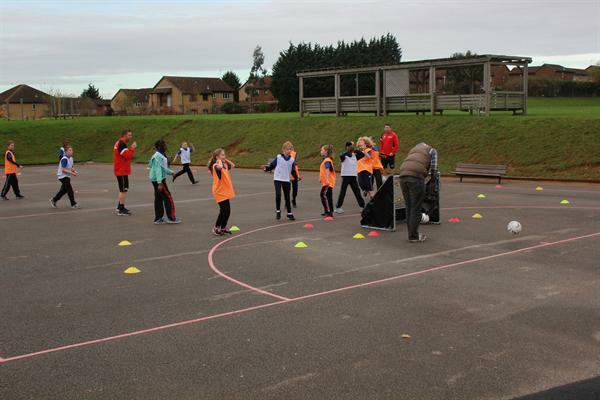 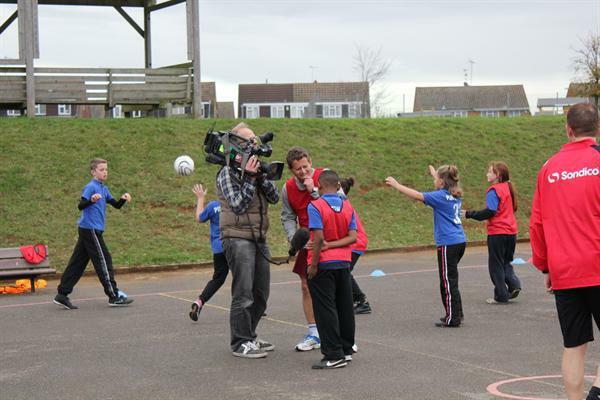 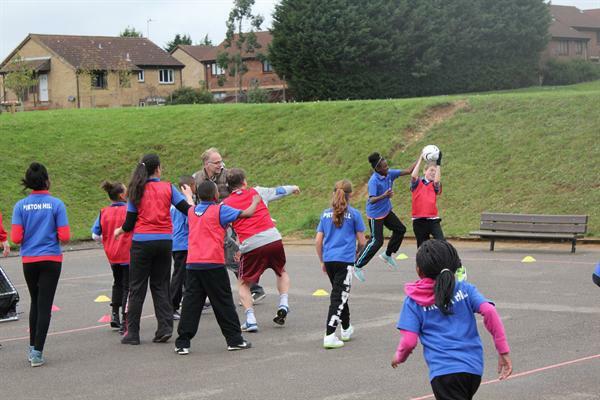 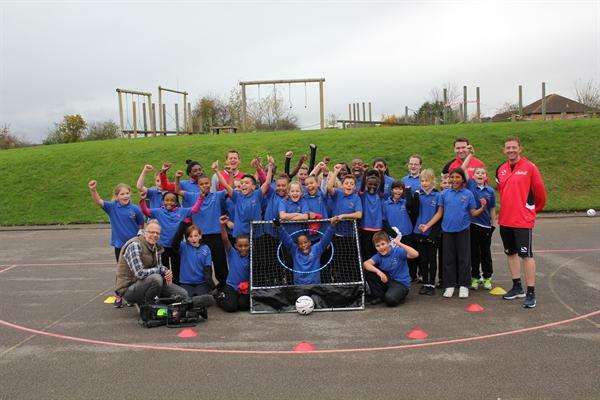 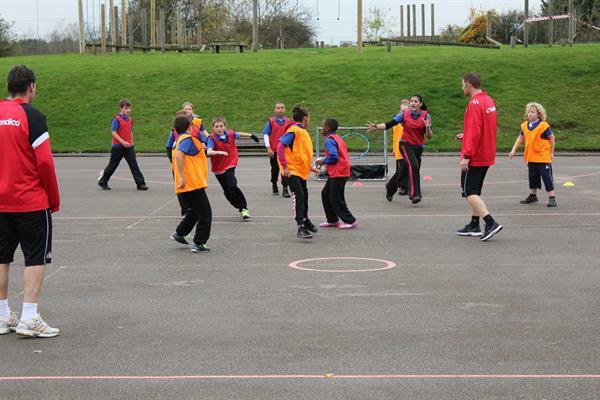 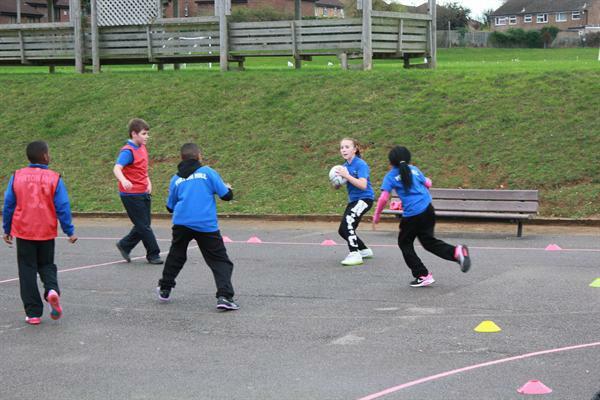 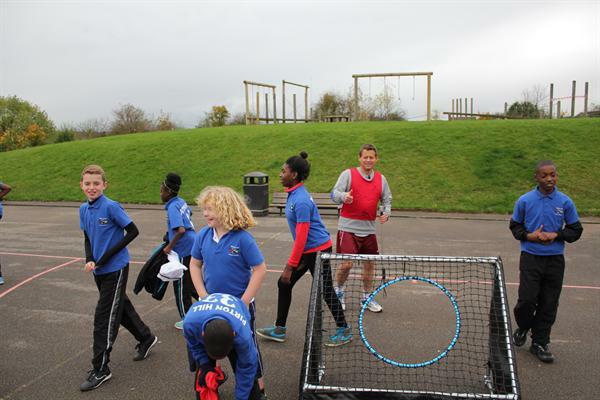 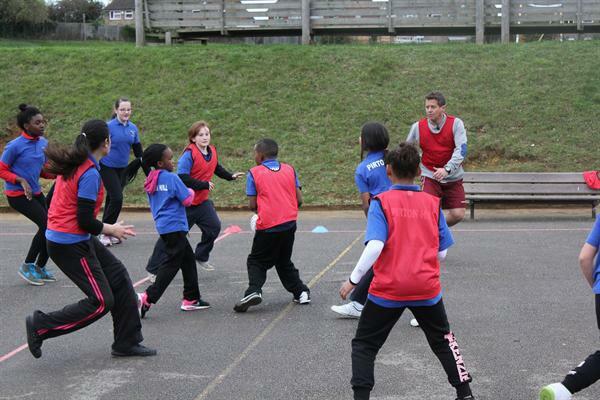 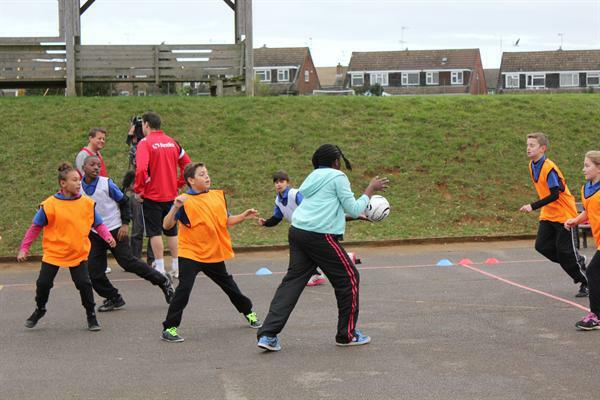 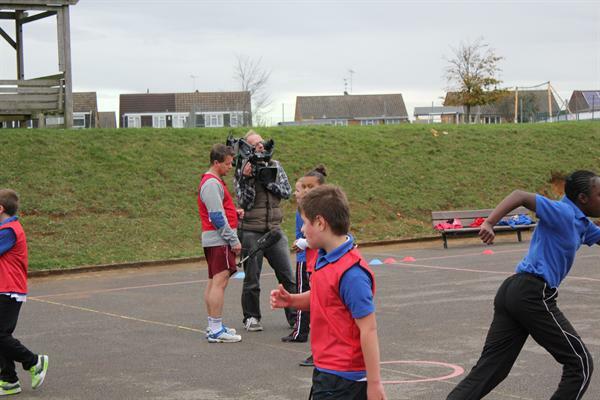 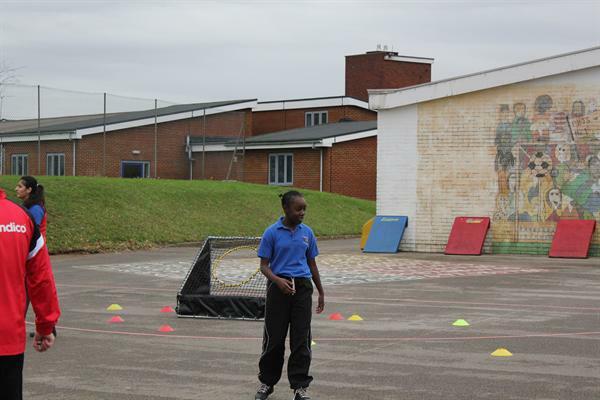 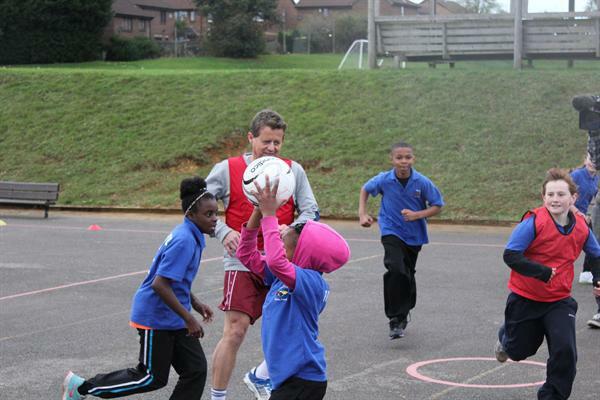 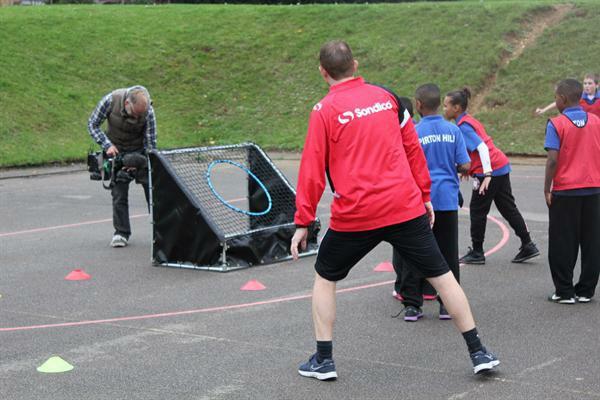 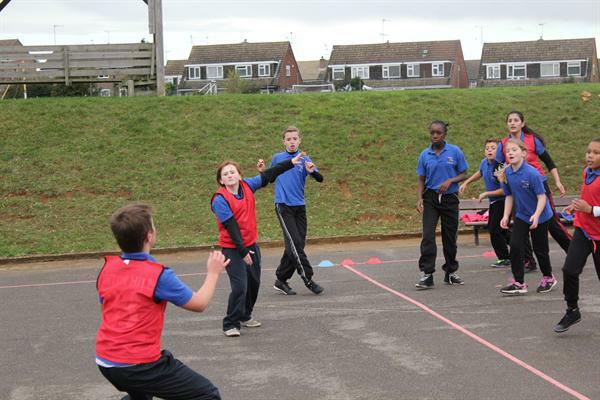 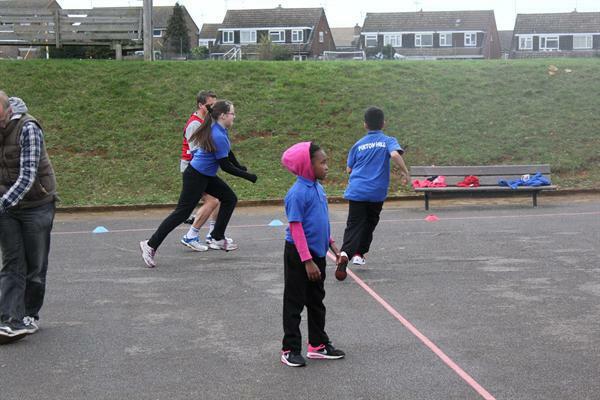 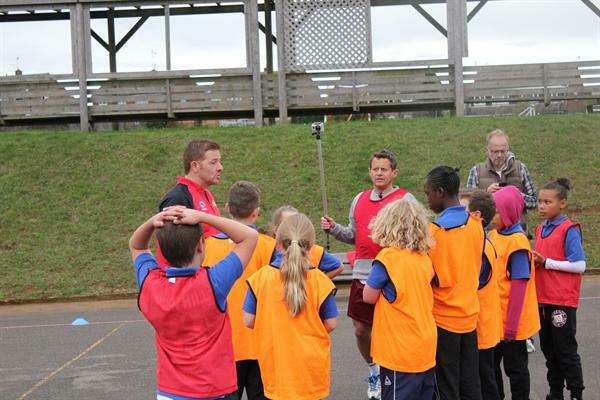 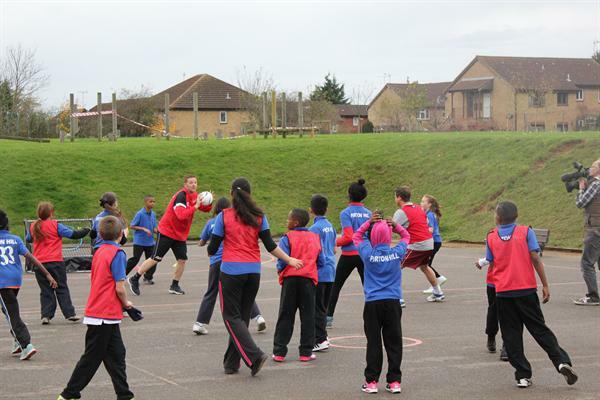 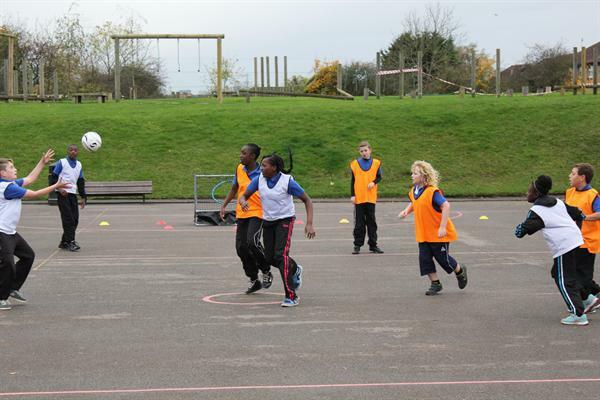 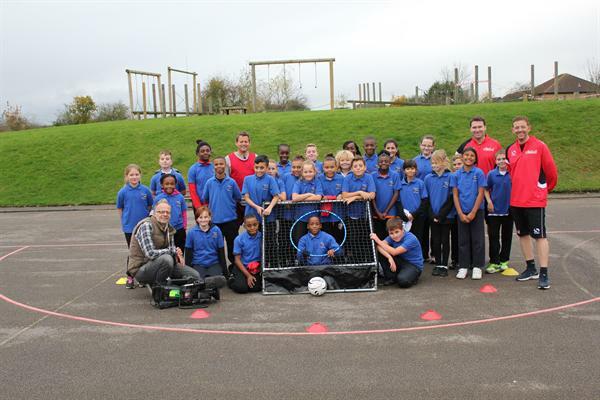 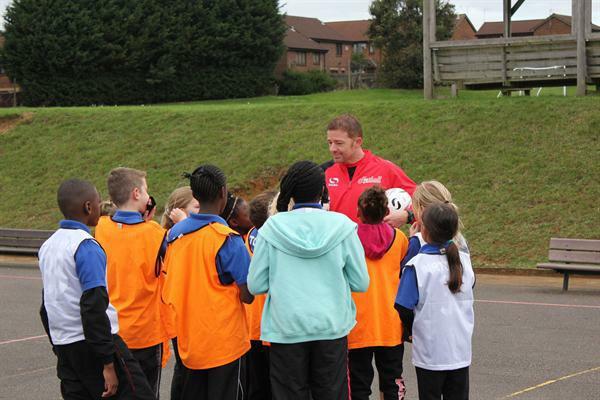 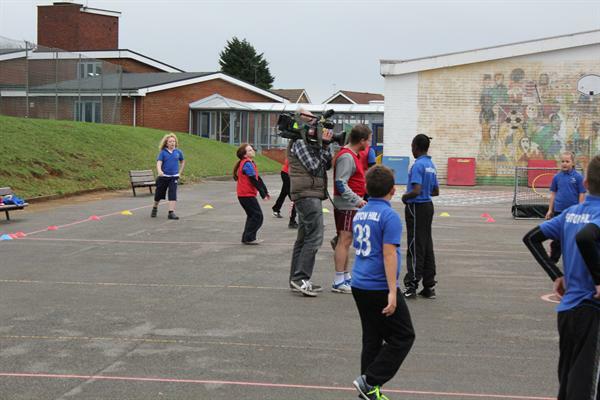 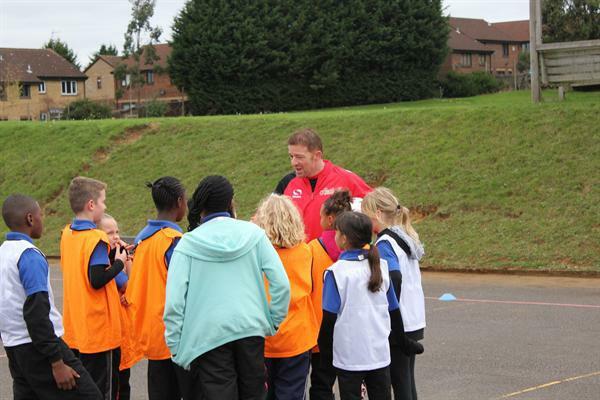 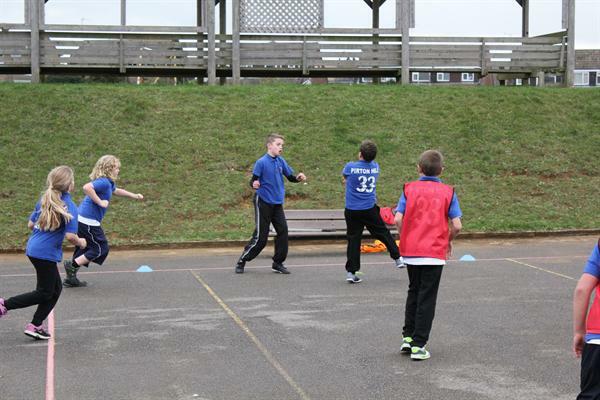 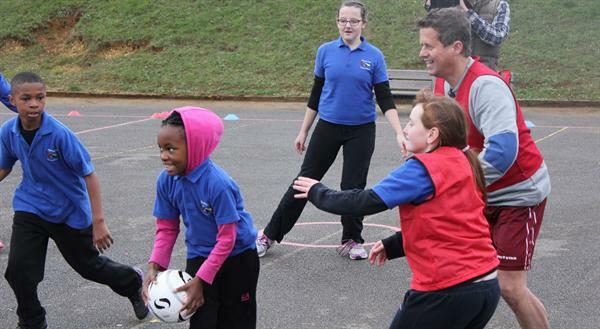 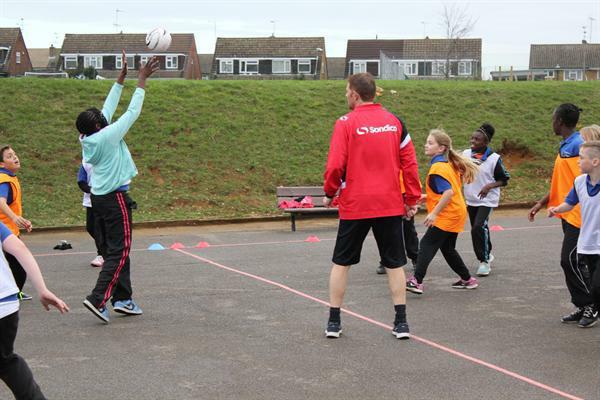 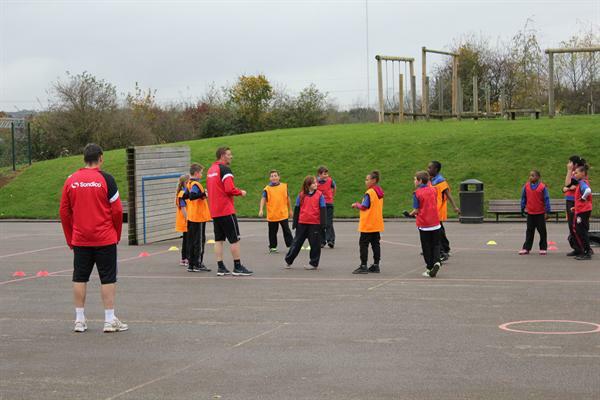 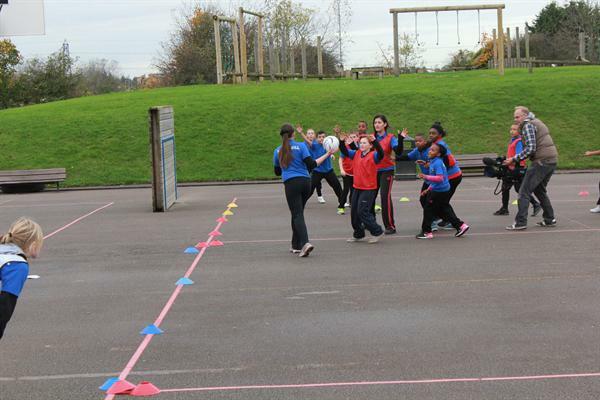 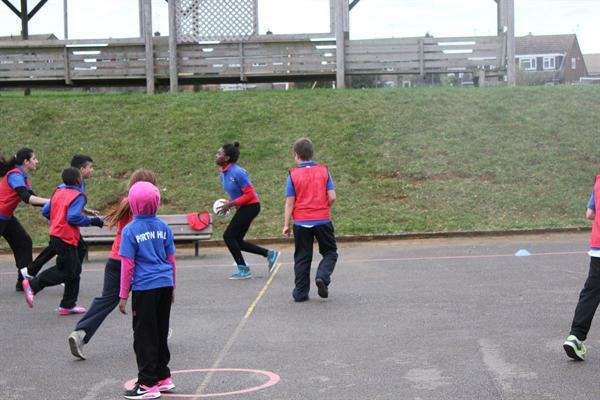 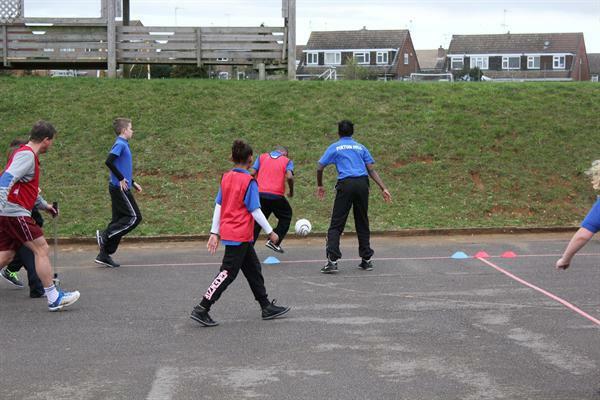 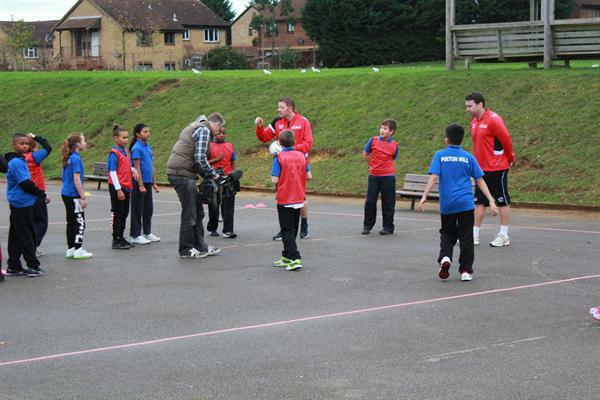 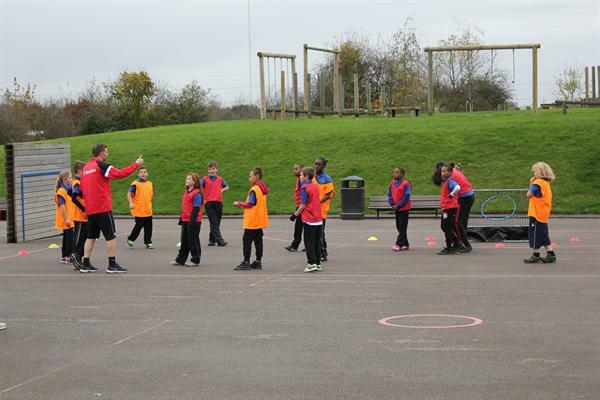 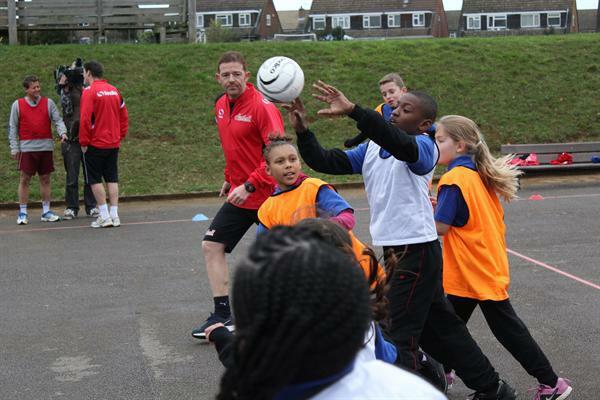 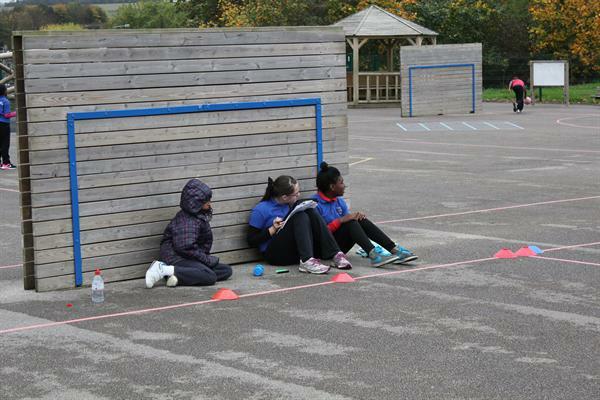 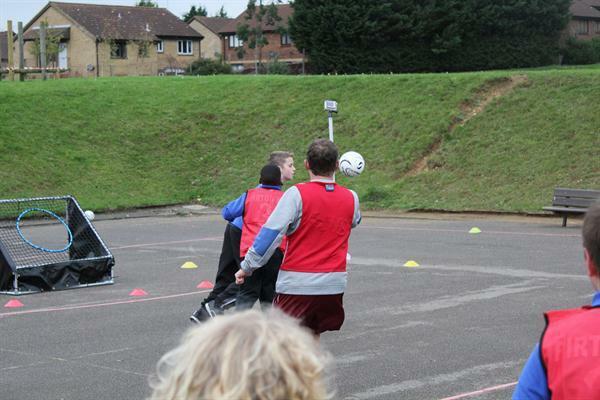 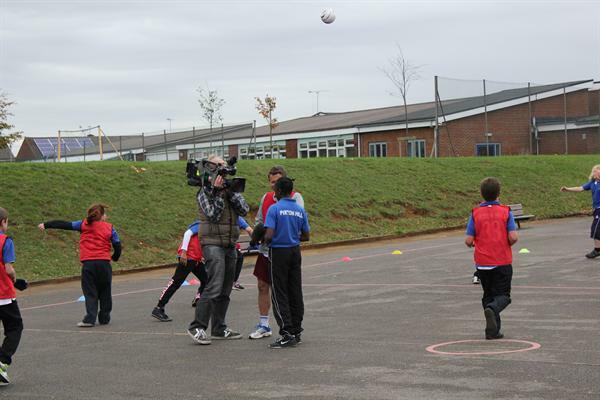 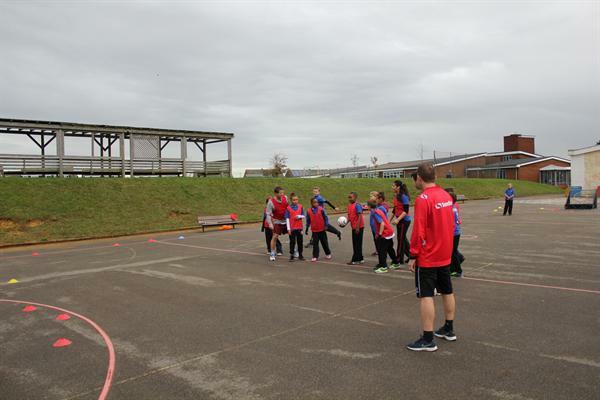 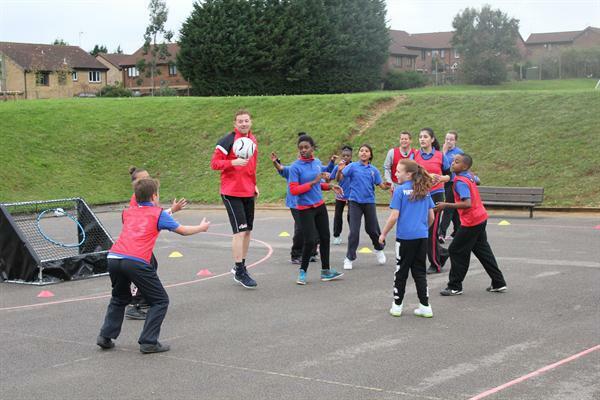 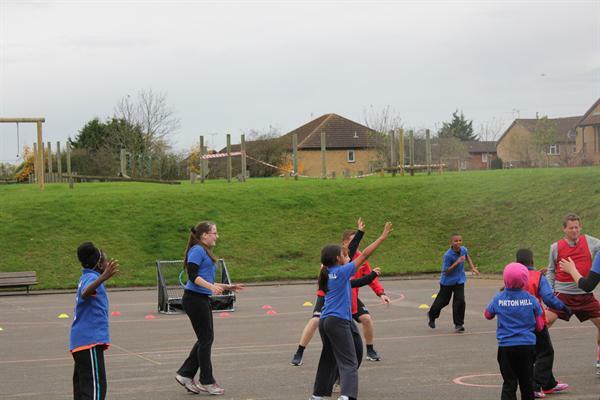 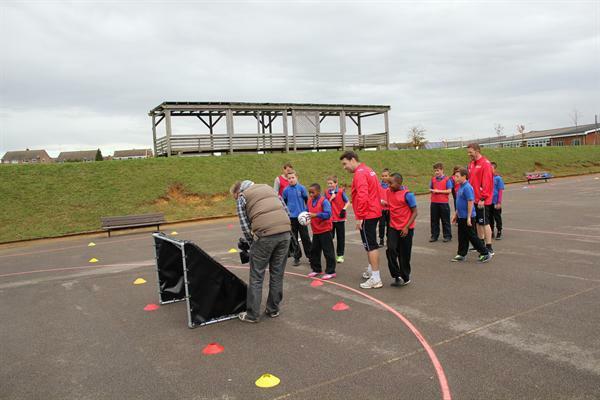 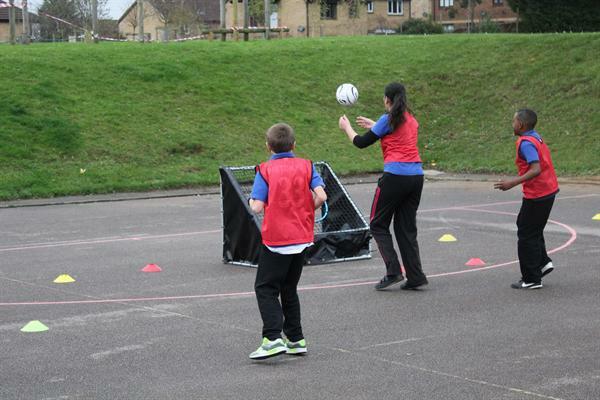 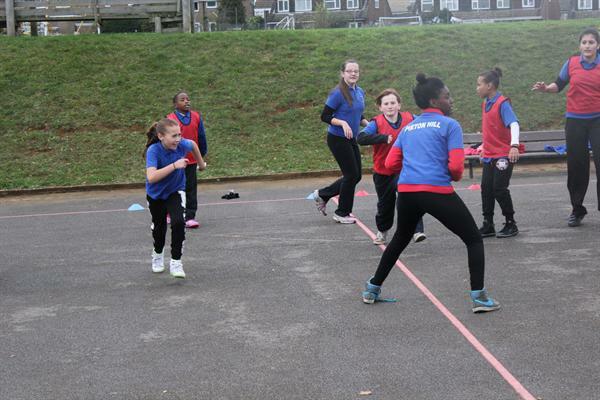 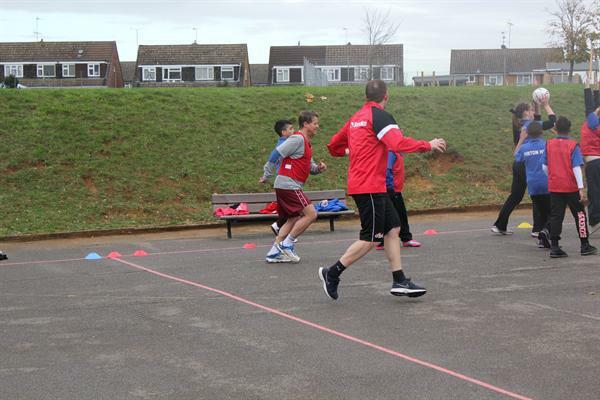 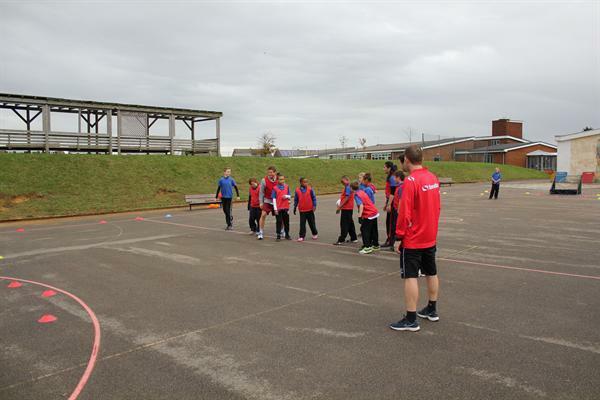 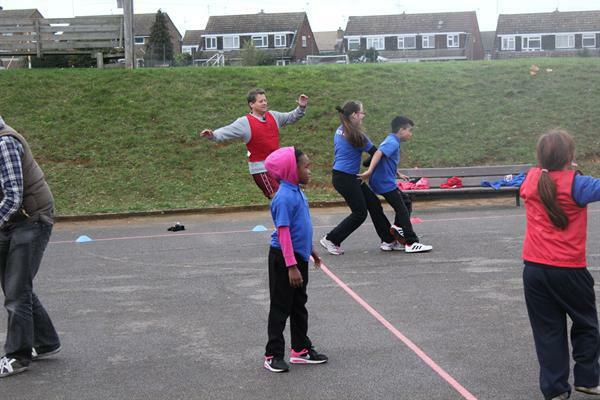 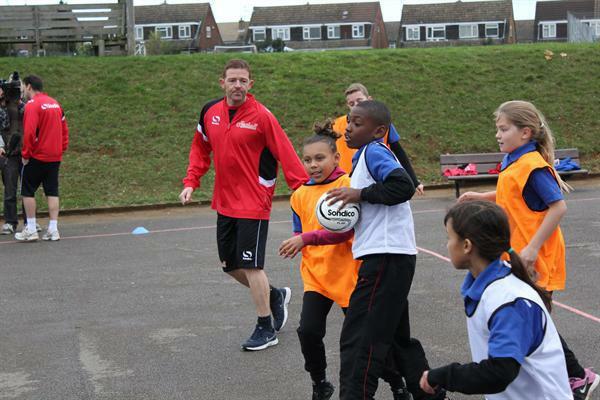 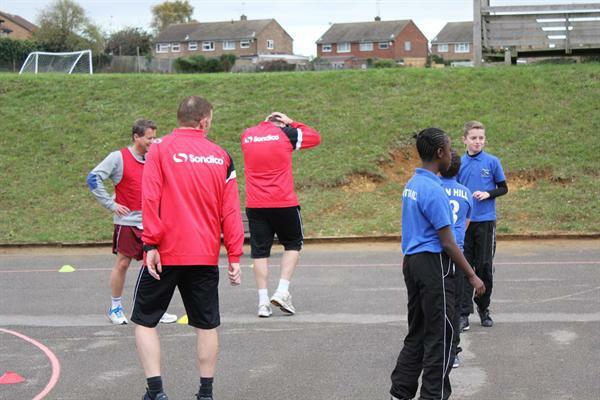 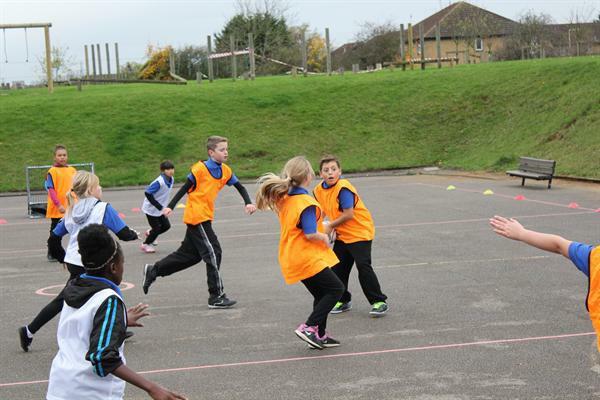 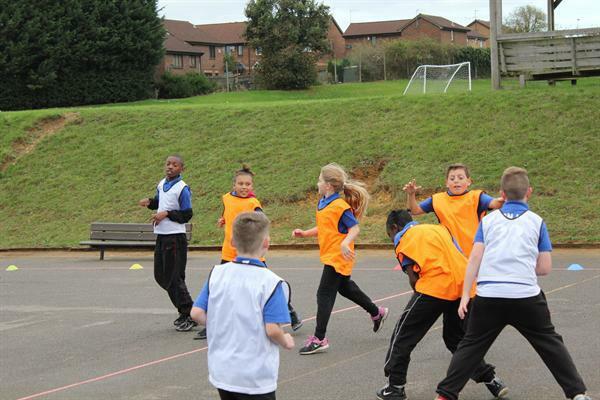 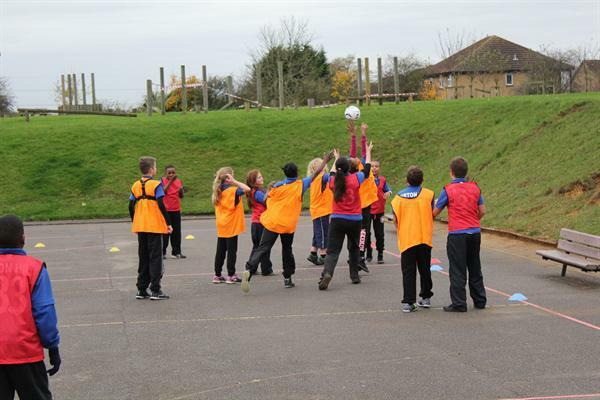 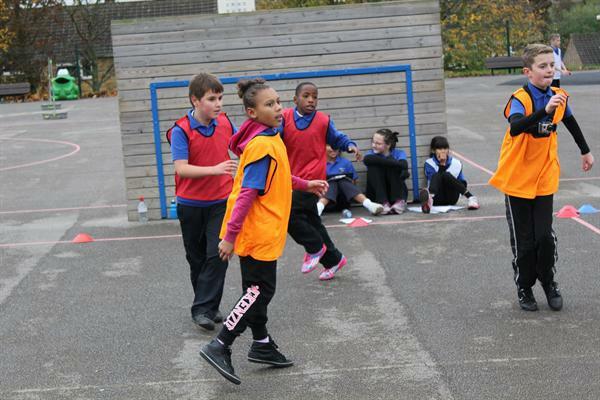 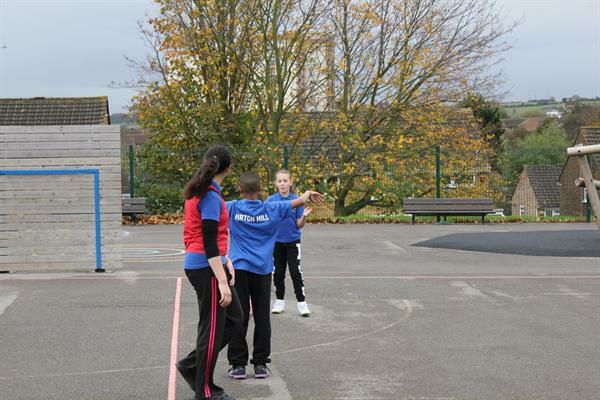 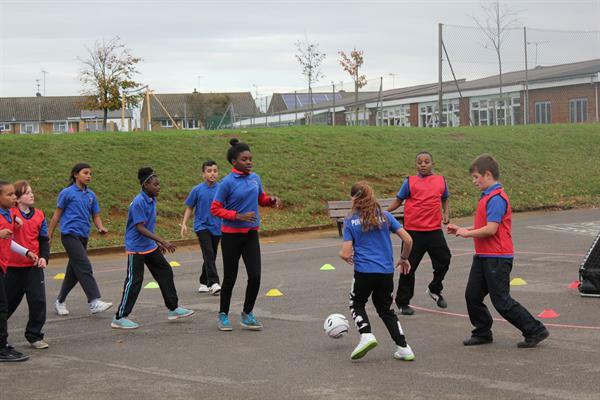 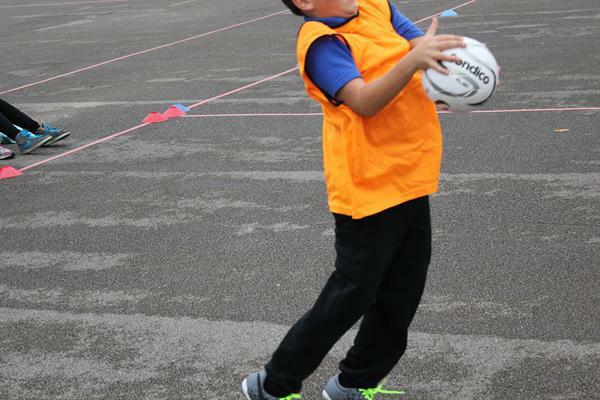 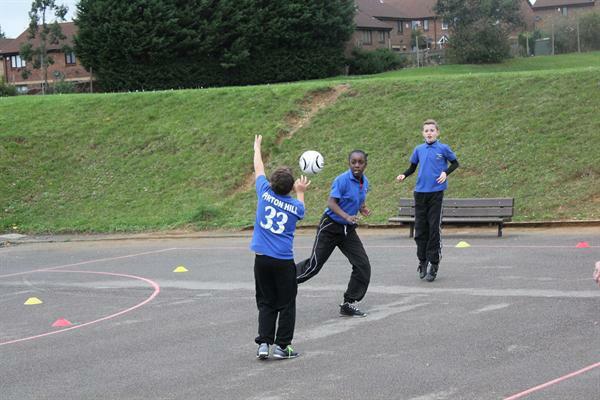 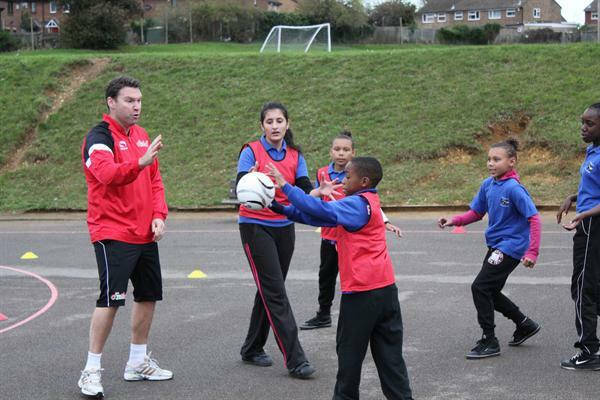 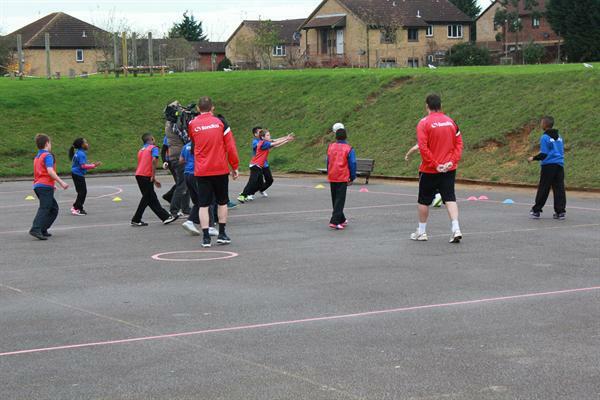 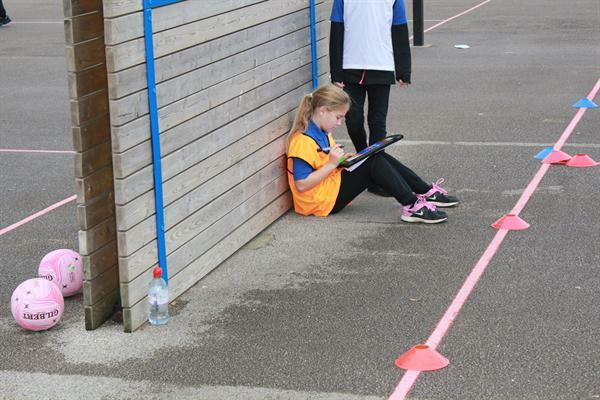 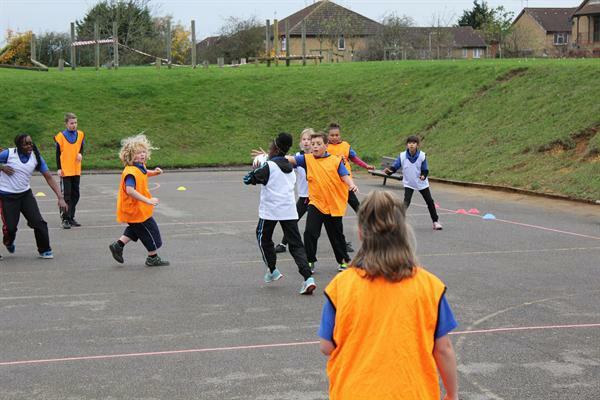 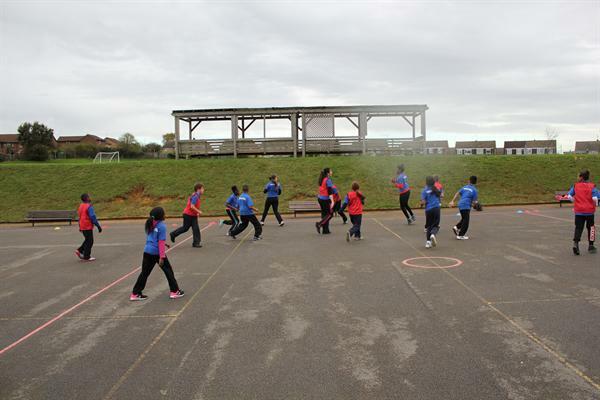 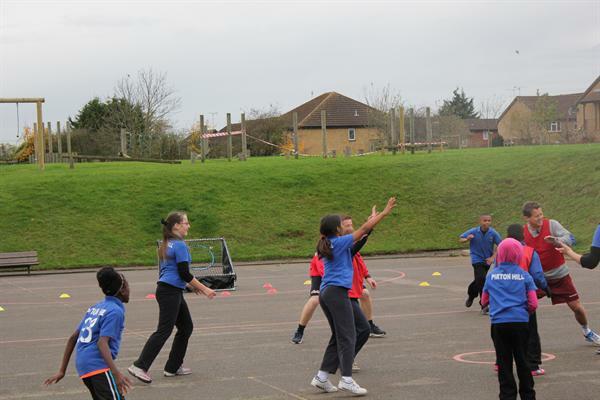 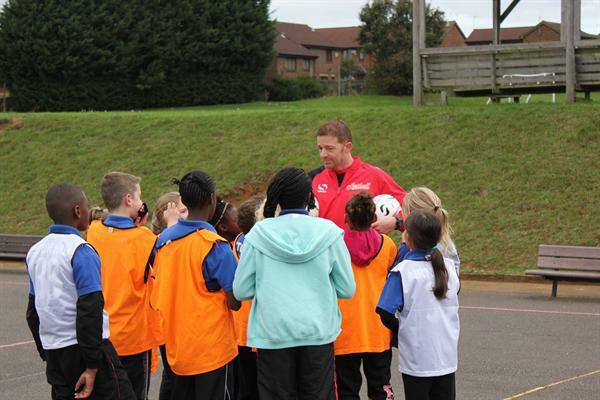 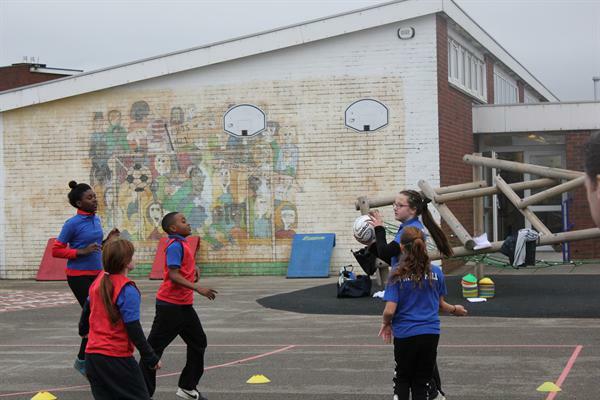 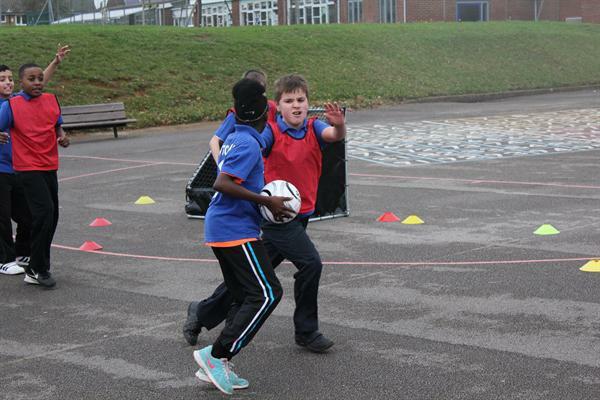 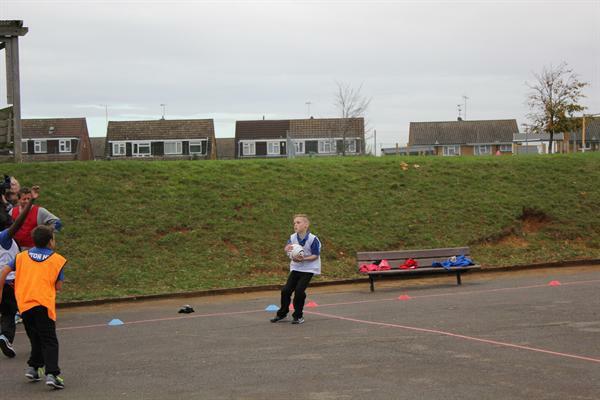 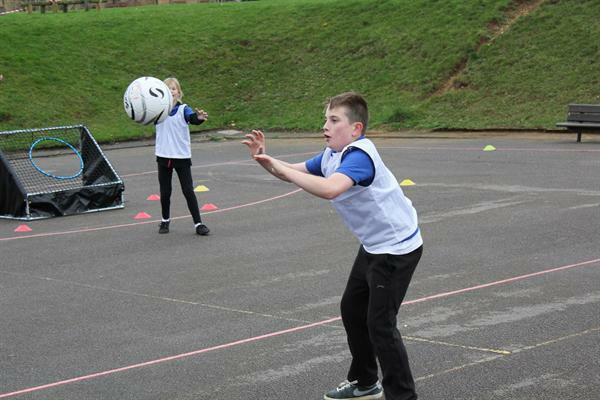 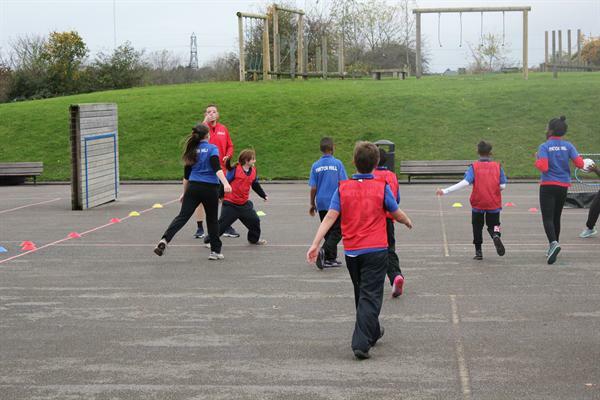 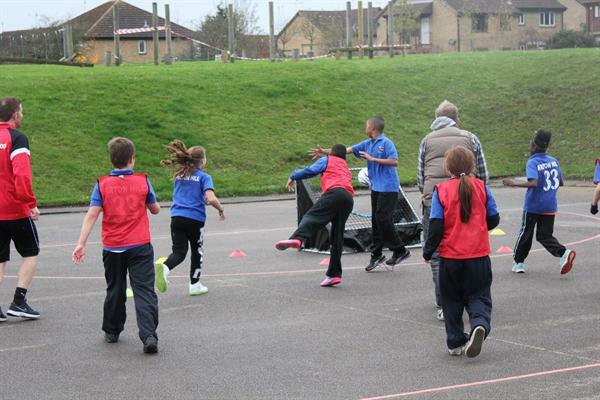 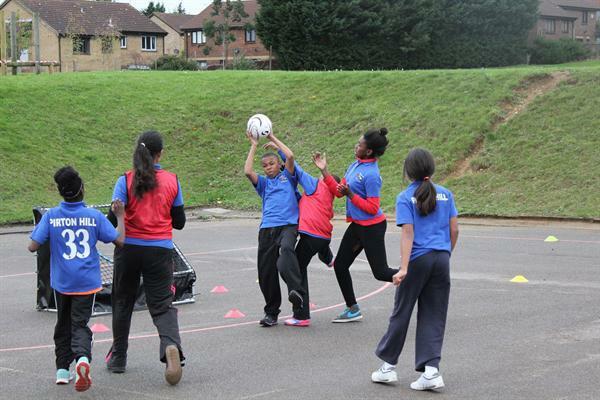 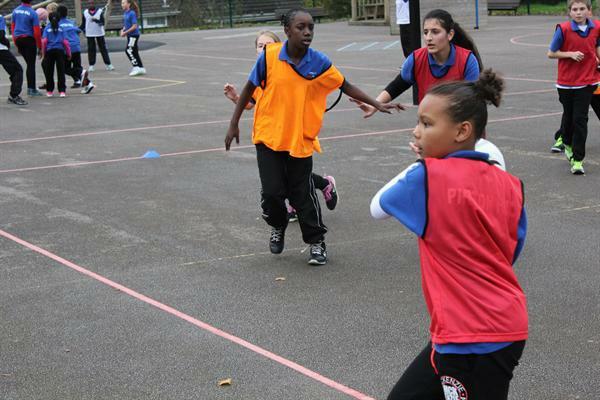 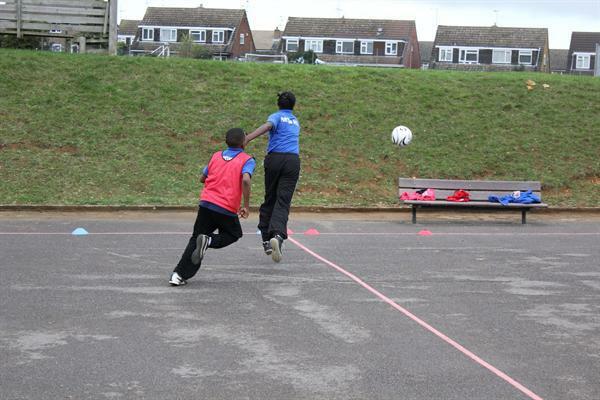 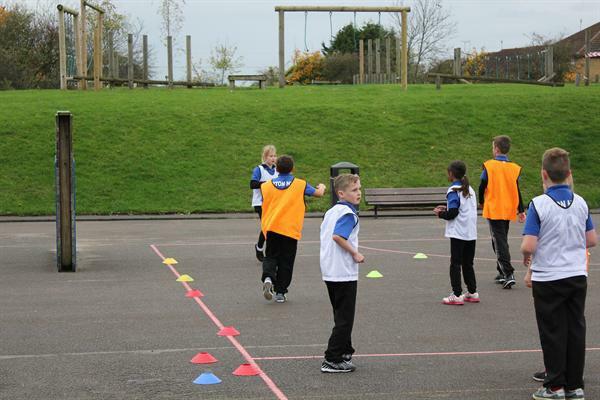 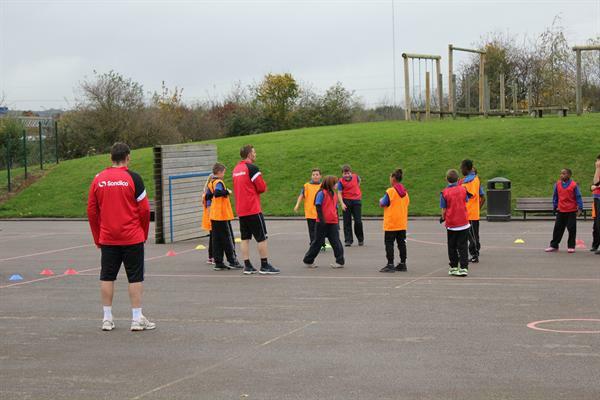 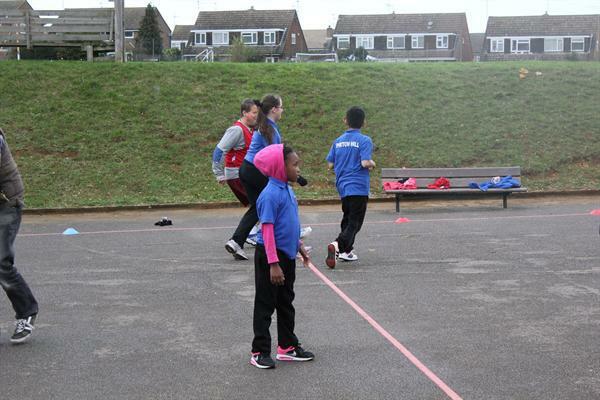 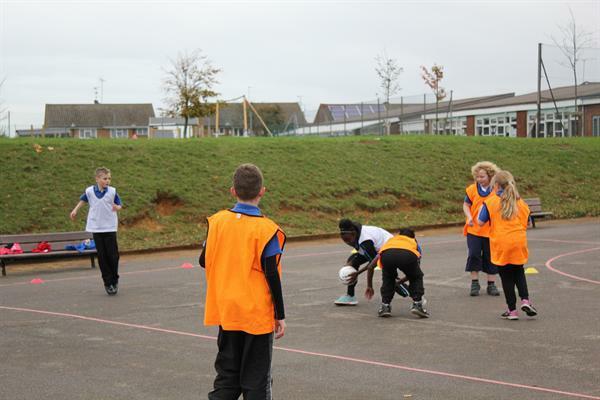 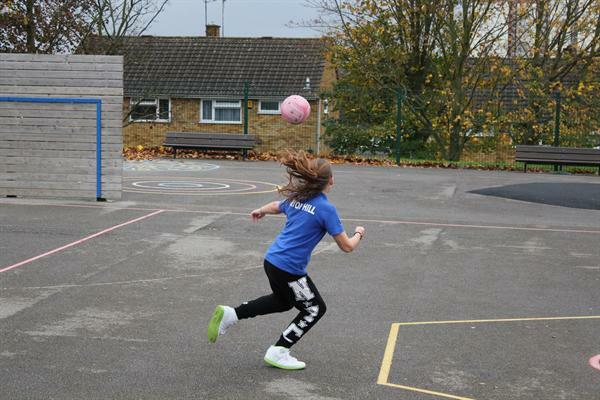 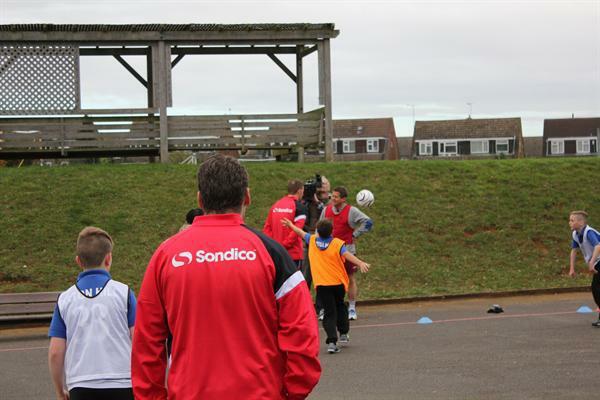 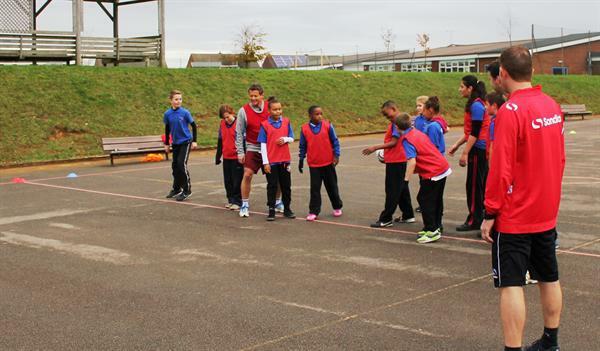 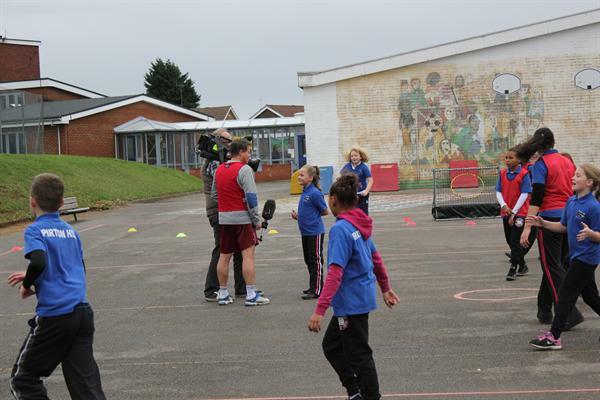 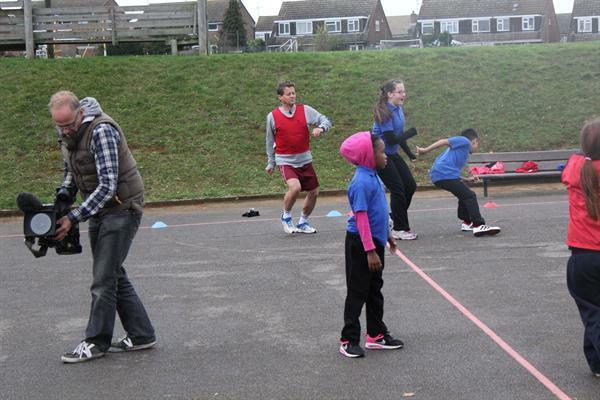 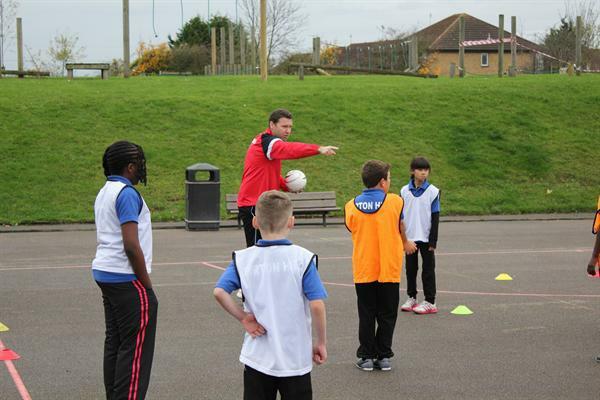 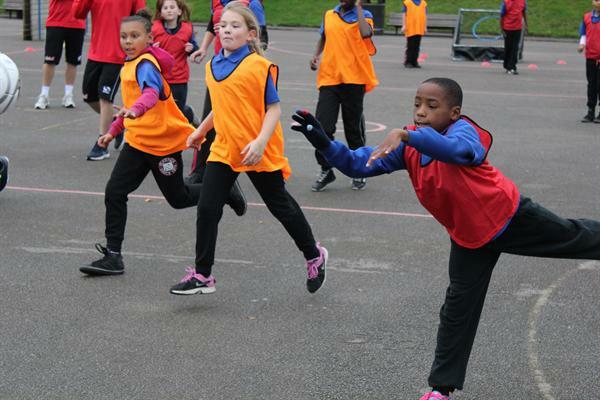 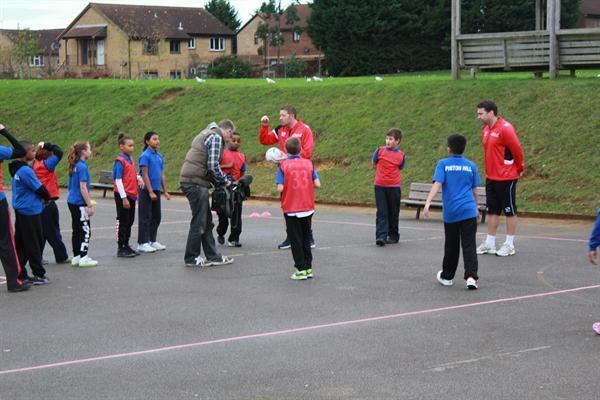 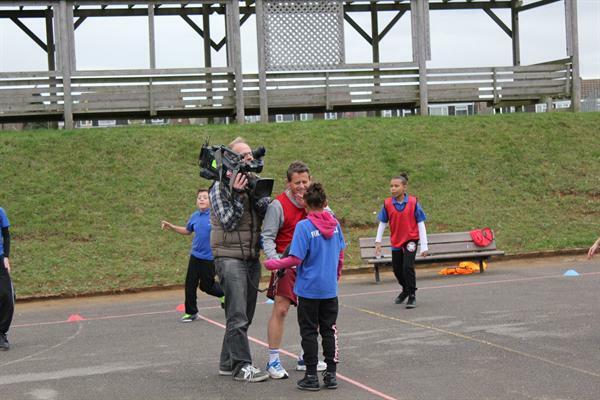 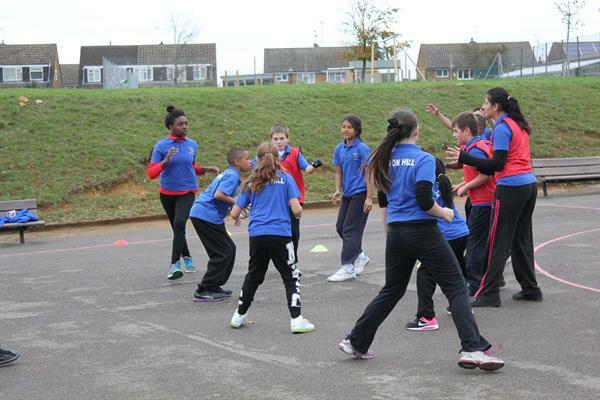 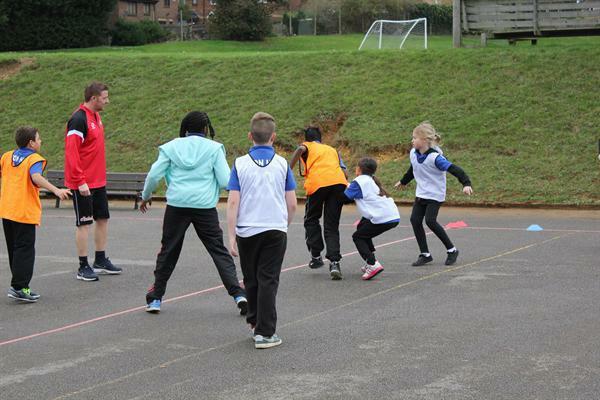 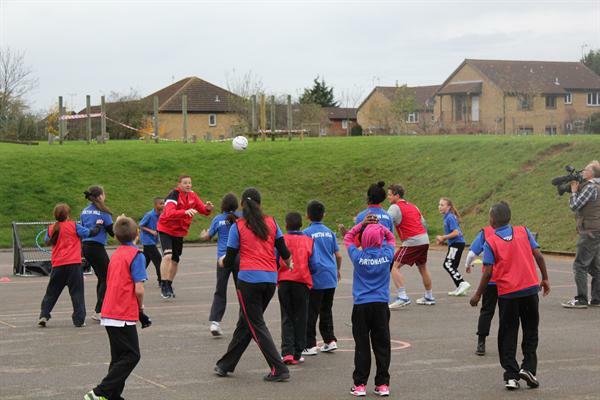 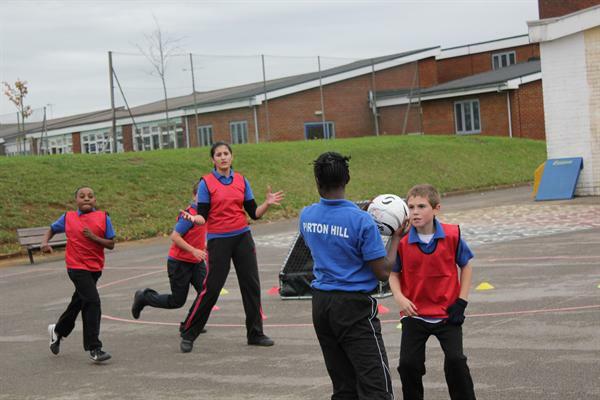 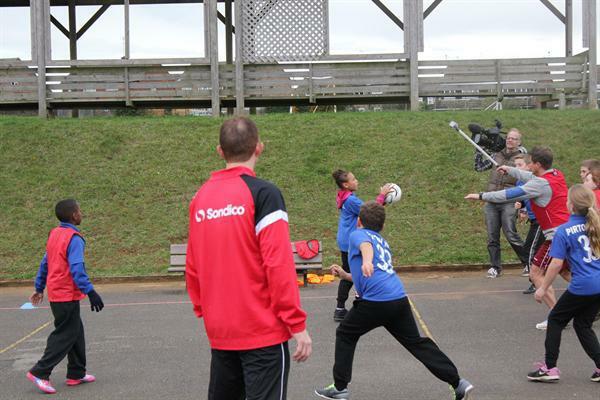 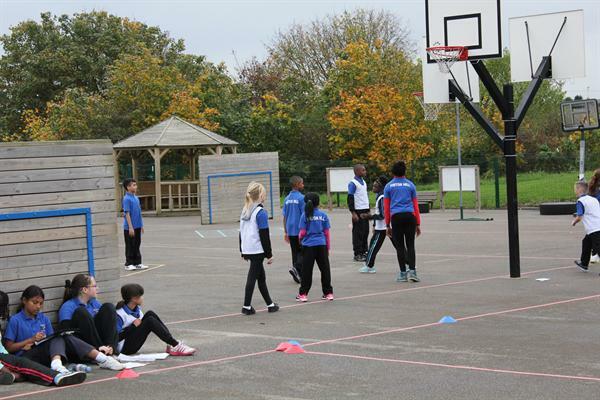 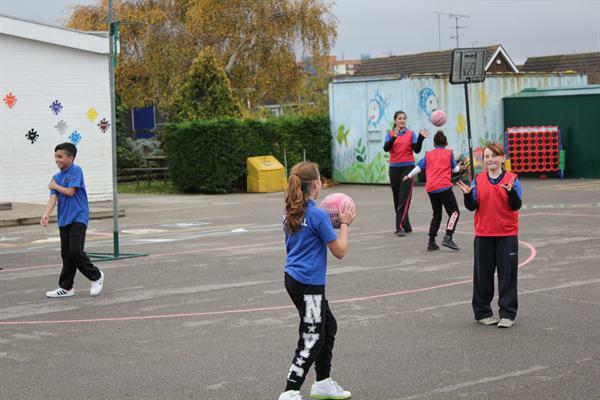 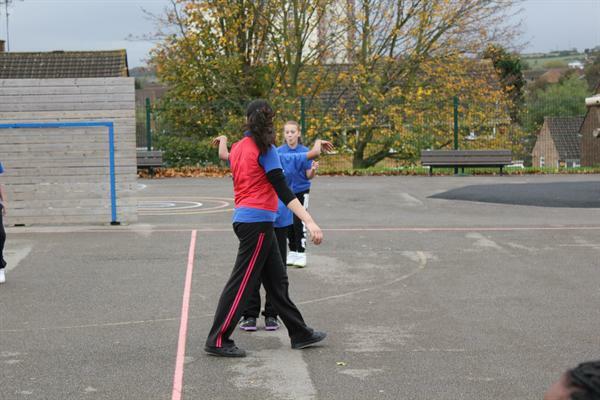 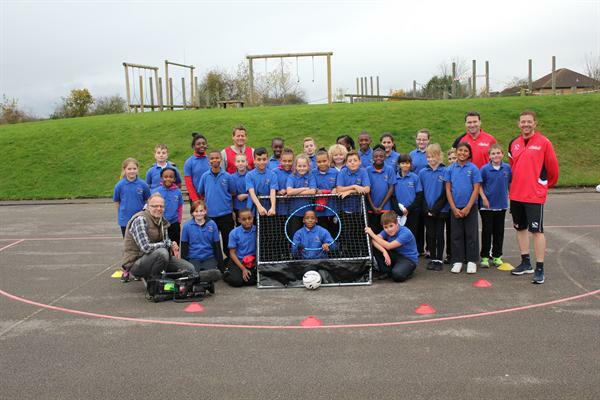 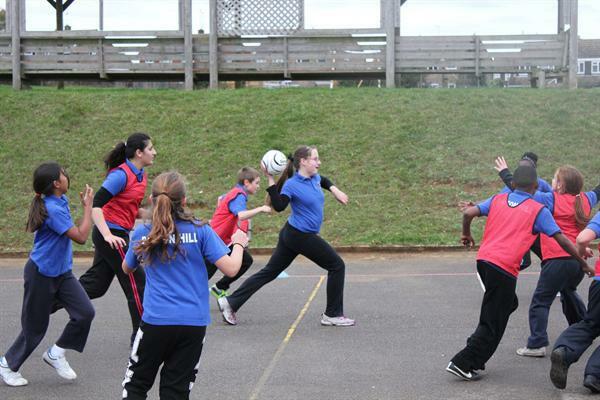 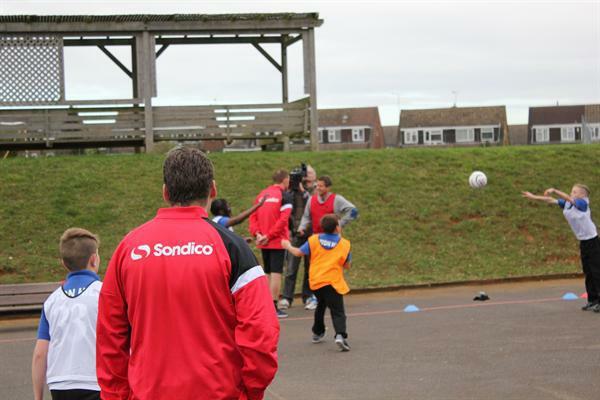 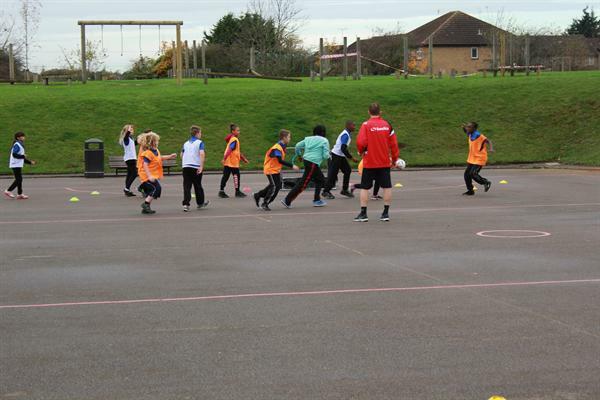 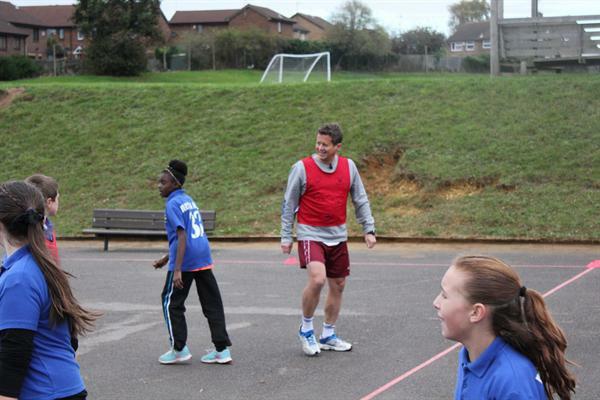 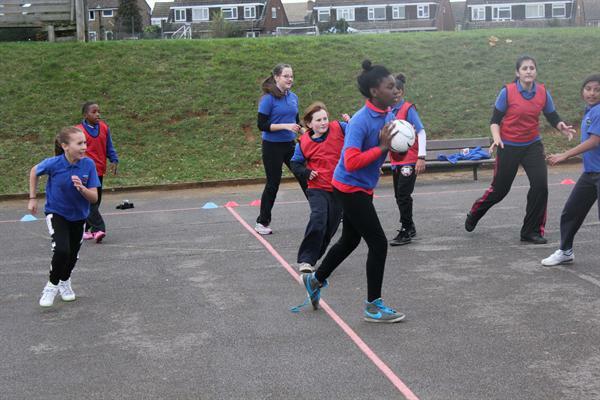 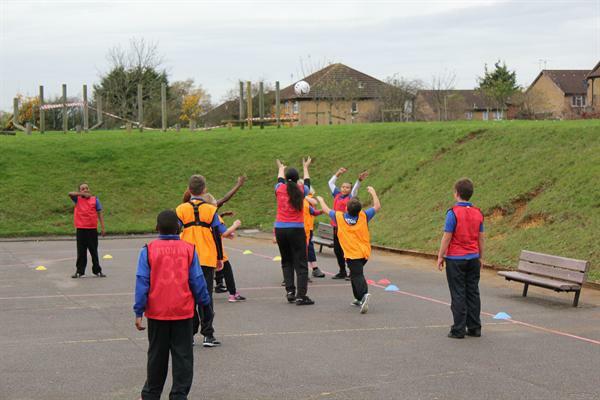 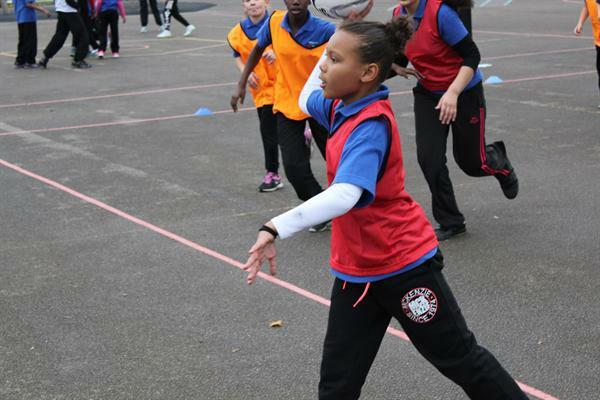 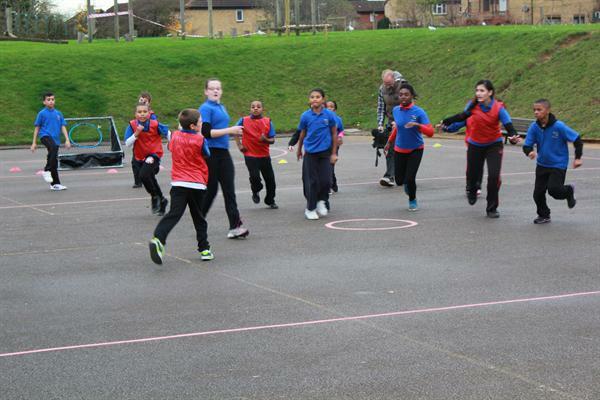 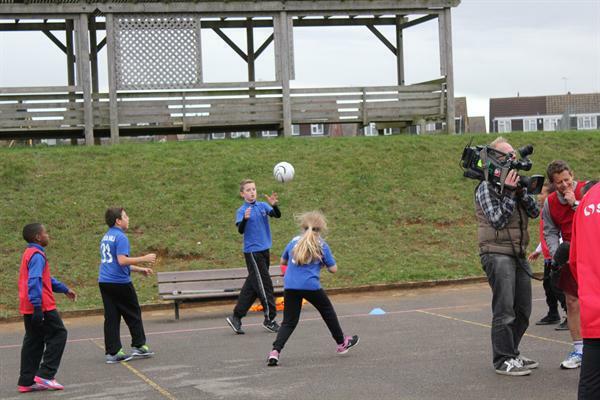 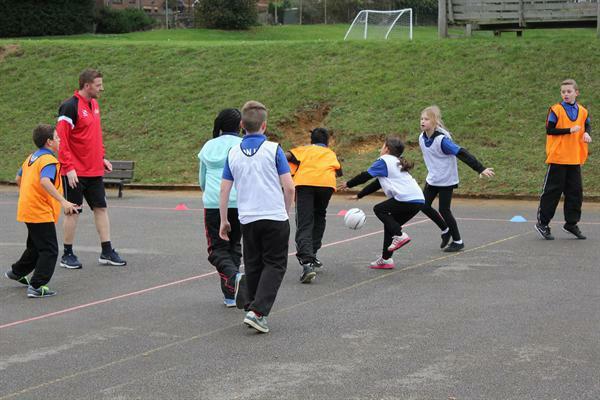 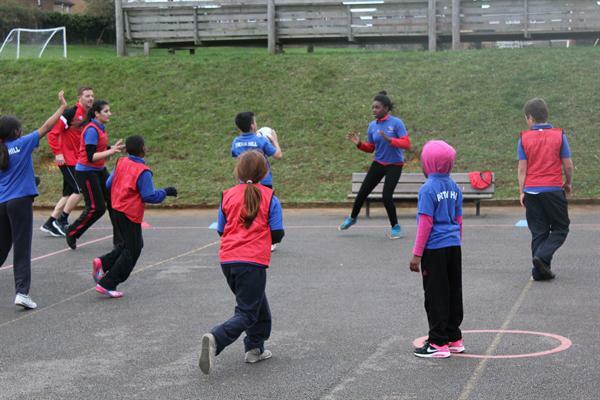 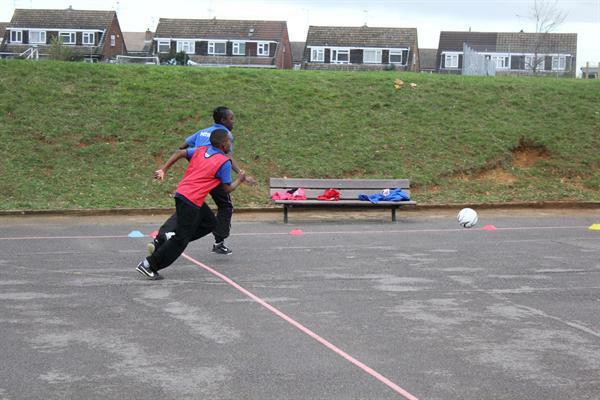 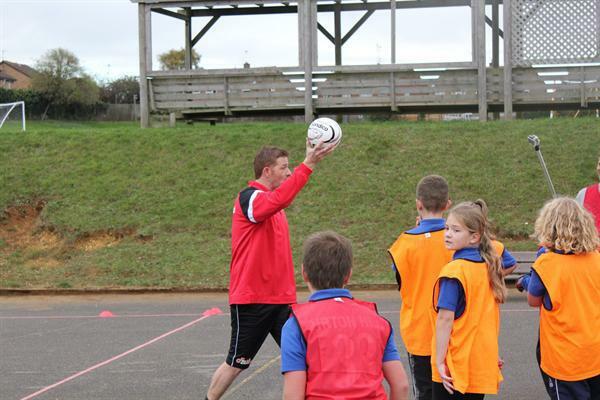 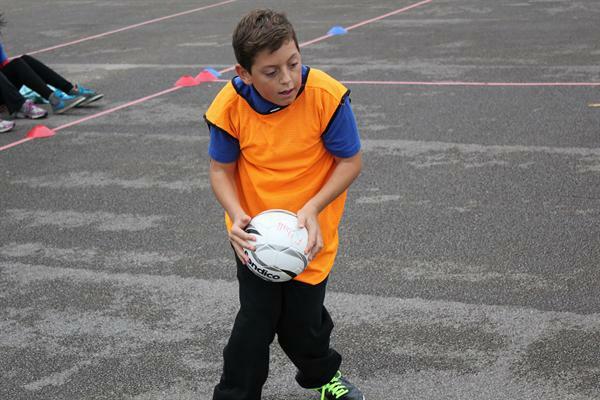 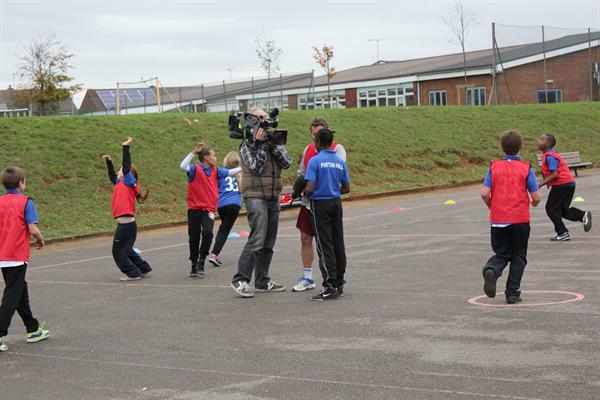 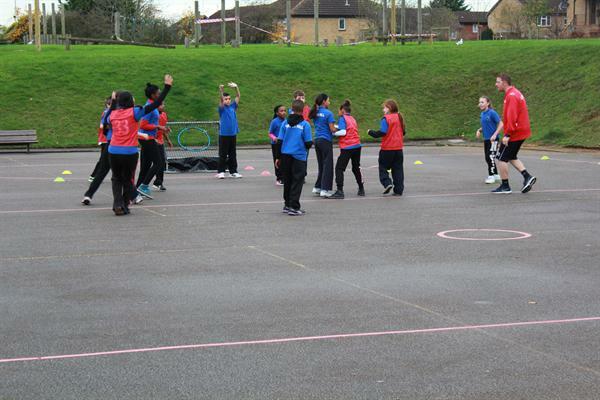 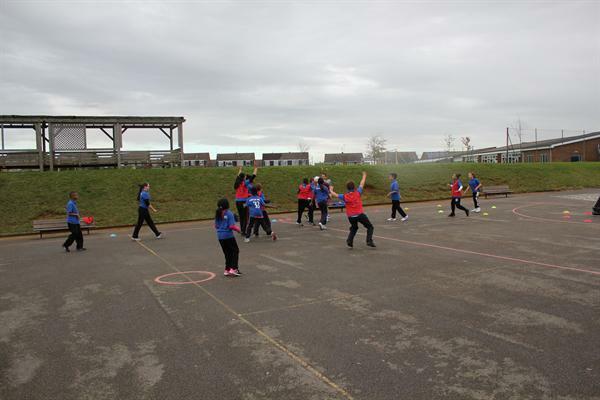 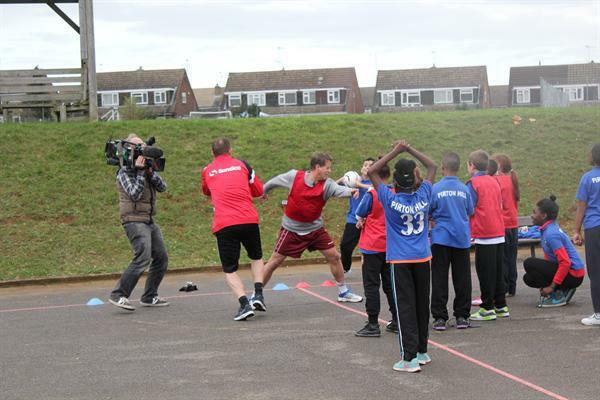 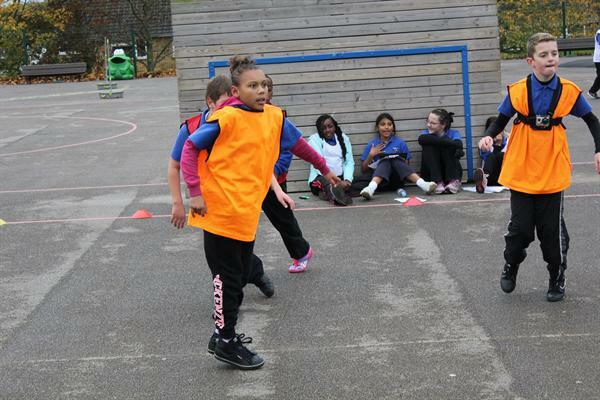 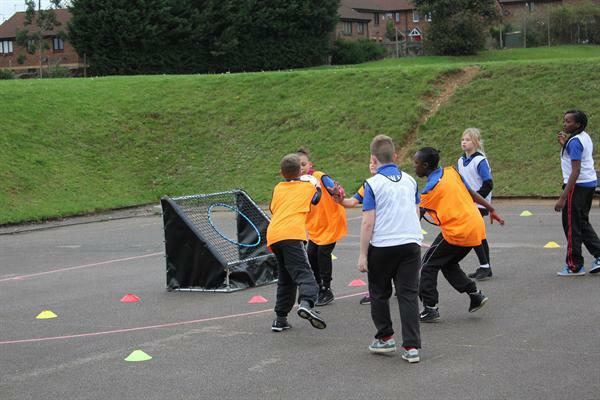 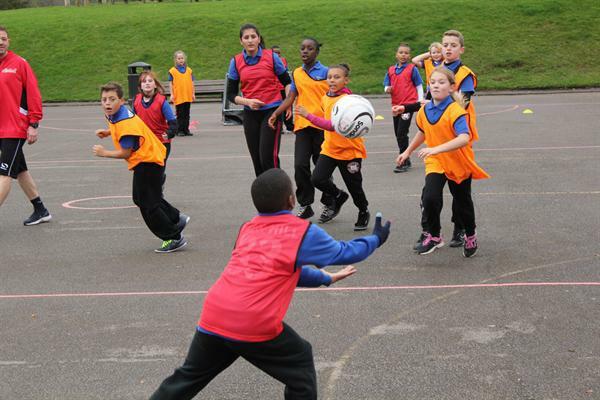 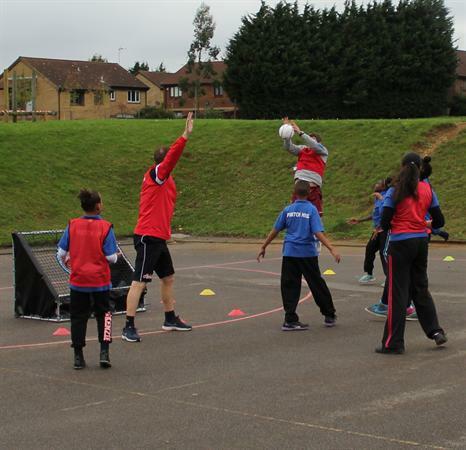 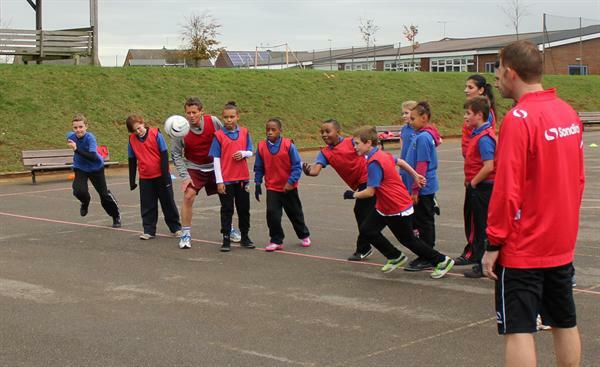 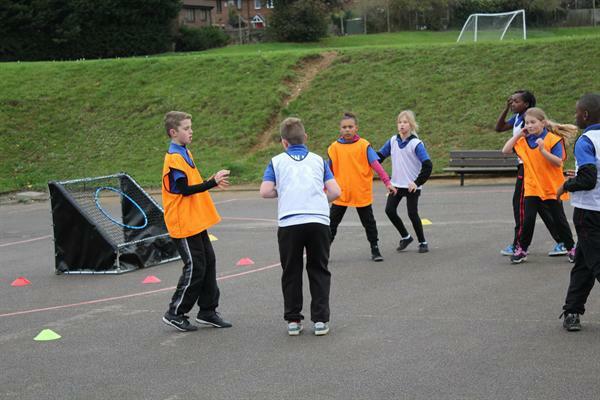 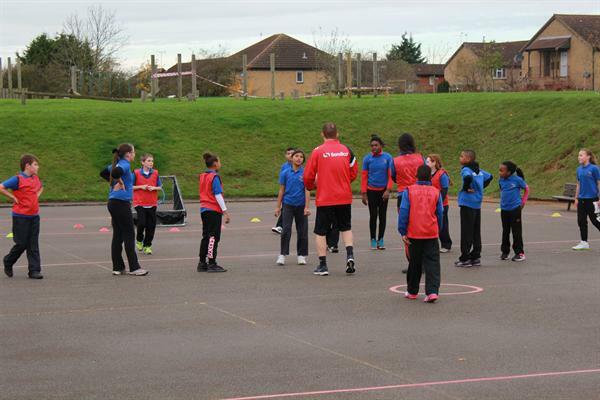 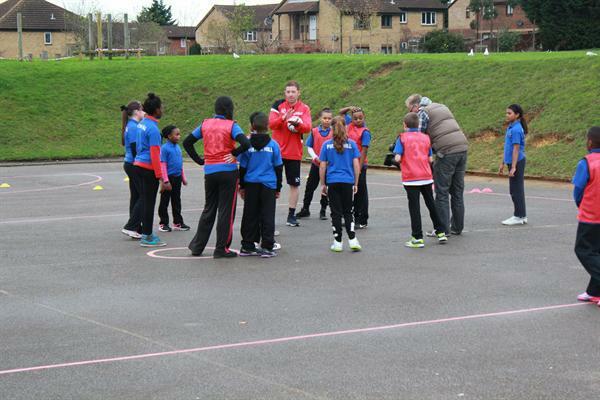 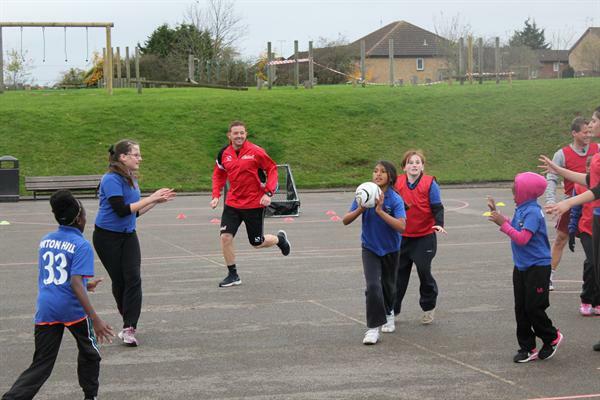 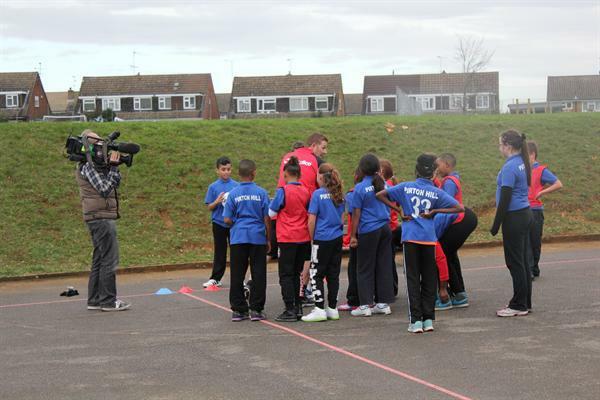 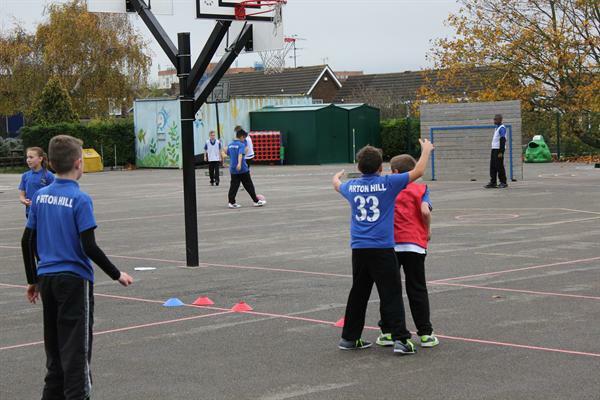 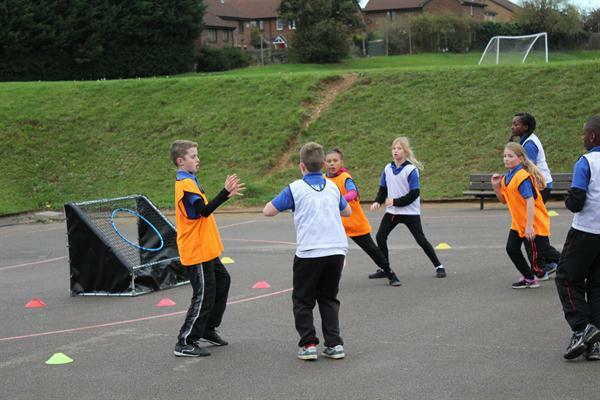 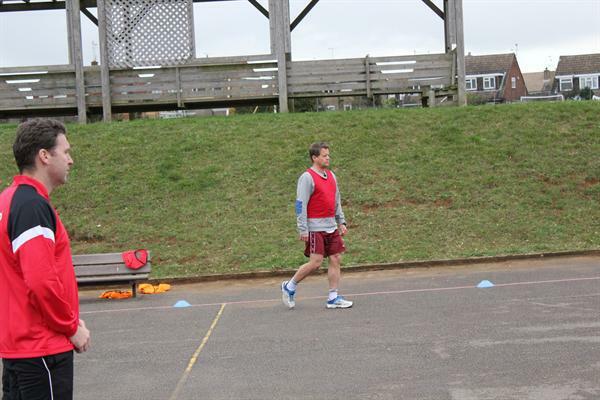 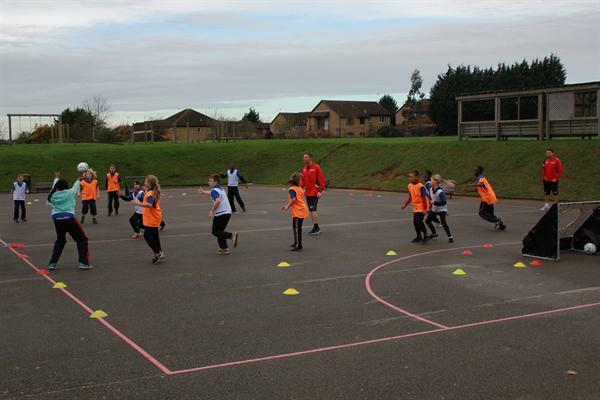 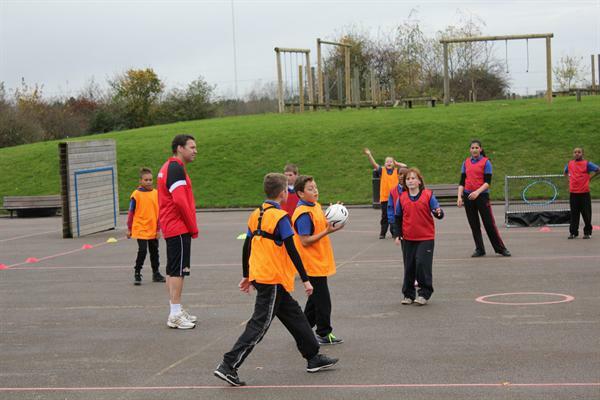 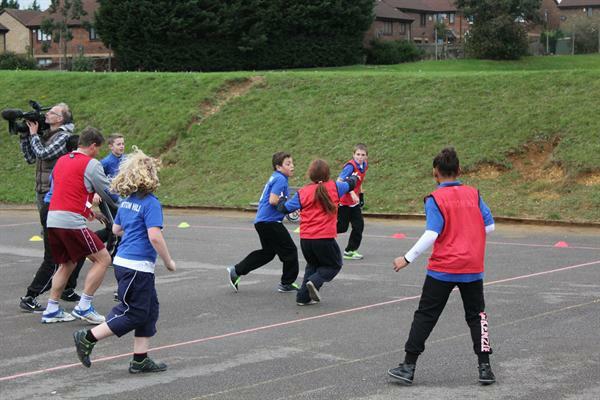 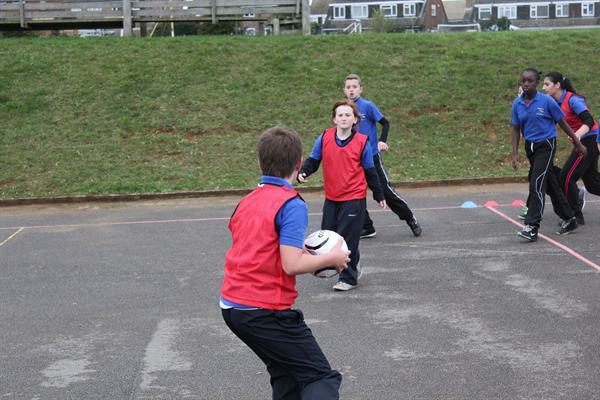 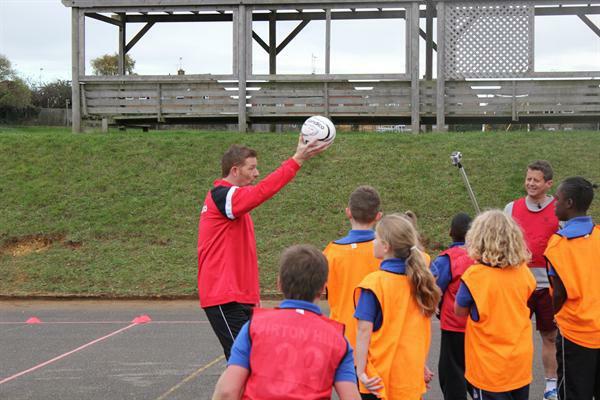 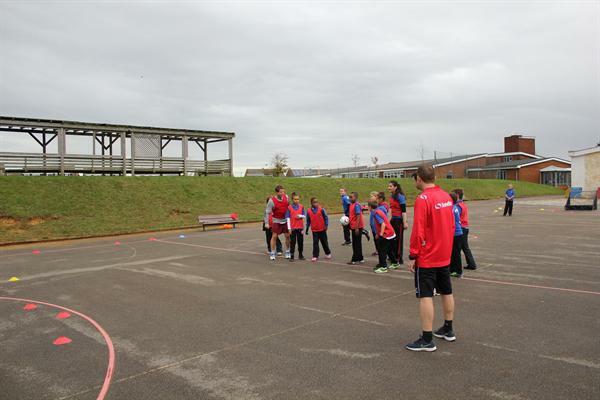 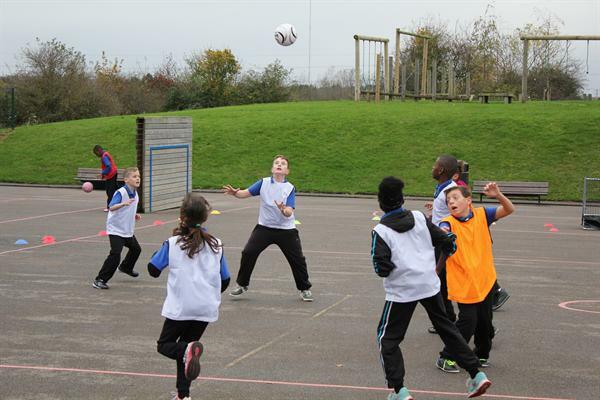 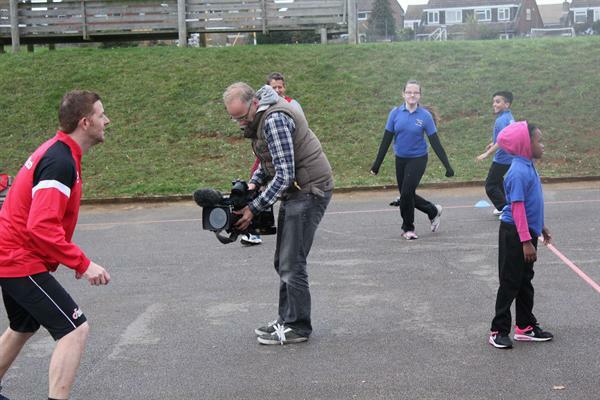 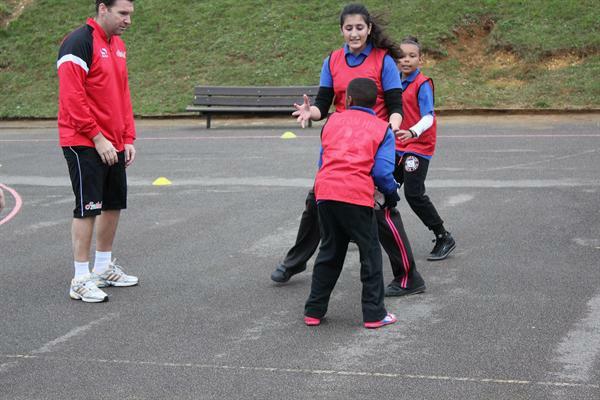 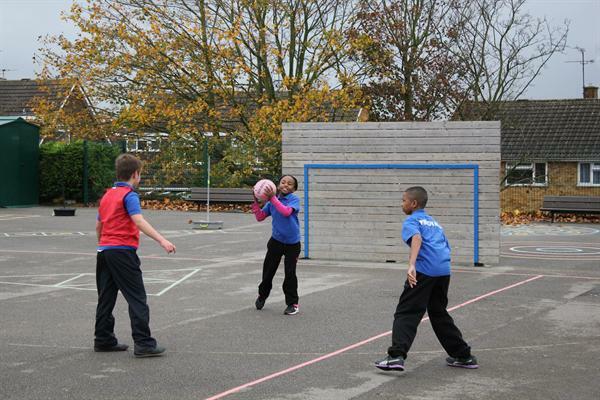 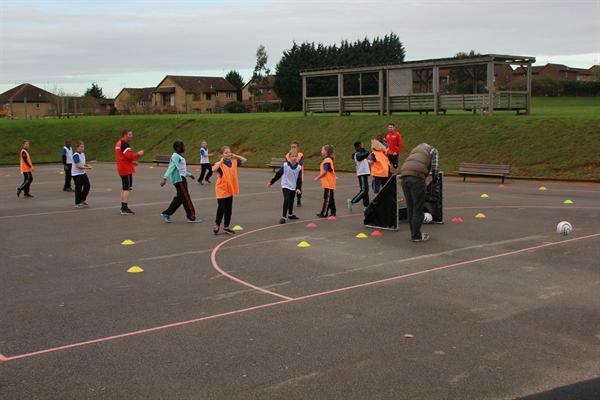 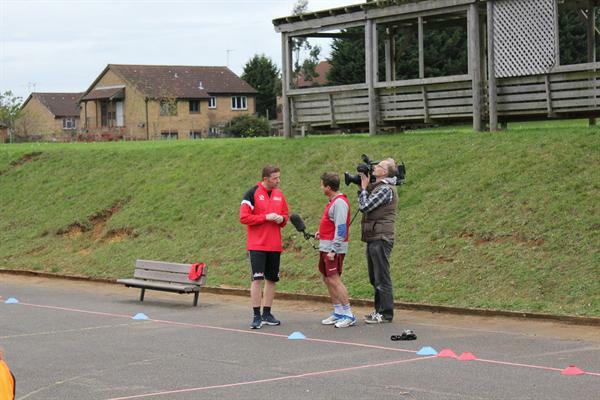 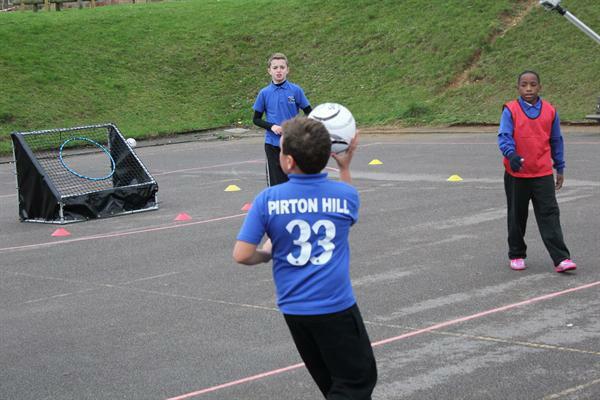 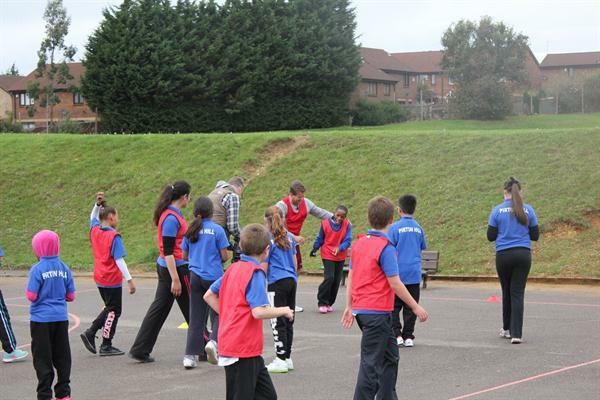 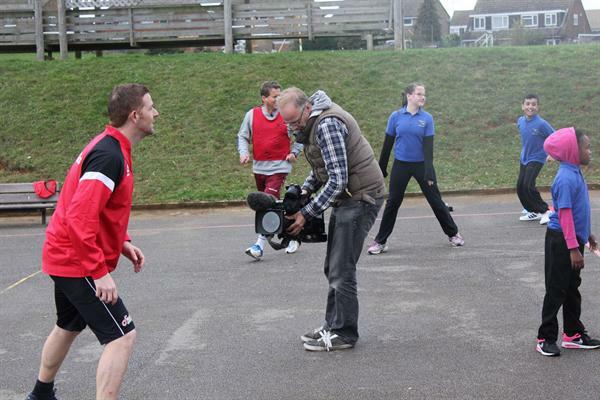 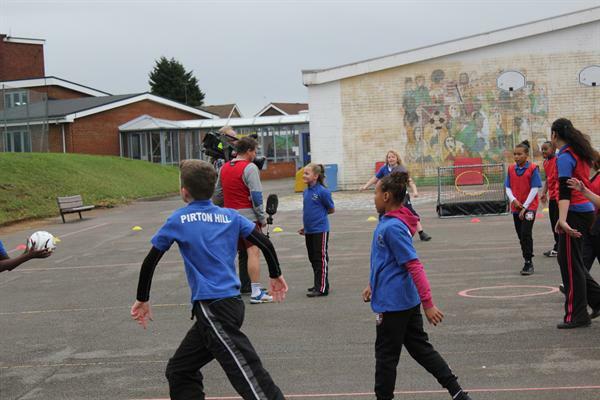 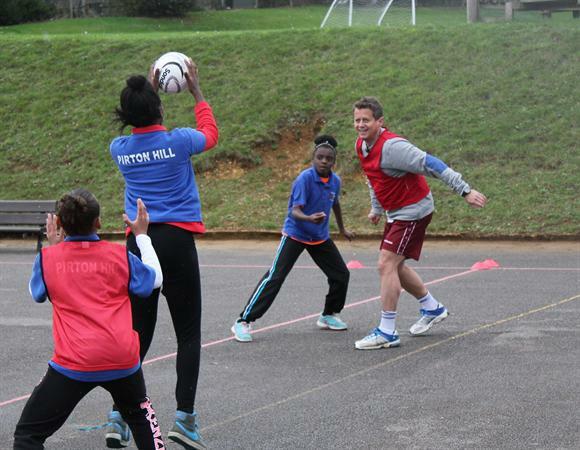 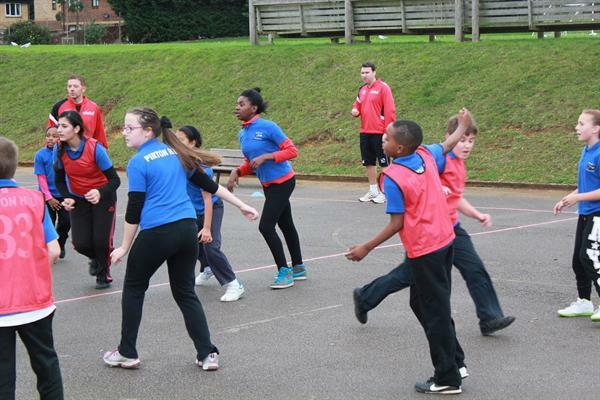 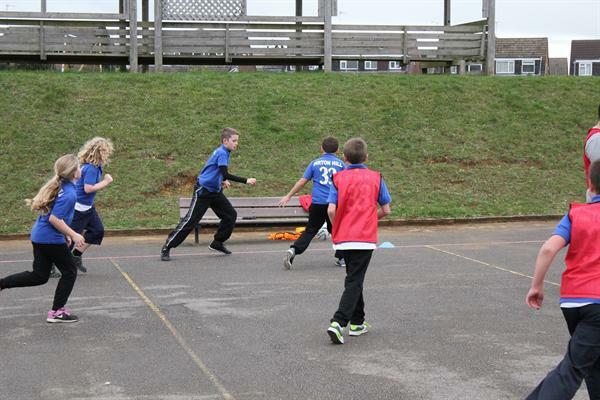 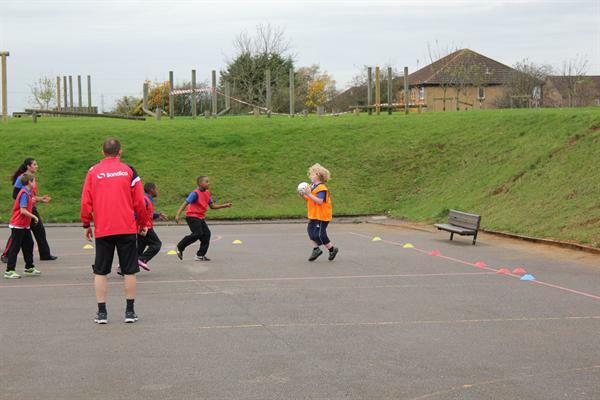 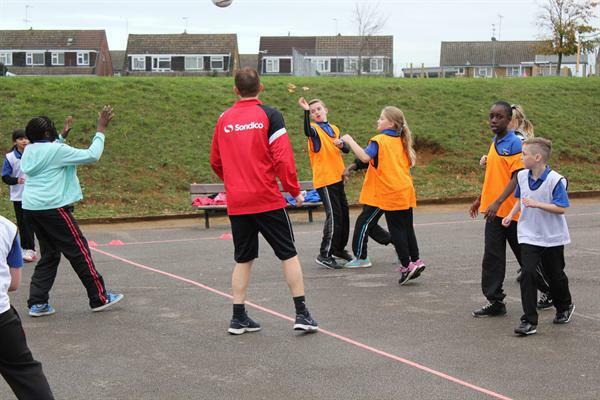 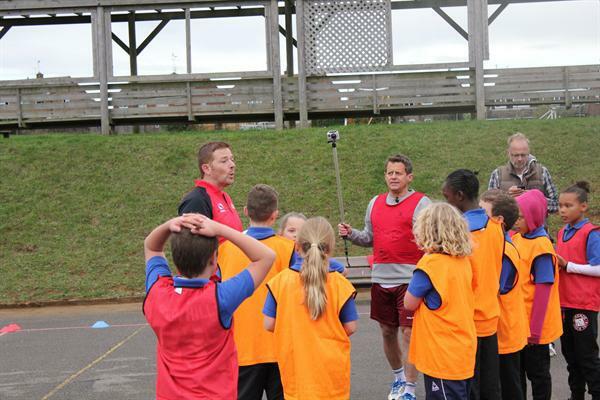 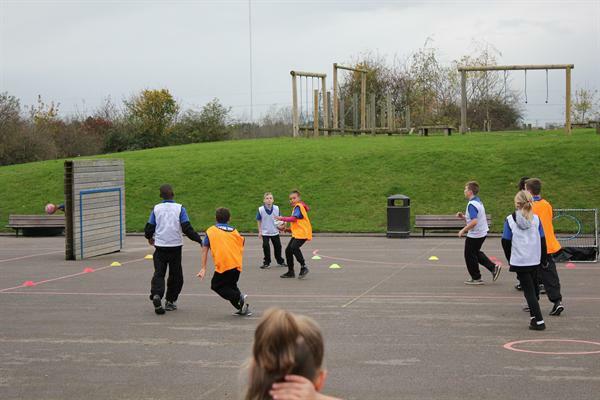 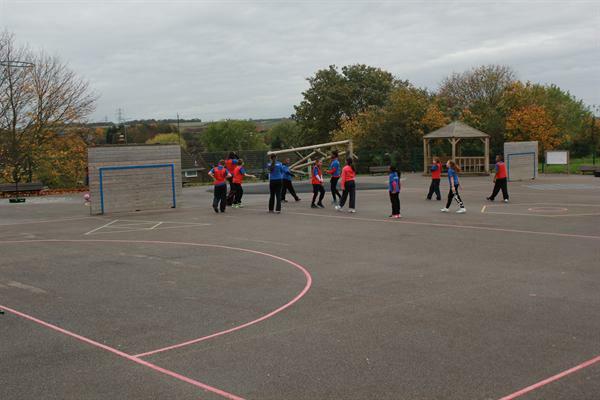 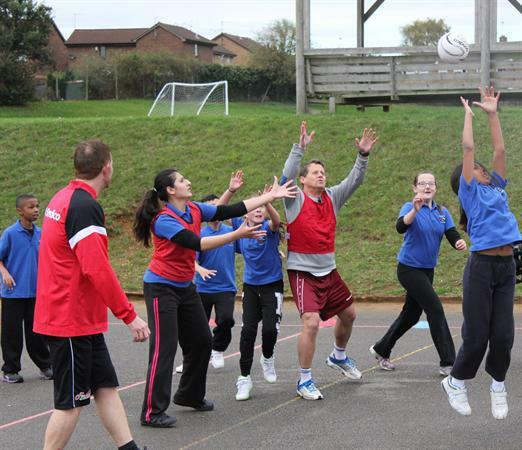 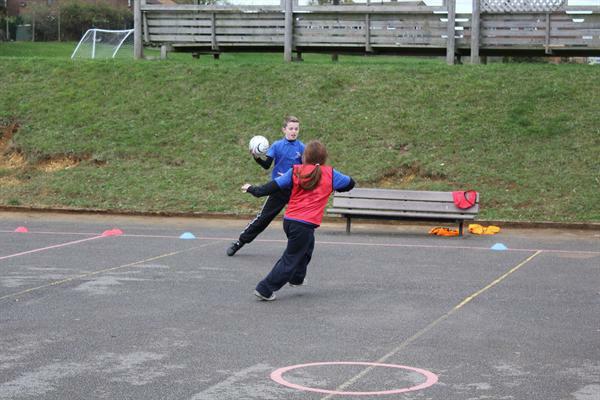 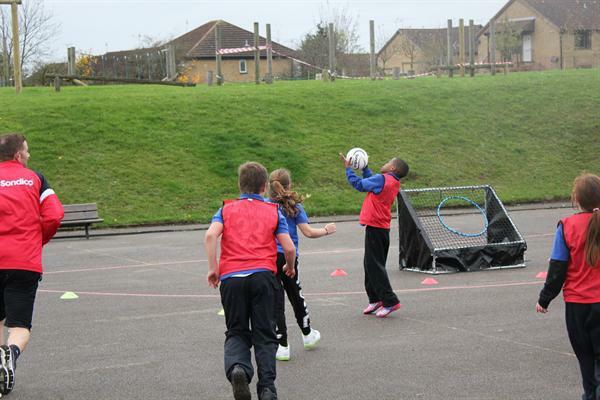 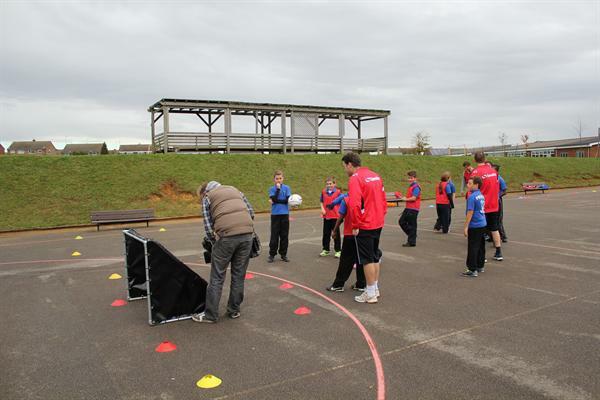 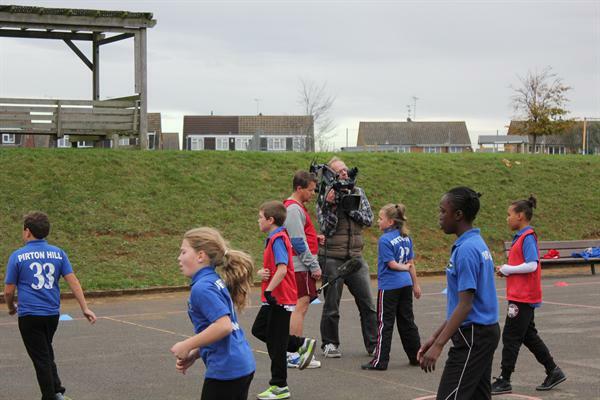 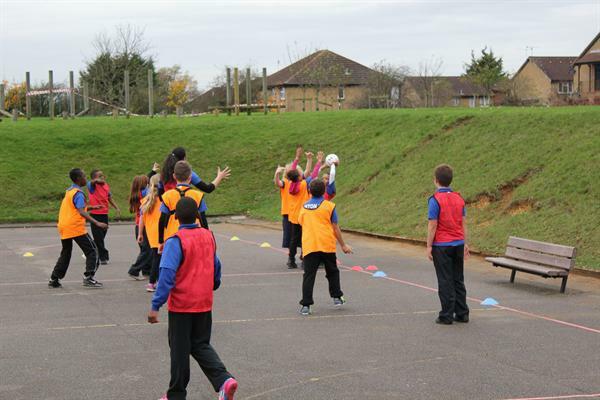 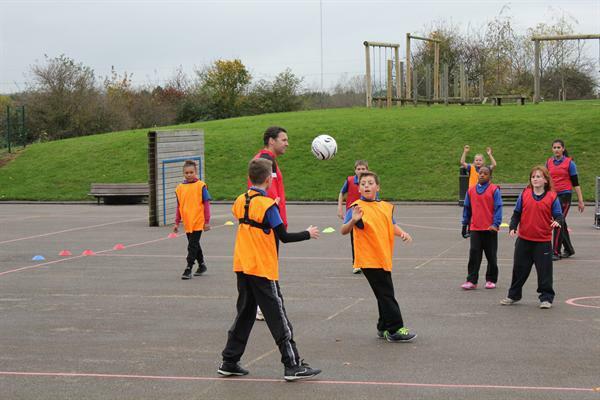 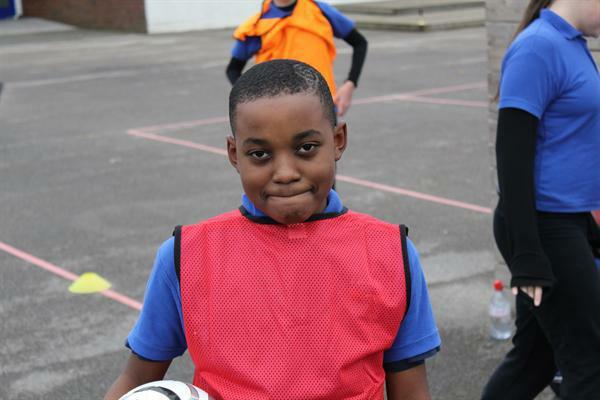 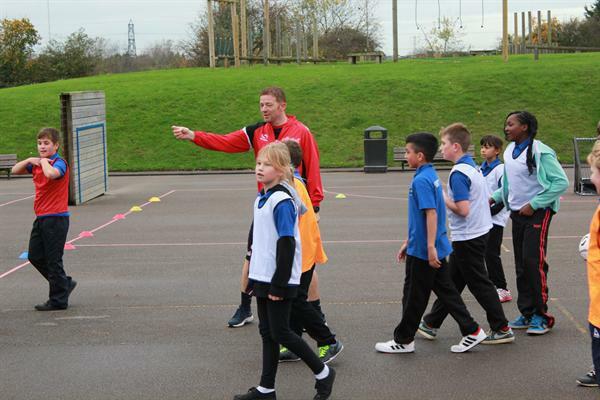 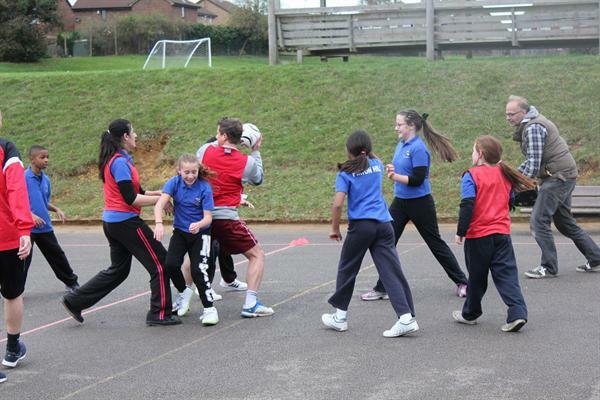 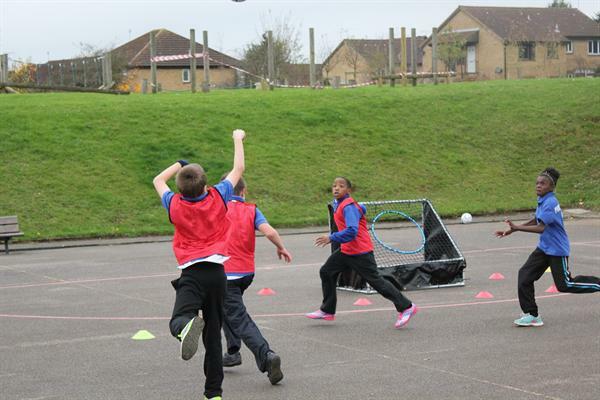 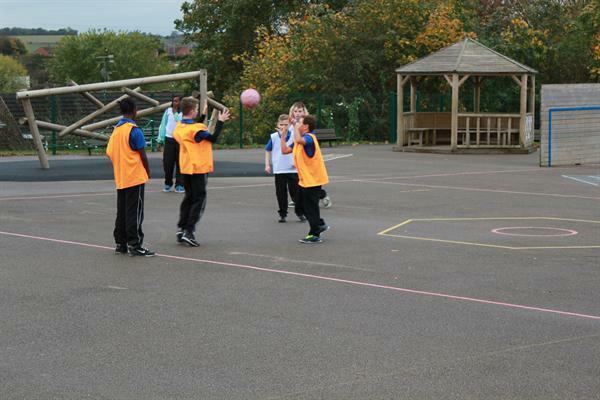 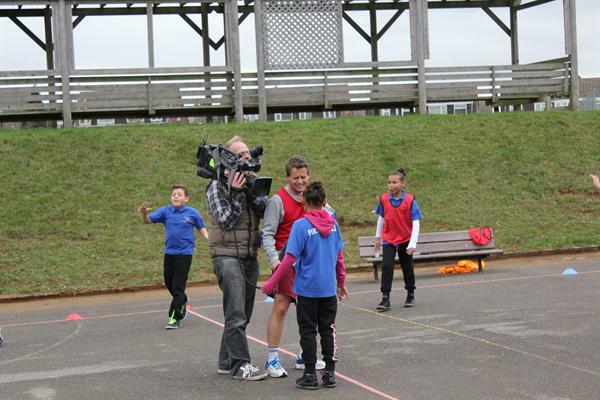 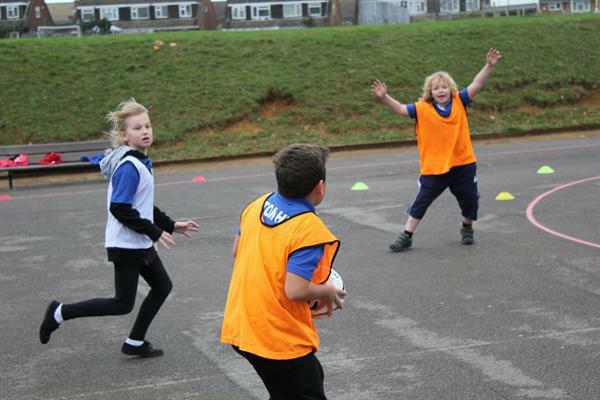 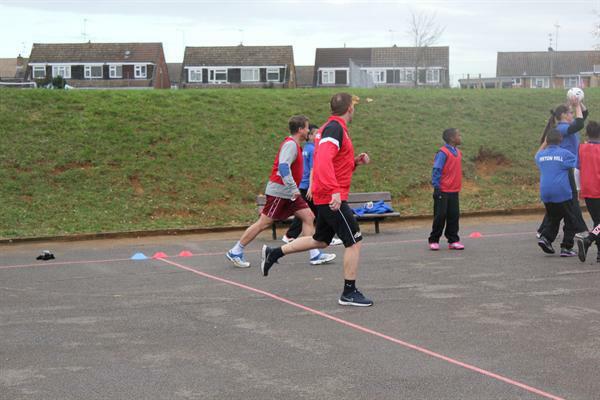 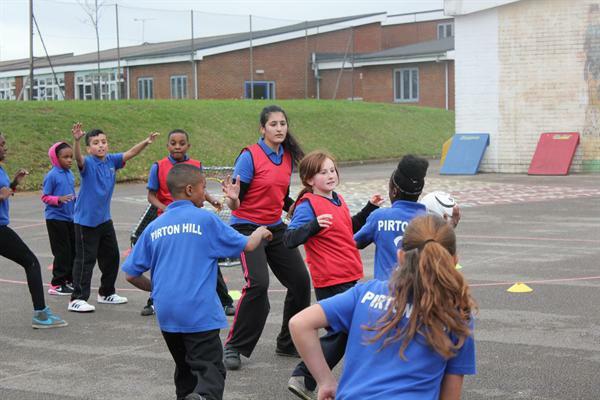 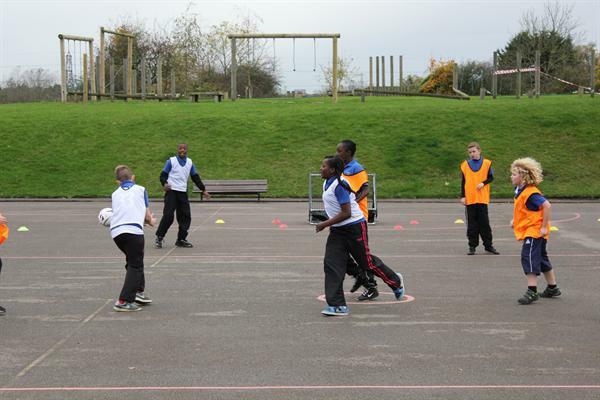 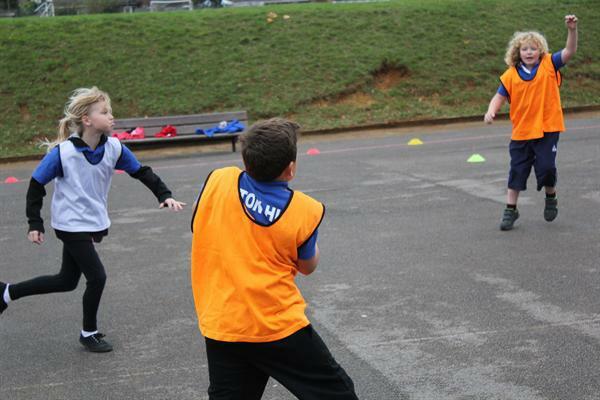 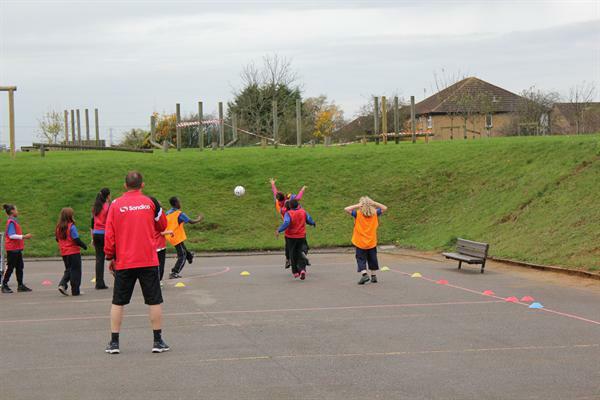 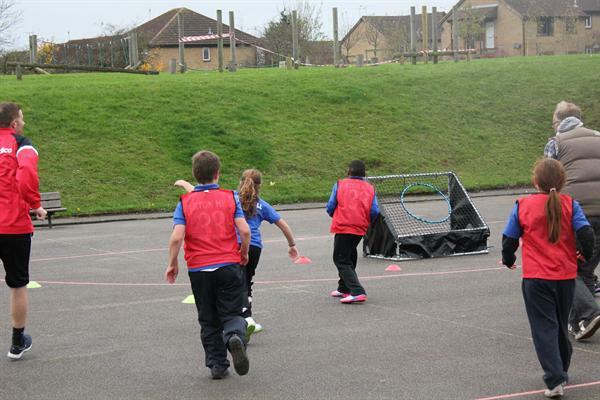 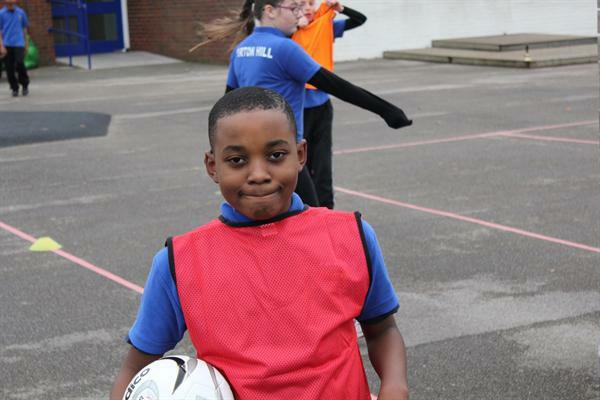 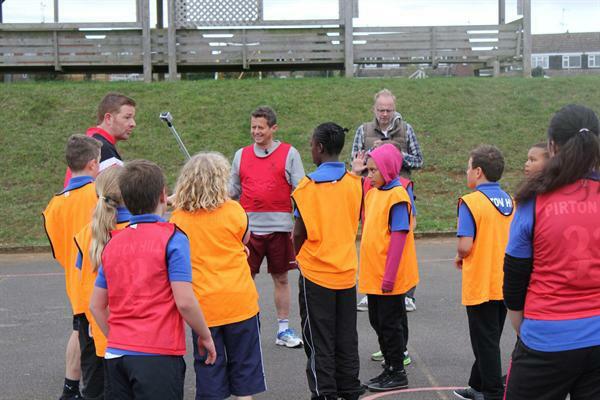 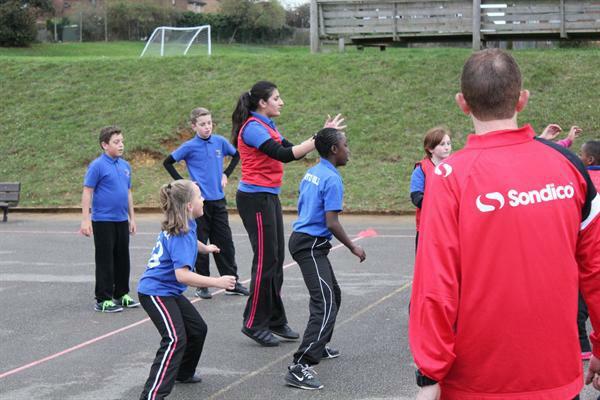 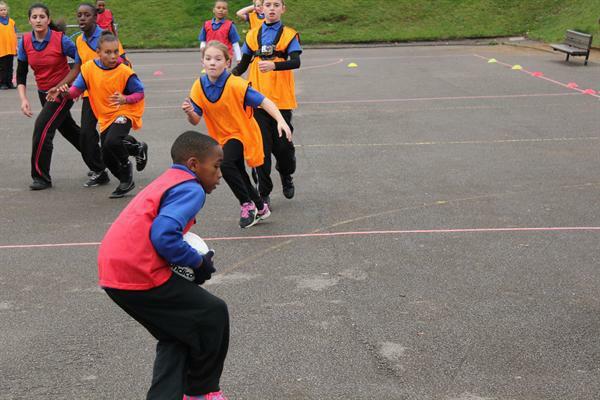 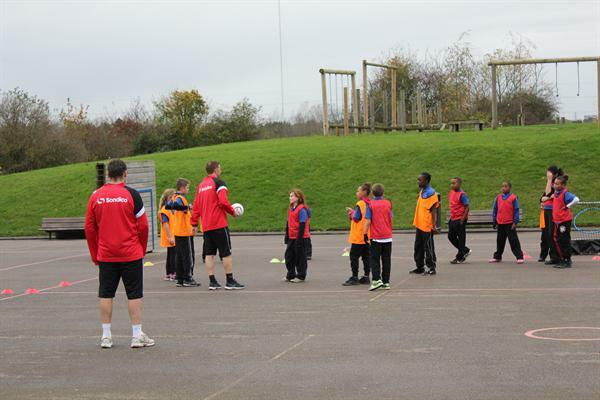 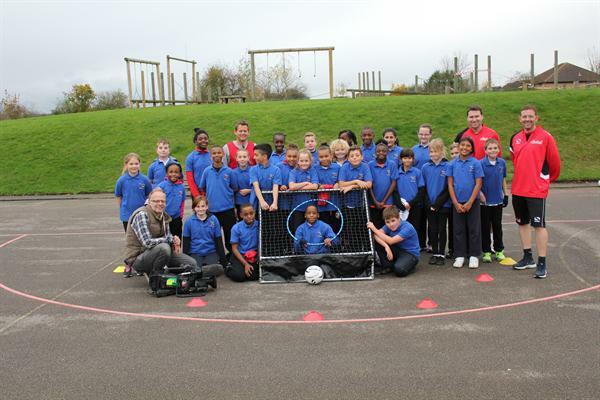 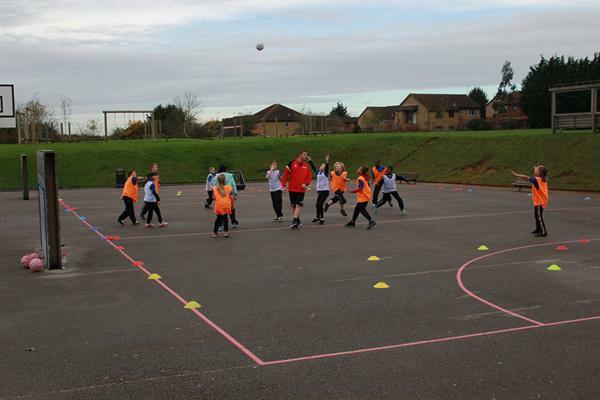 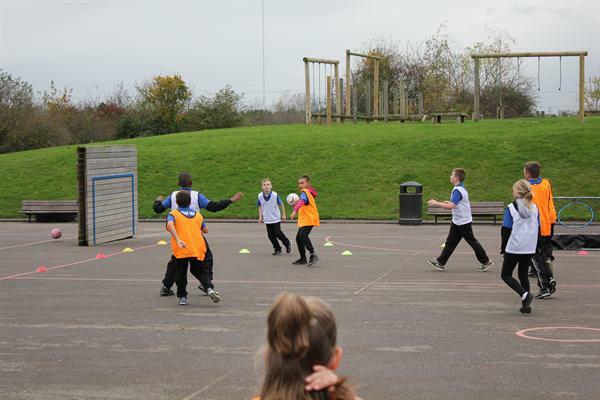 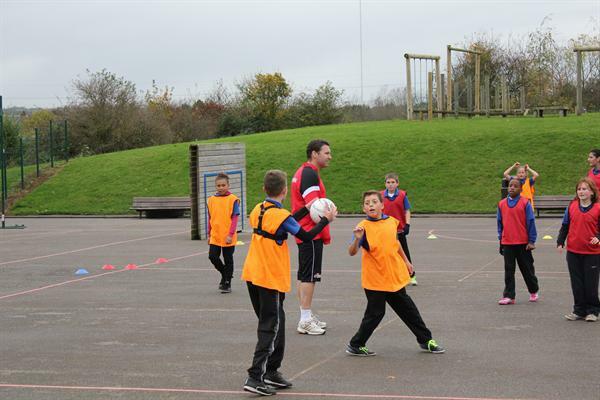 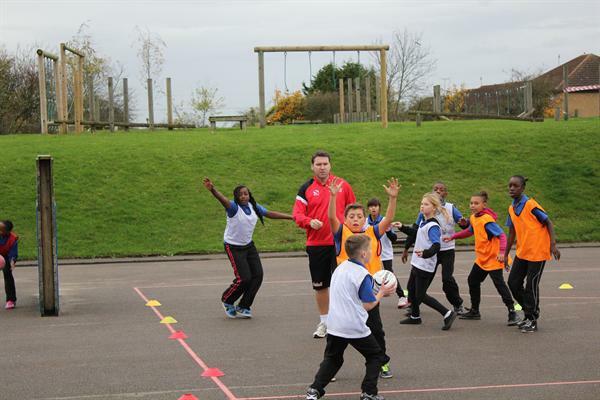 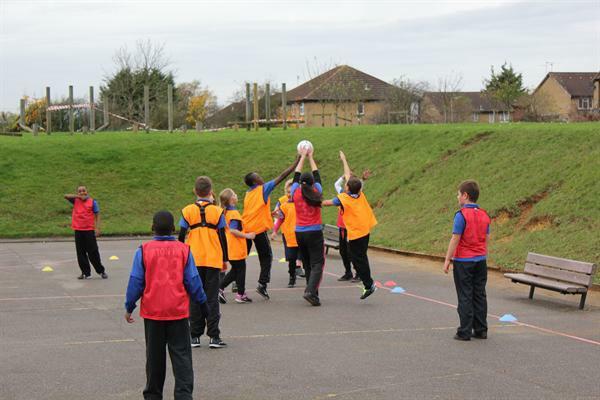 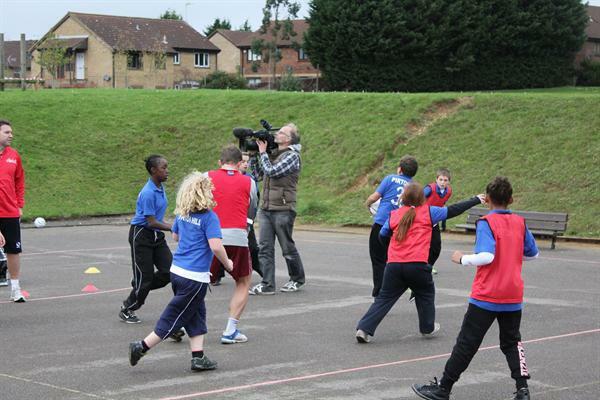 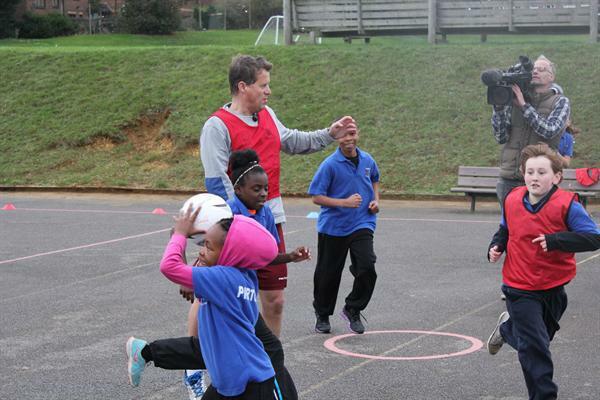 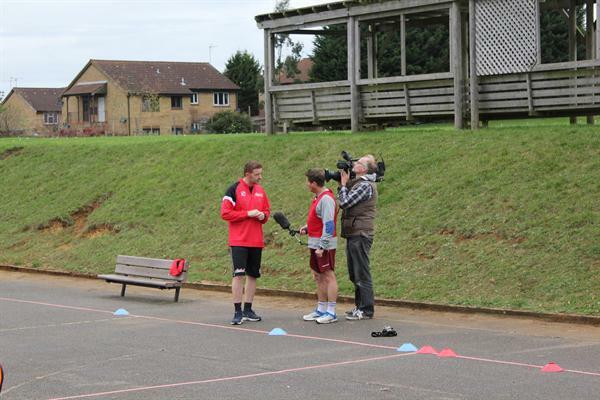 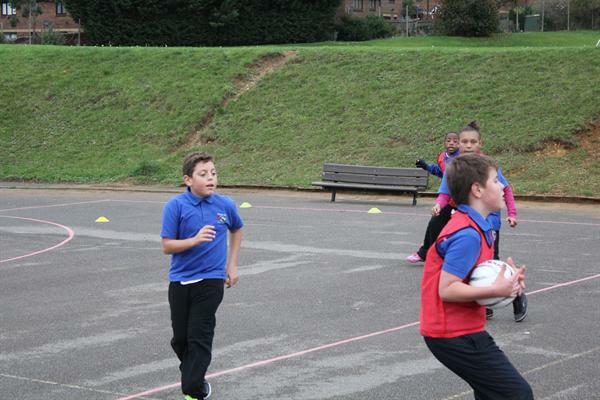 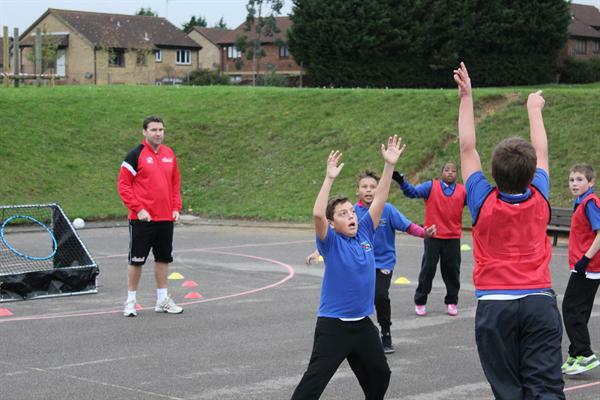 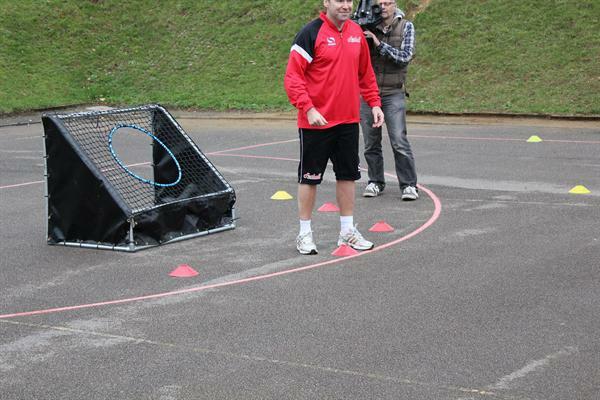 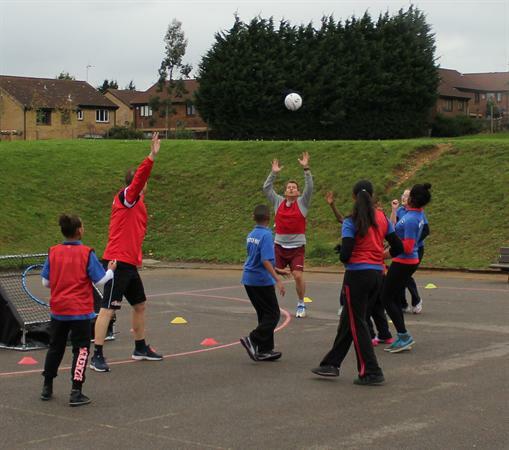 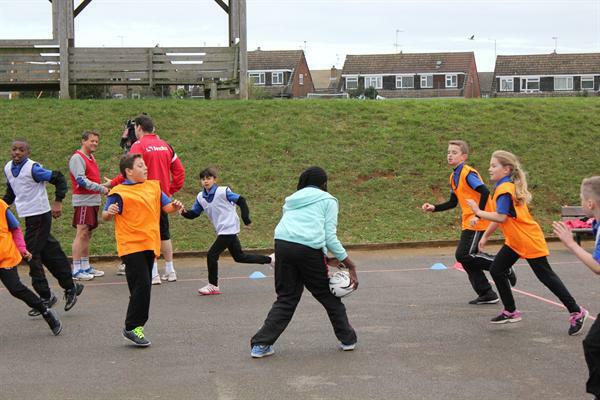 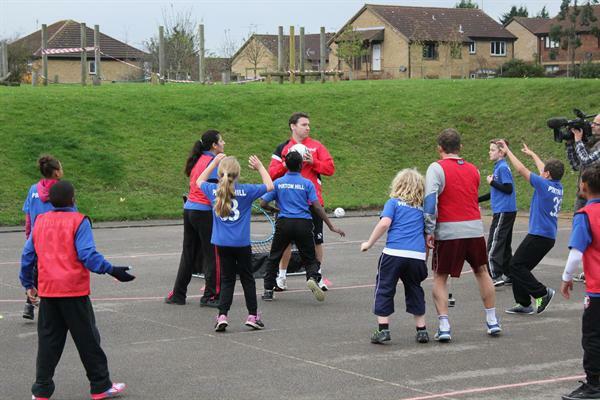 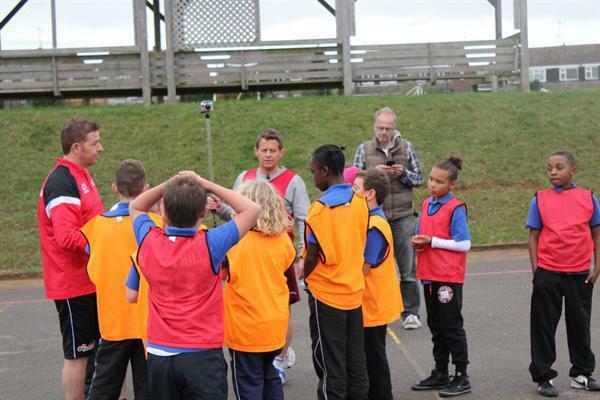 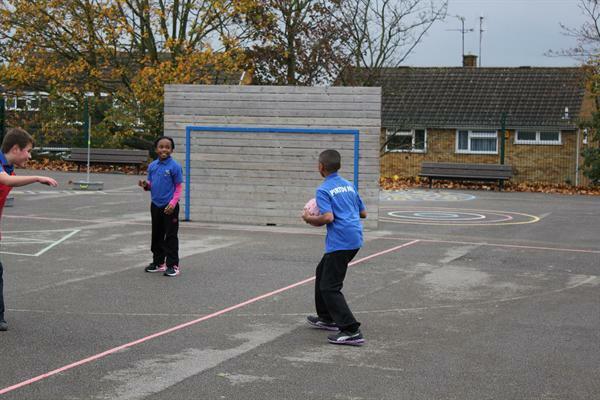 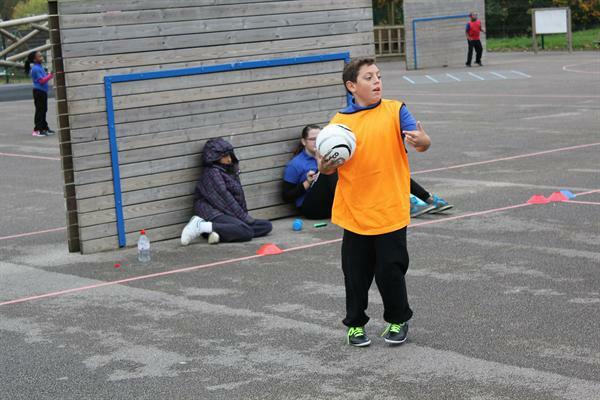 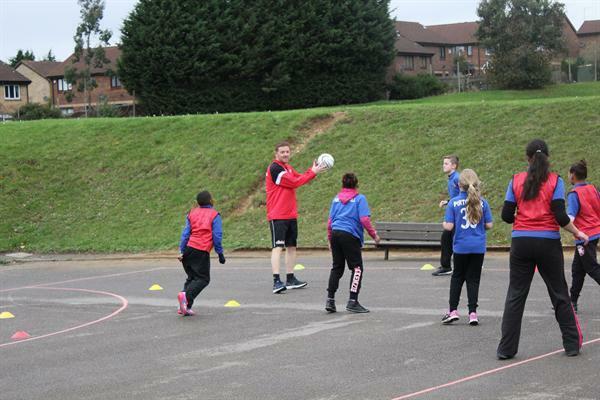 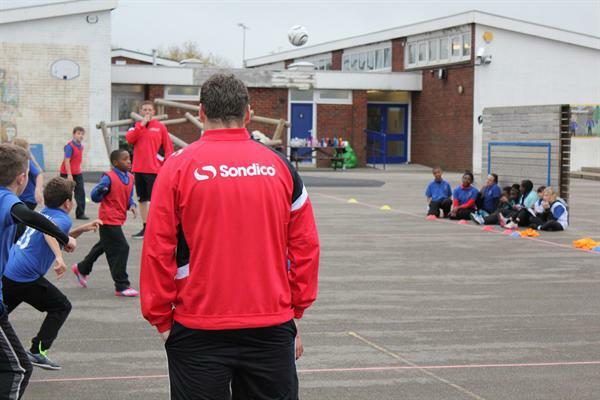 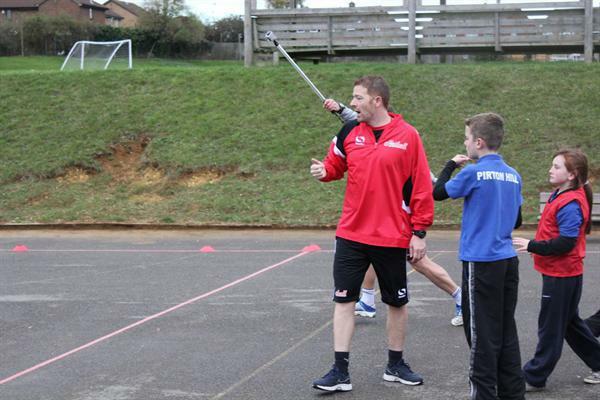 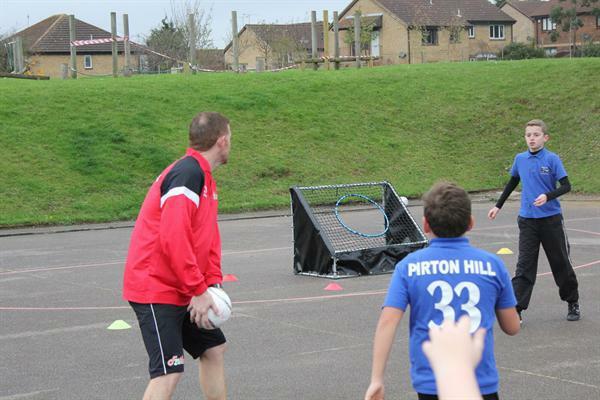 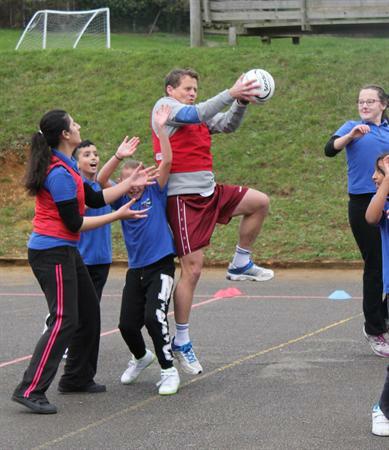 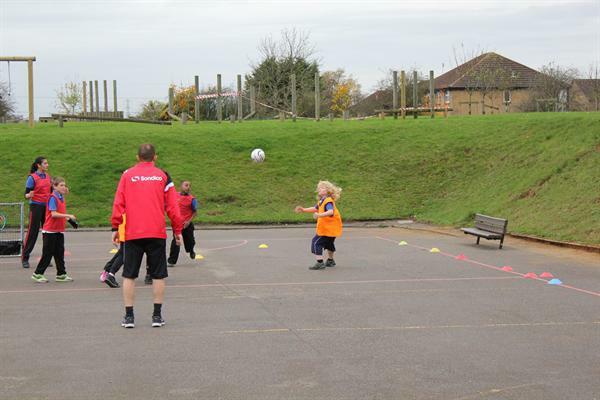 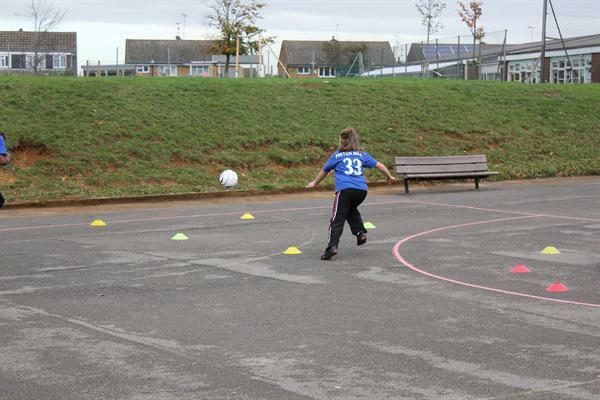 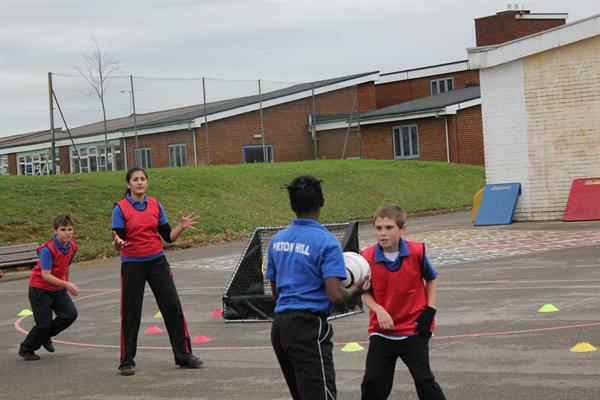 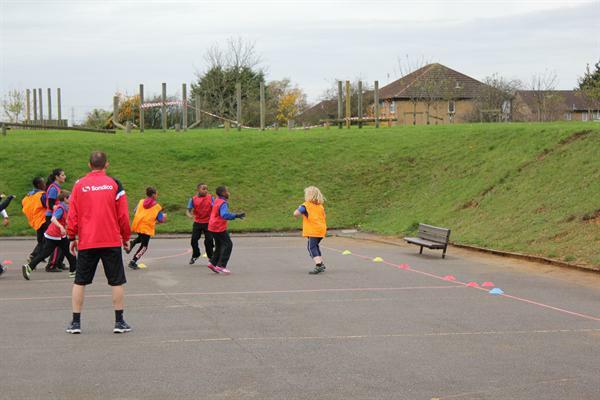 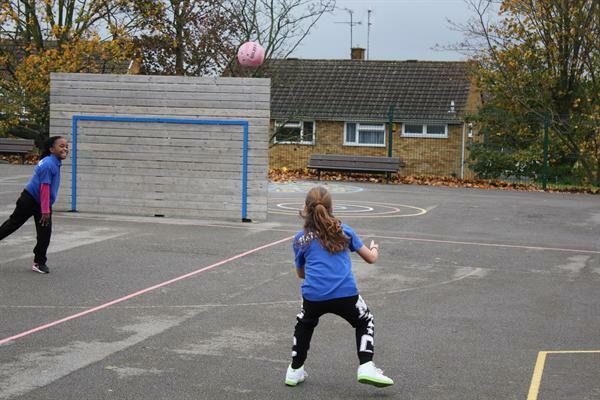 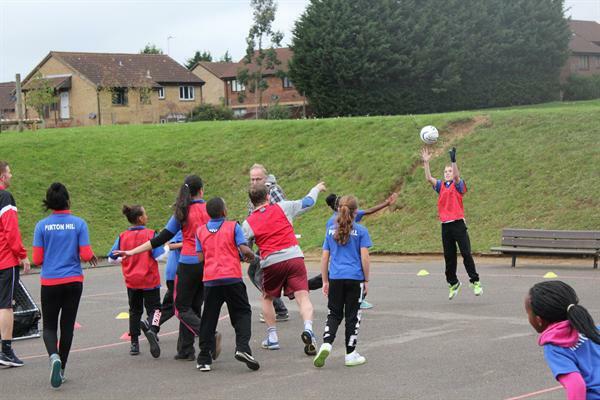 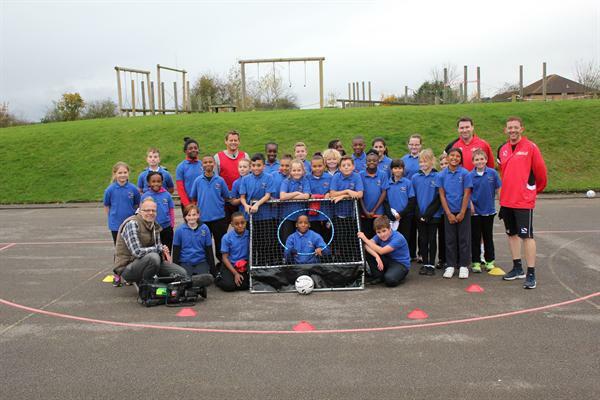 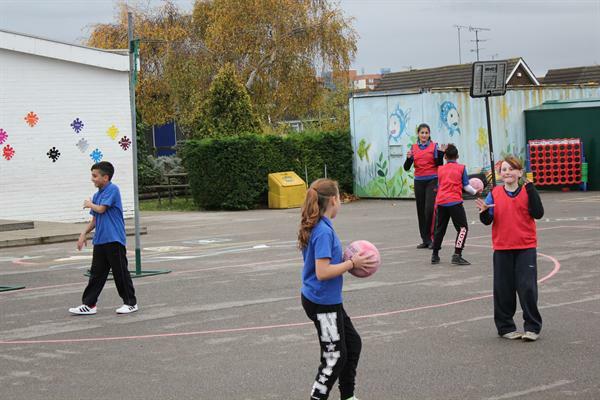 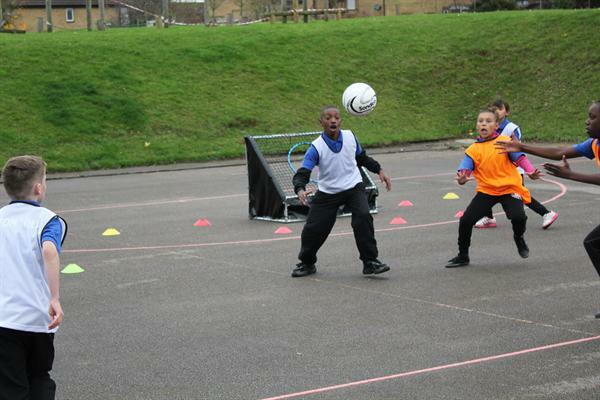 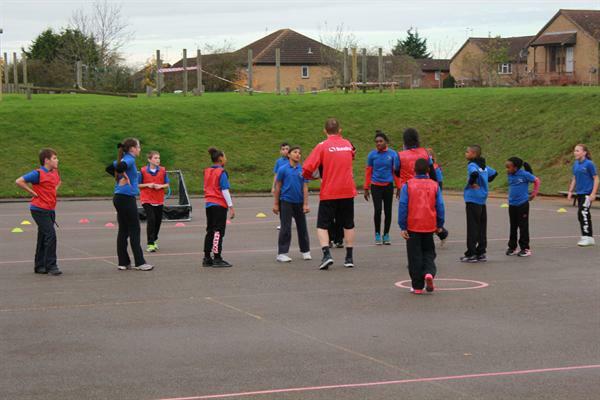 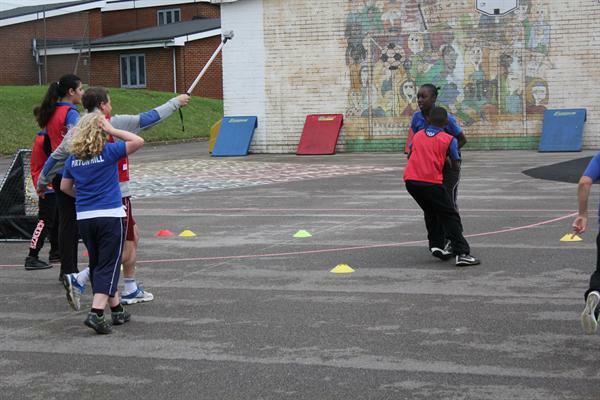 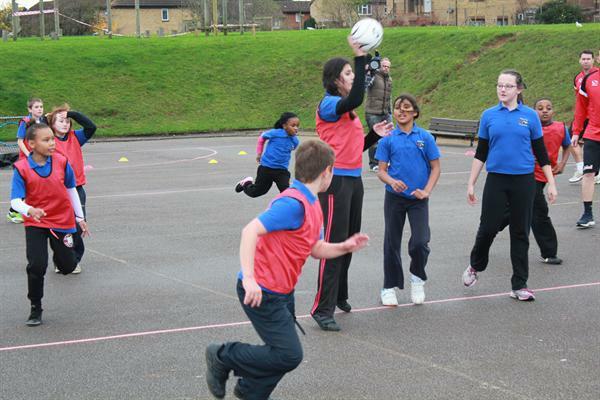 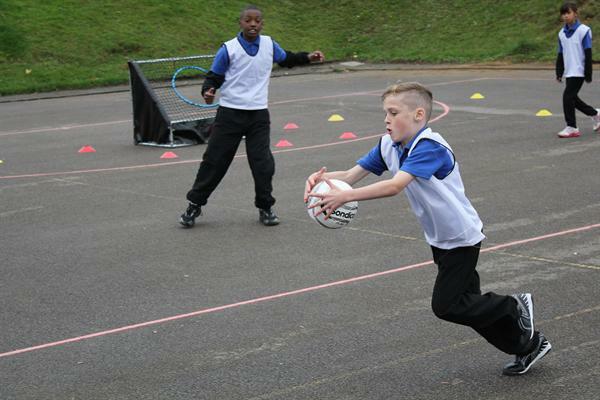 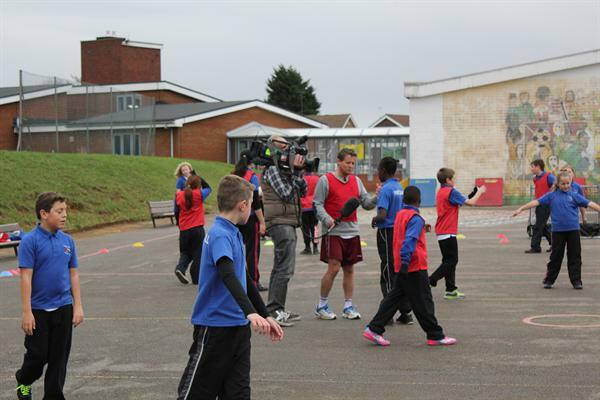 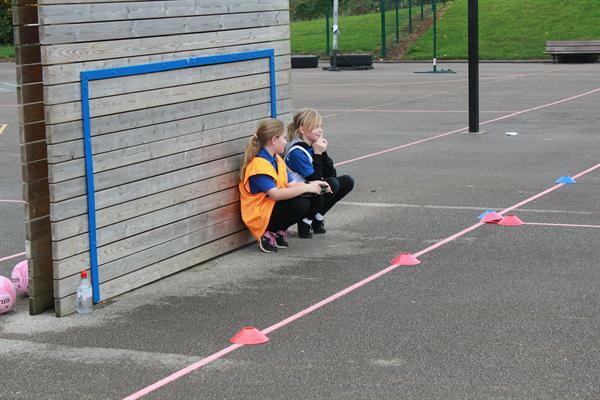 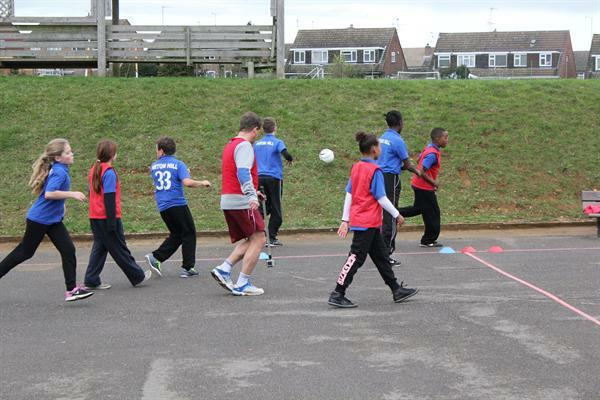 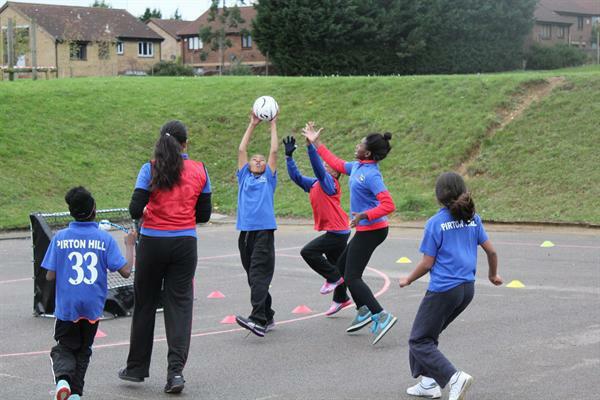 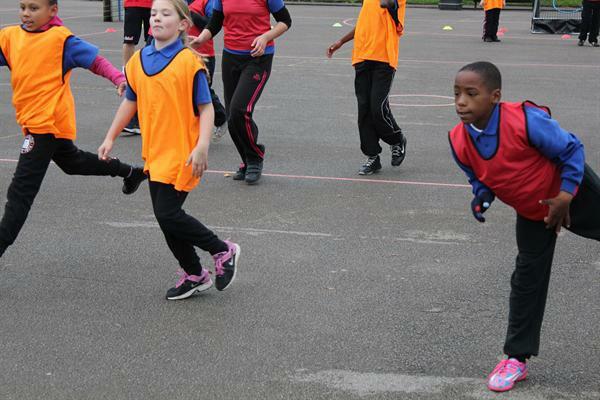 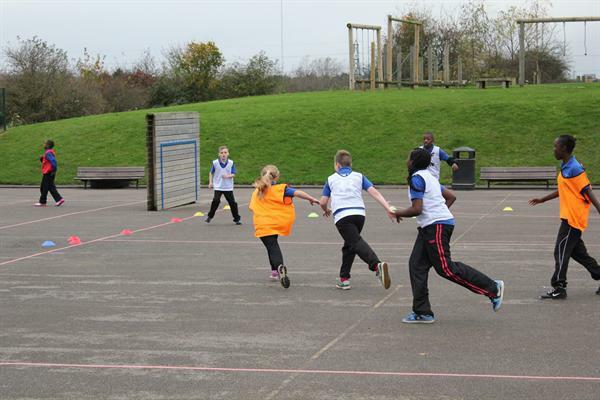 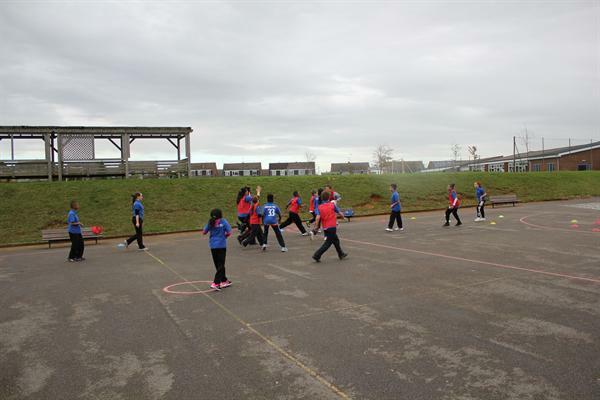 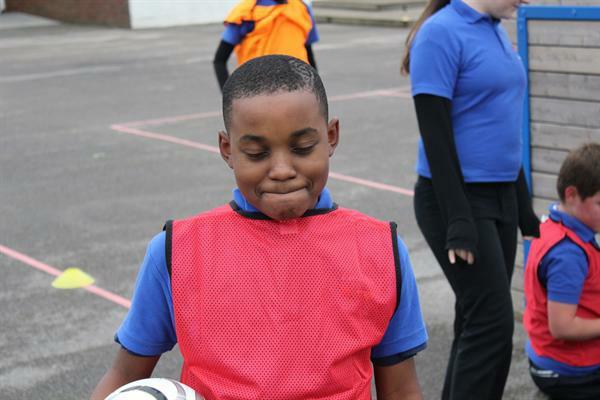 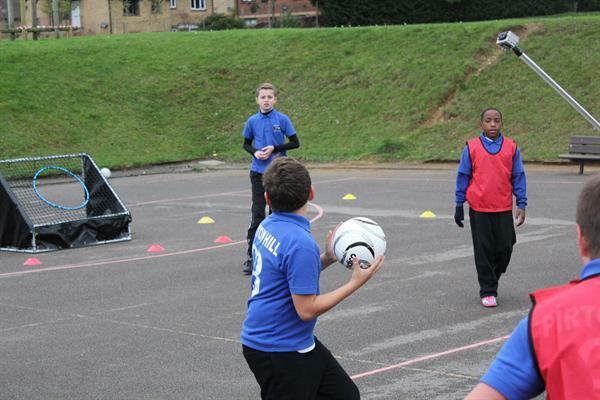 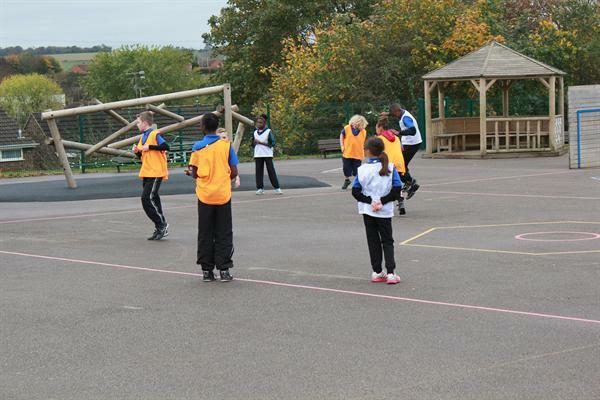 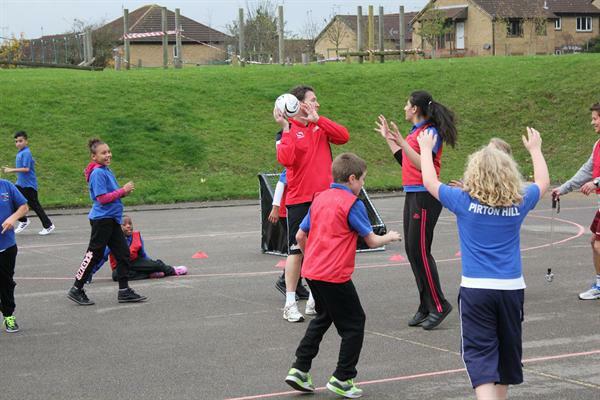 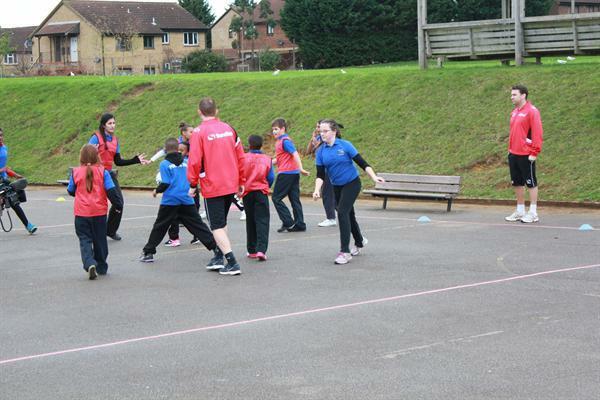 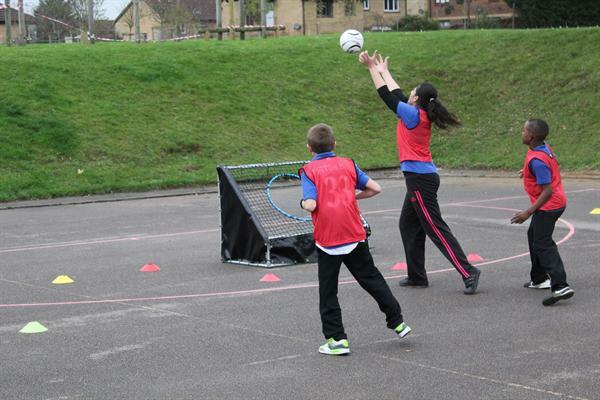 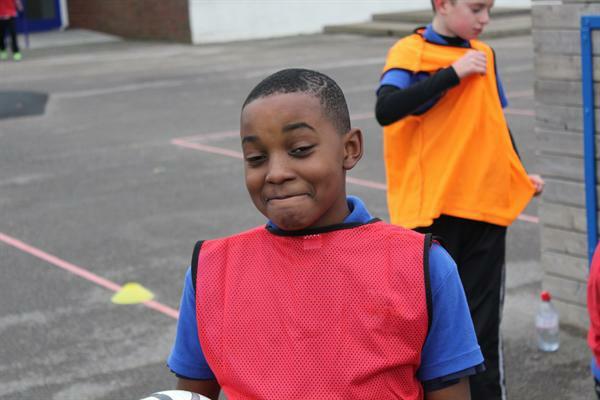 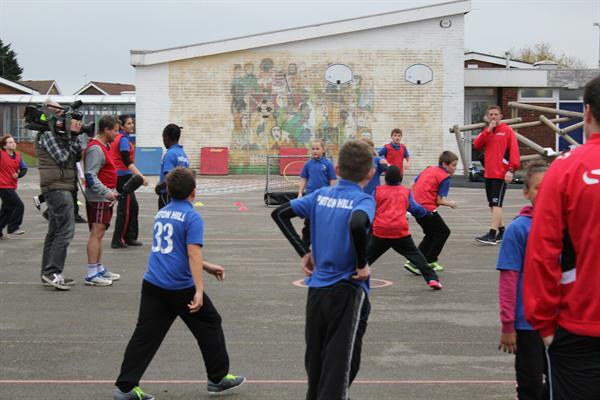 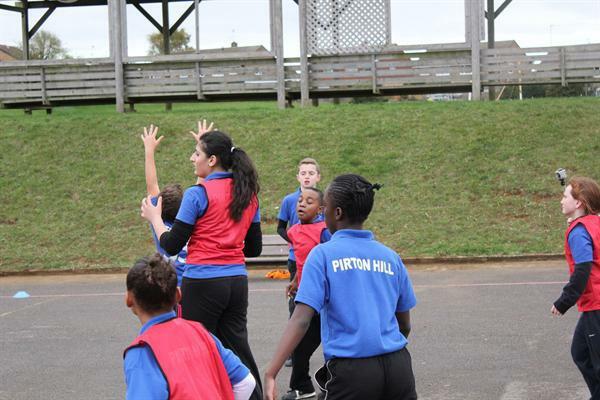 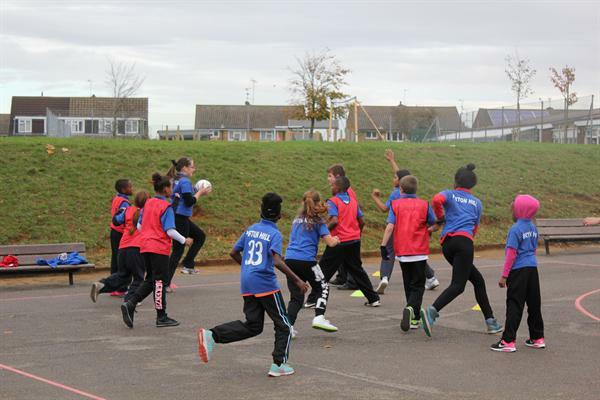 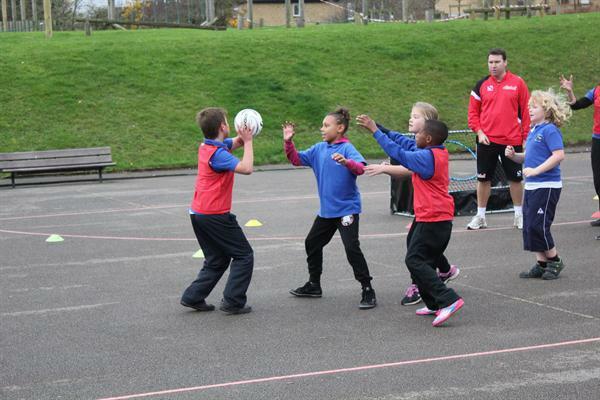 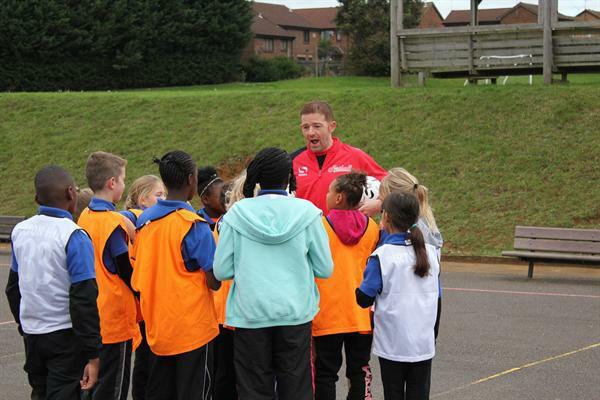 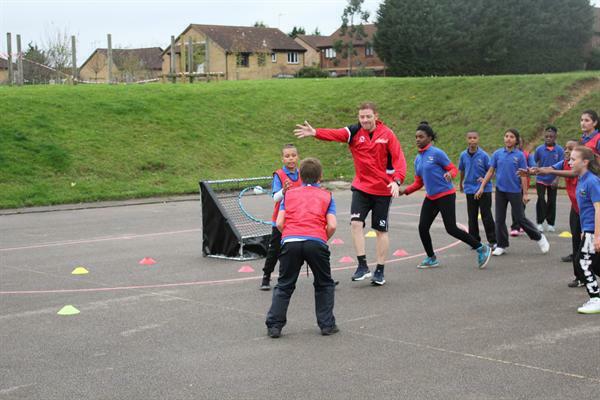 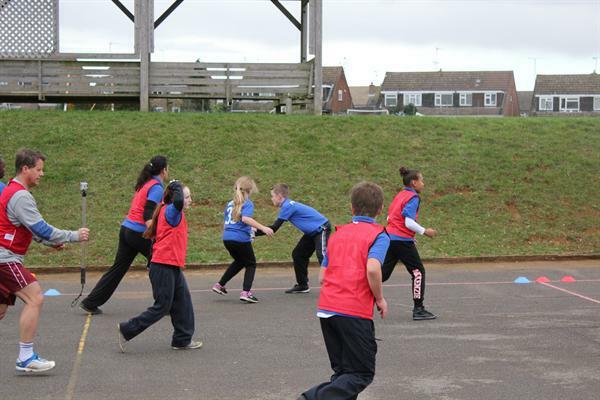 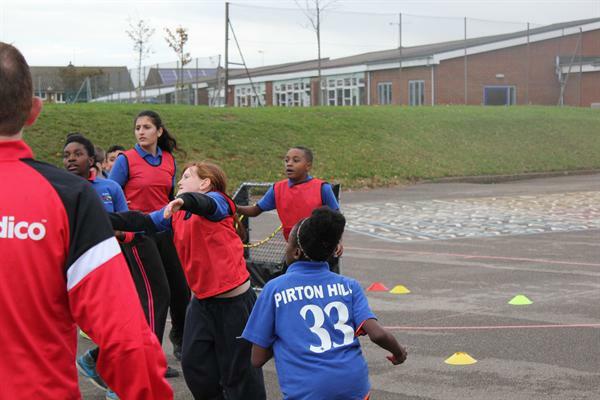 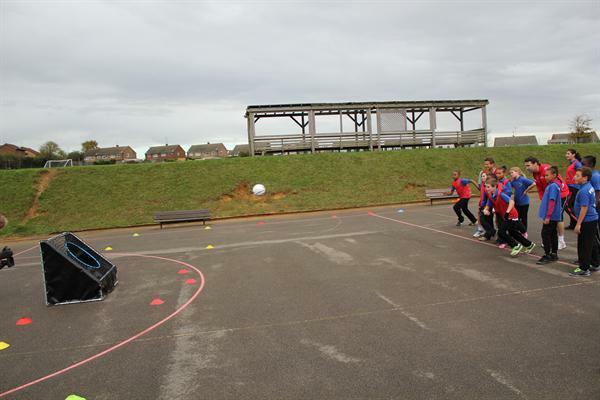 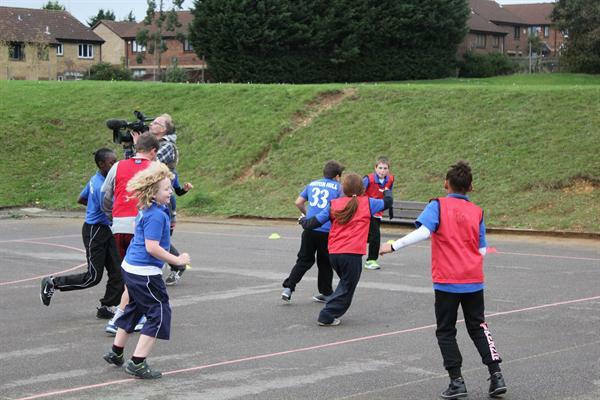 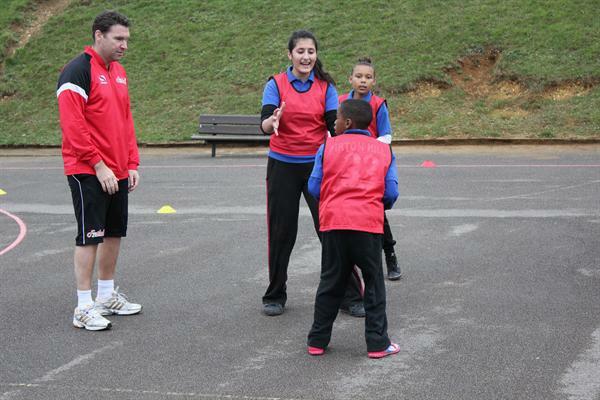 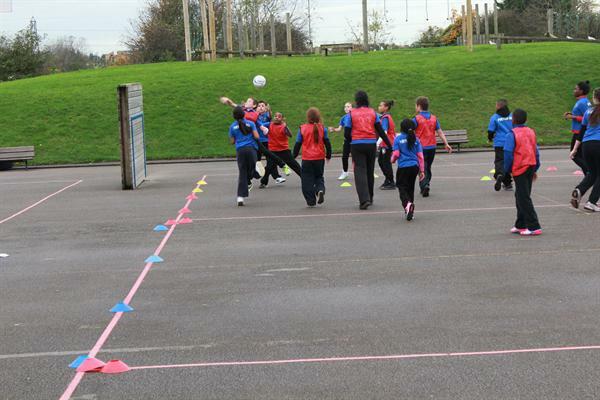 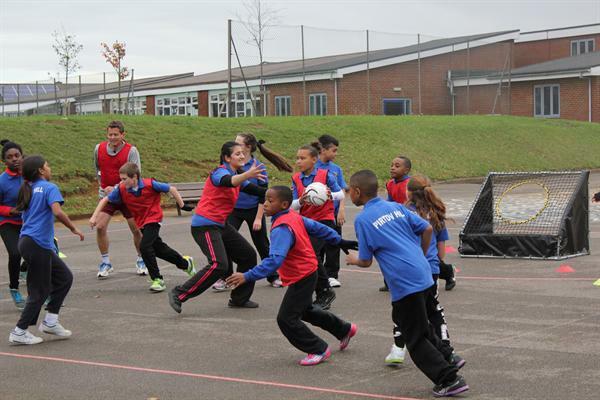 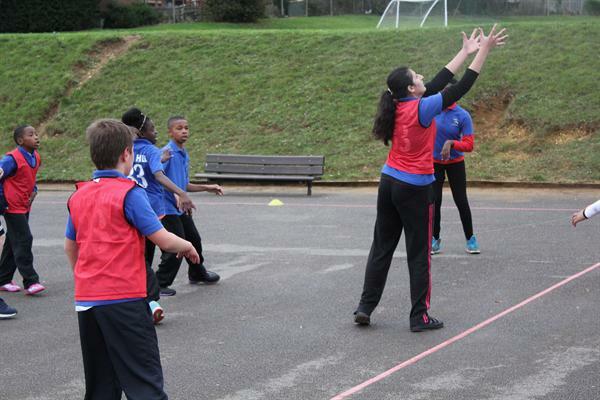 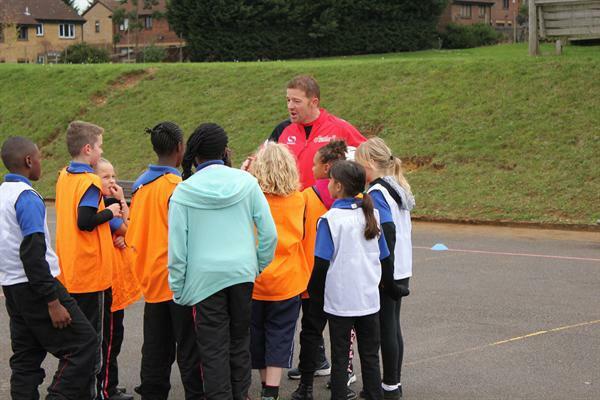 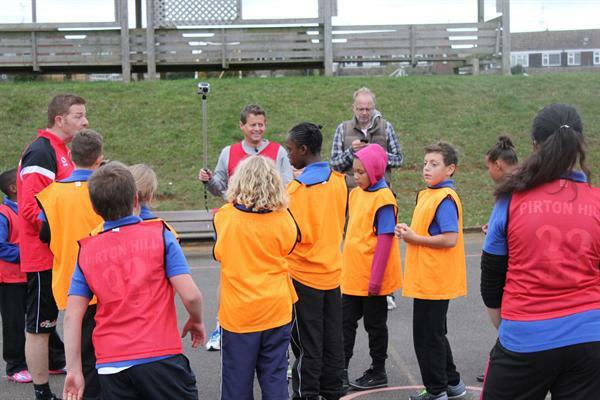 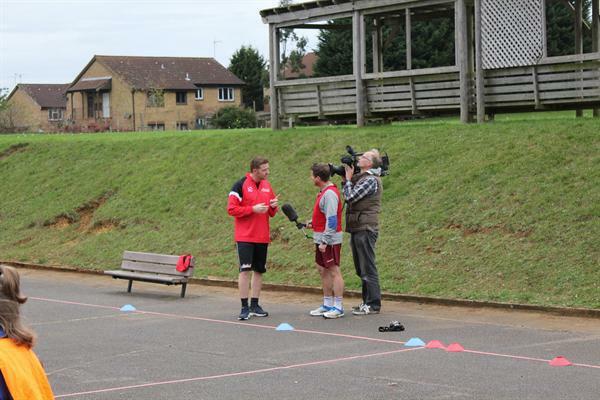 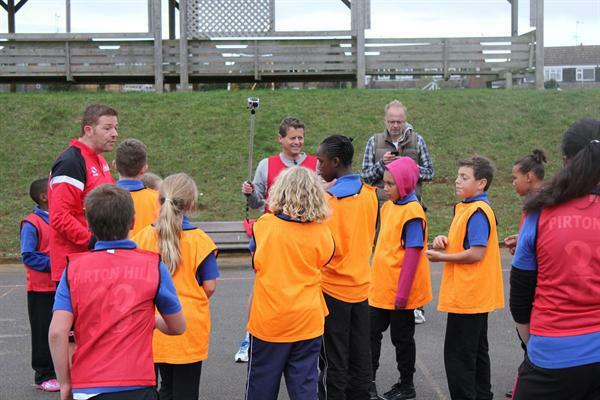 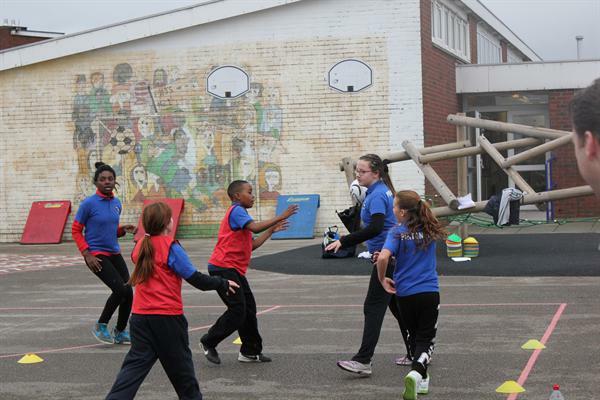 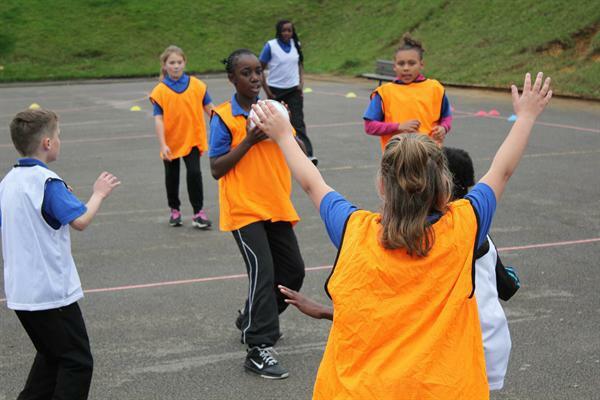 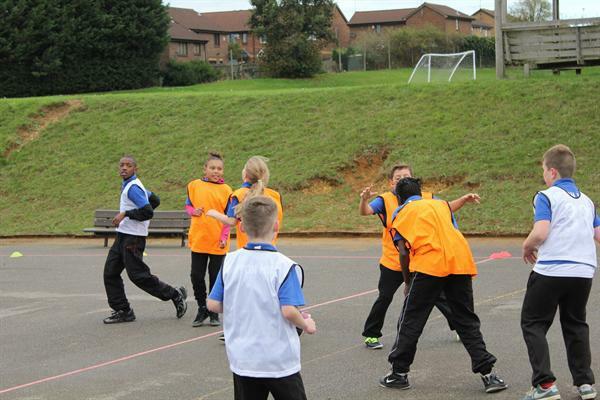 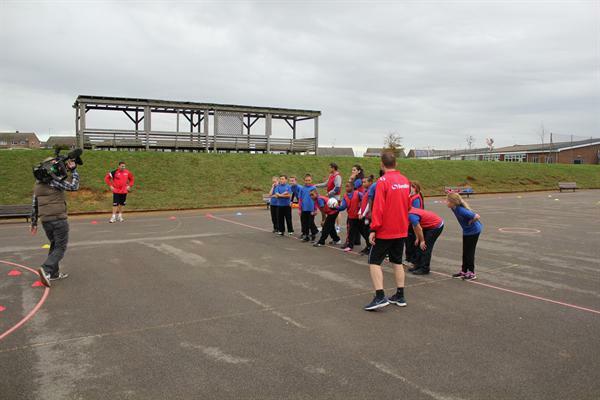 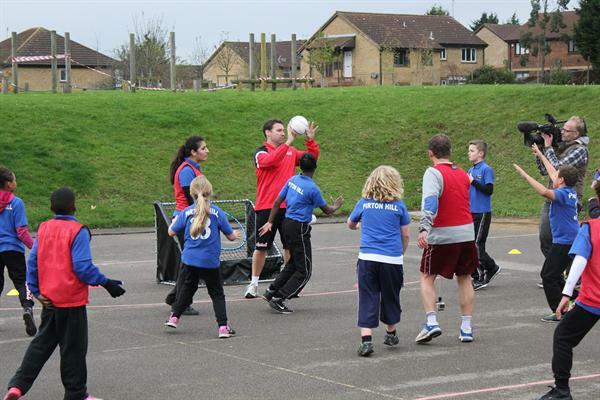 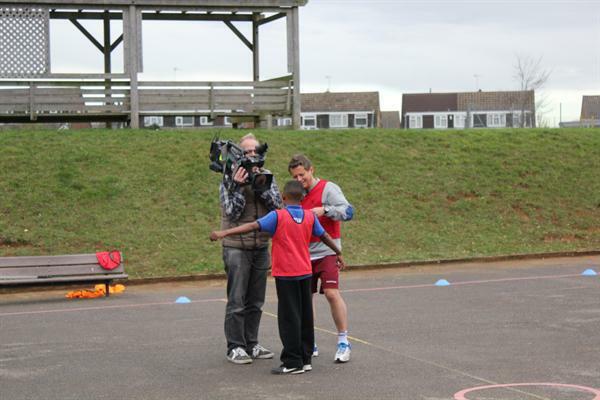 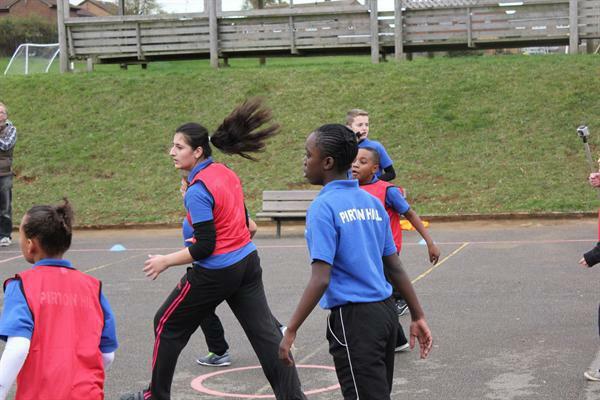 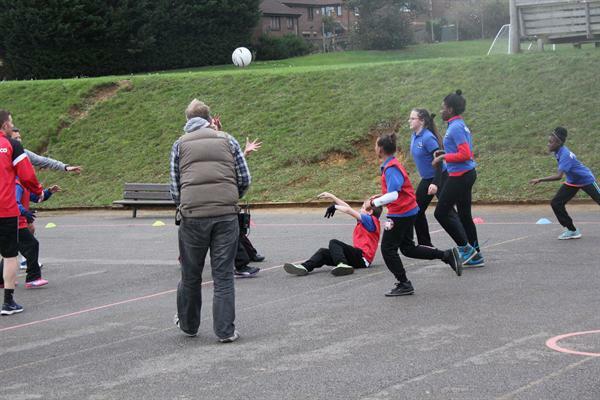 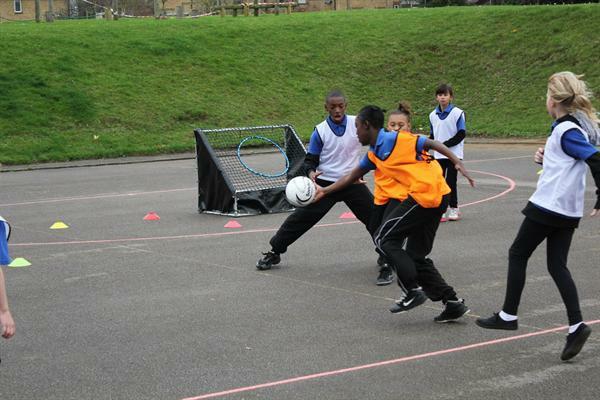 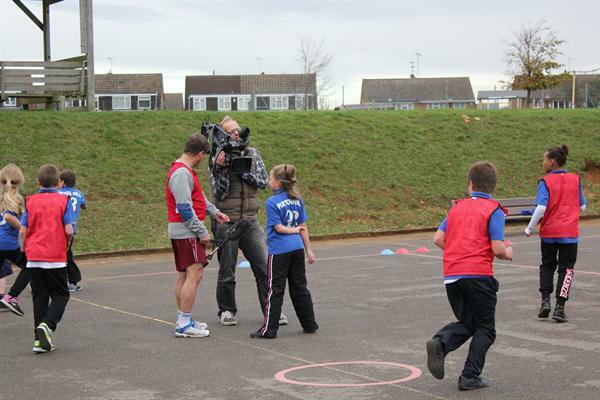 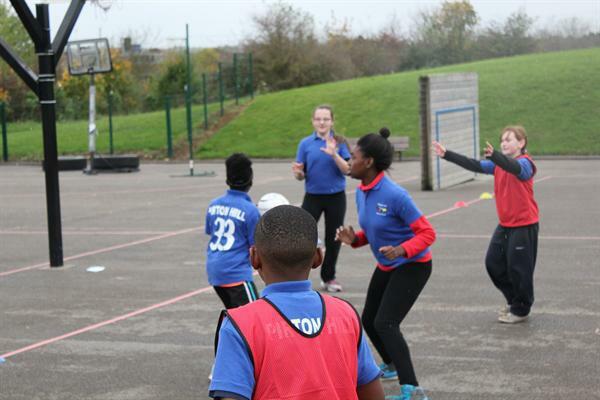 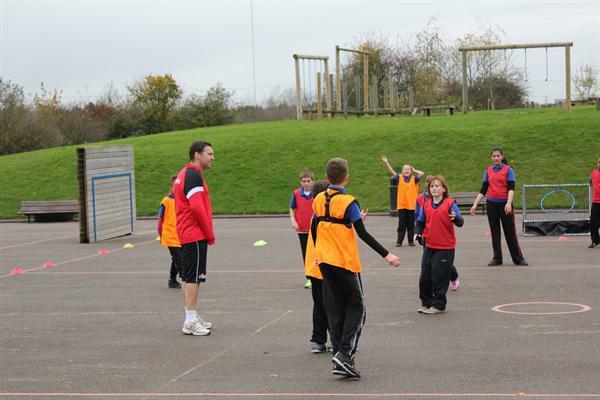 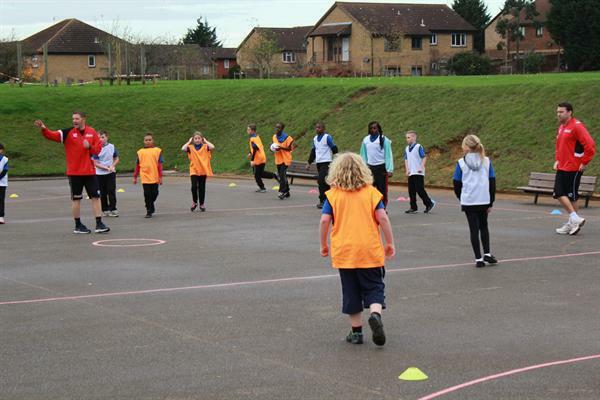 On Monday 3rd November 2014 we were visited by Mike Bushell and a film crew to observe and interview the children about the new and exciting game called Fiitball which was created by Tony McCool. 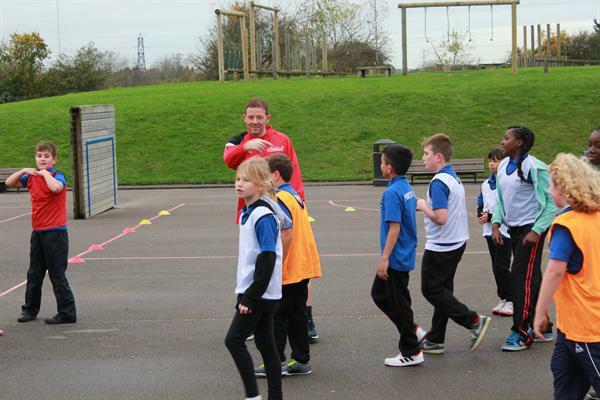 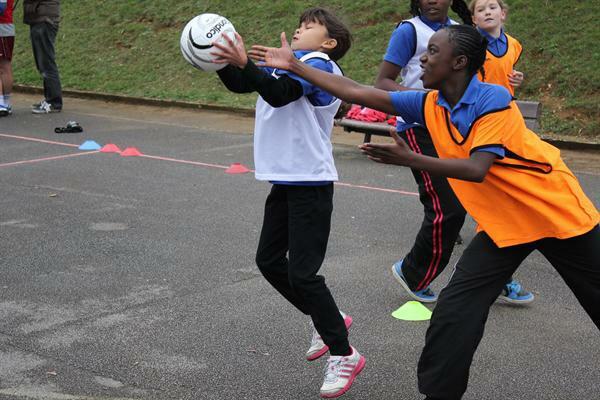 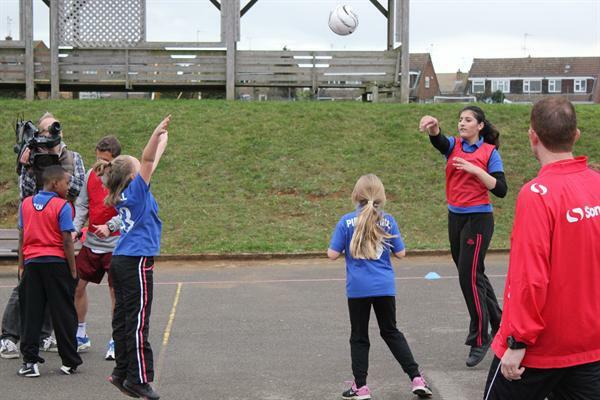 The children were selected on their ability and attitude and were a credit to the school and I`m sure their skill will be reflected in the report. 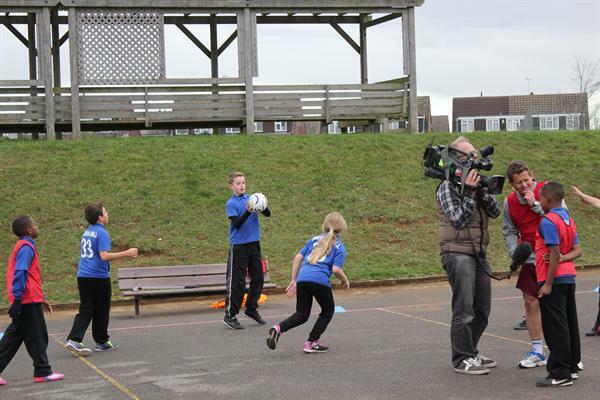 The report will be shown on BBC1 news on Saturday 15th November 2014 with the first showing at just after 6:30am as part of the sports news report. 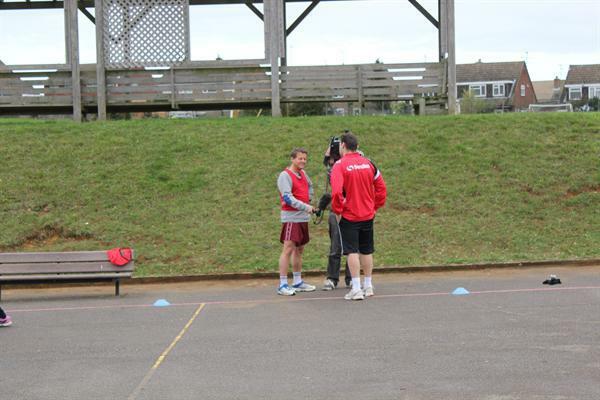 It will be repeated every hour after that- 7:30 and 8:30am.